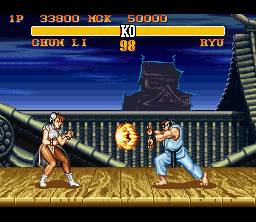 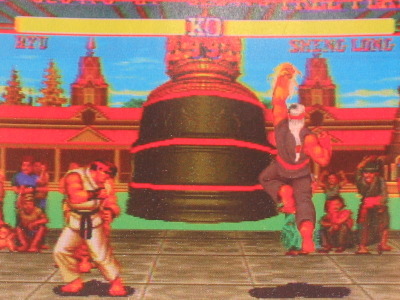 Released in early 1991, Street Fighter II would forever change the course of gaming history. 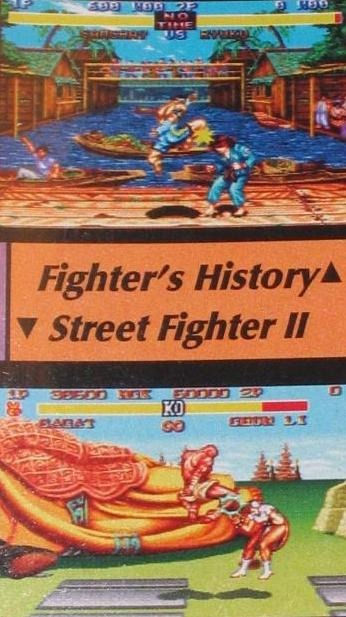 Sweeping coast to coast like a blistering tornado, swooping up everyone ruthlessly in its path, Street Fighter II took the video game world by storm. 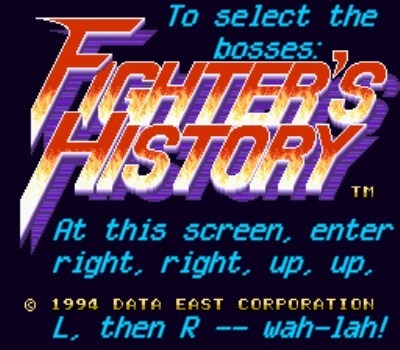 Gamers cutting classes, thousands of quarters disposed and endless lines — it was all just another day at the office for Capcom’s epochal once in a generation masterpiece. 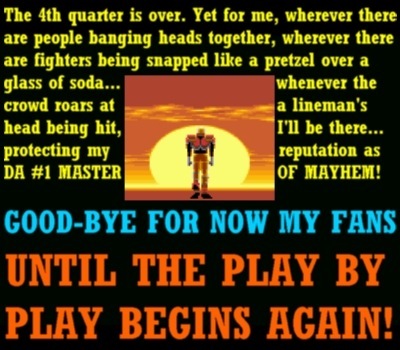 It was more than just a game; it was a phenomenon. 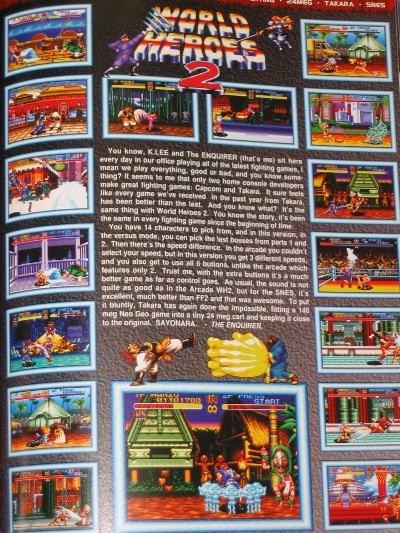 Street Fighter II became a way of life for many. 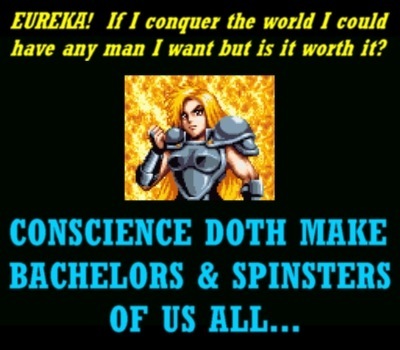 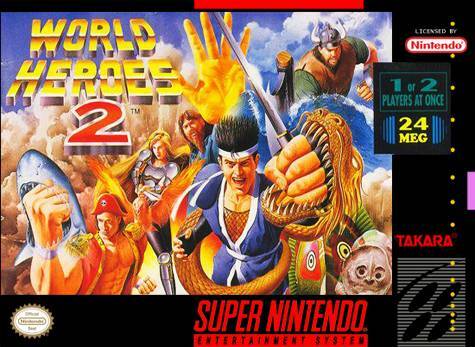 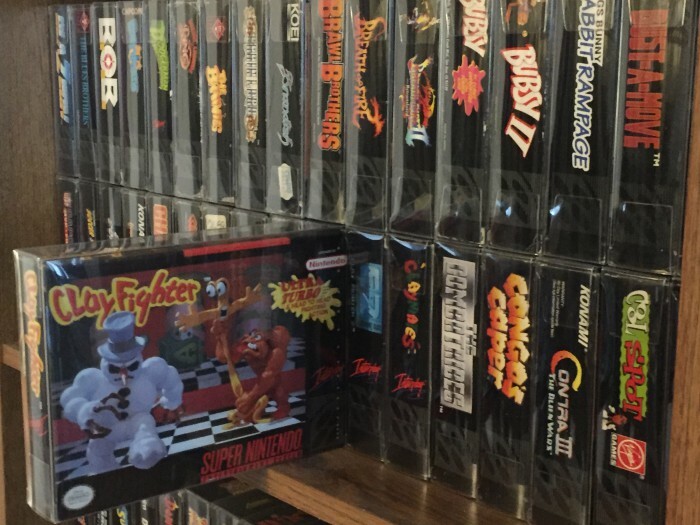 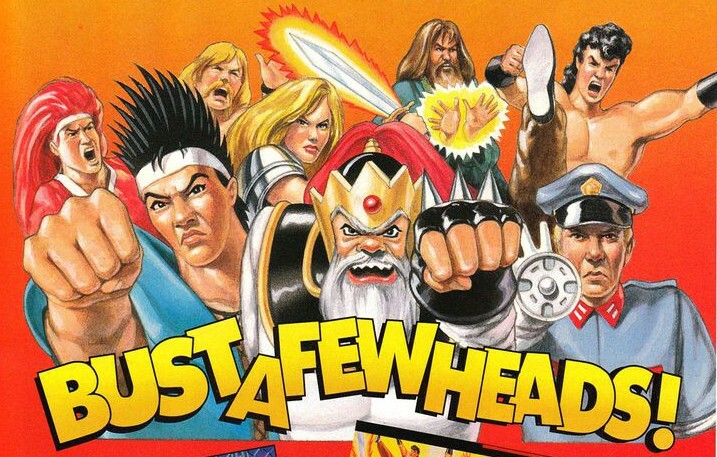 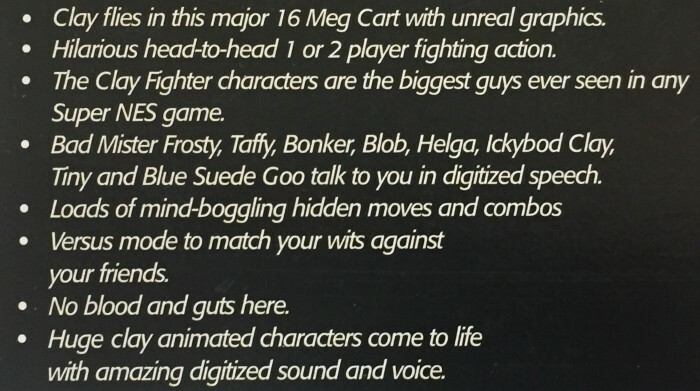 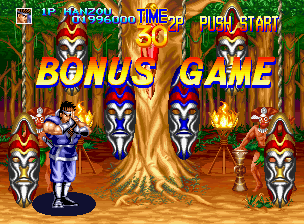 Never before did a game offer the endless combinations that Street Fighter II presented. 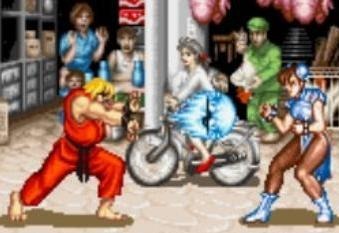 In every pizza parlor, arcade hall, 7-11 — anywhere you could imagine — there was bound to be a Street Fighter II arcade cab with a line of eager players not far behind. 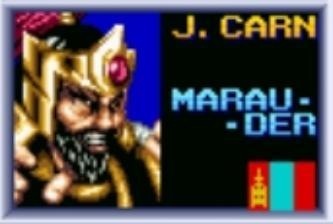 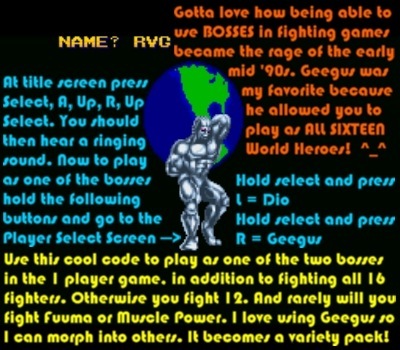 Capcom had truly created a monster. 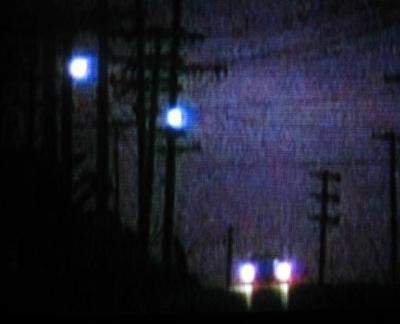 Then came the murmurs. 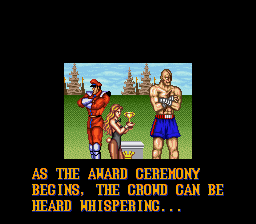 If you put your ear low to the ground, you could hear the rumblings. 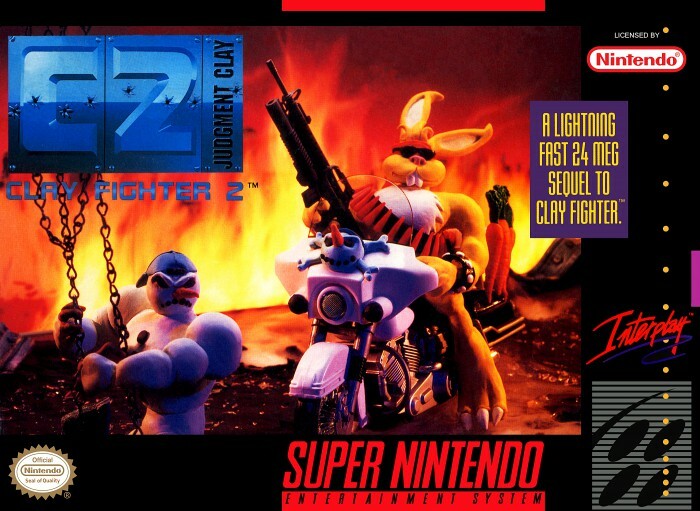 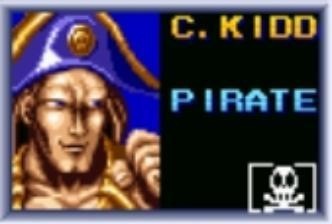 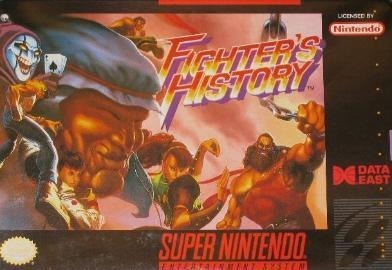 Capcom was porting their money maker over to the Super Nintendo. 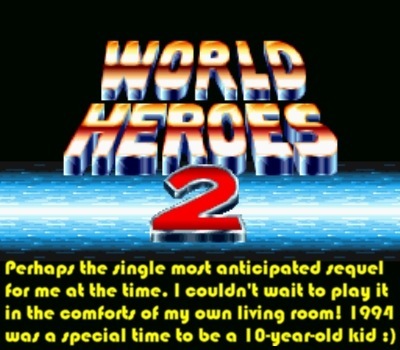 The thought of being able to play the game in the comfort of your living room with no lines, no sticky buttons and no quarters? 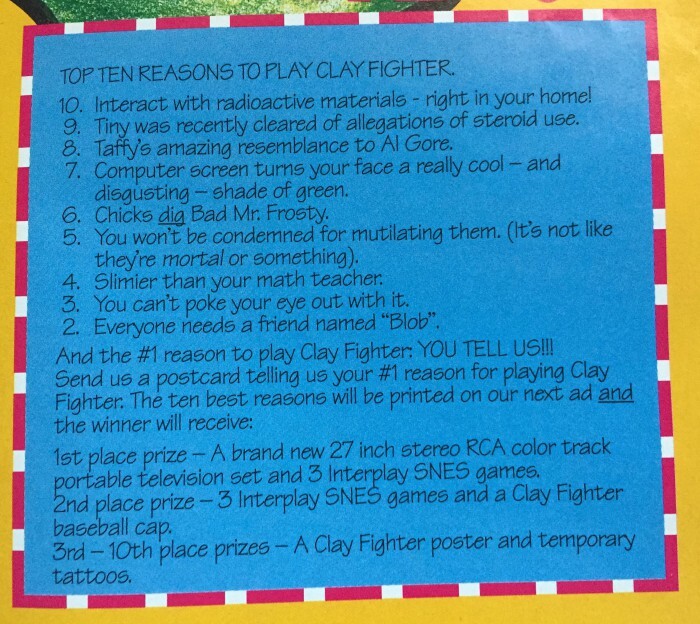 It was every kid’s dream come true in early 1992. 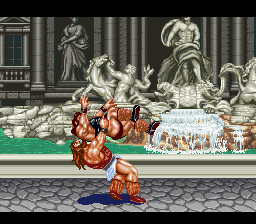 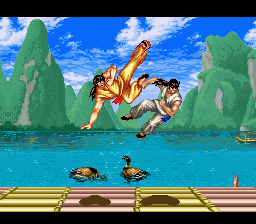 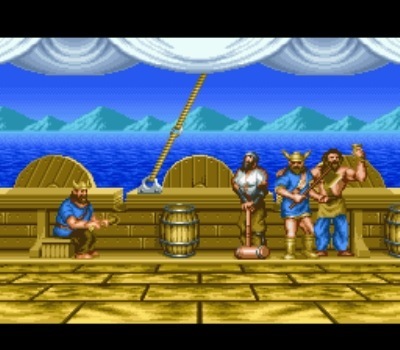 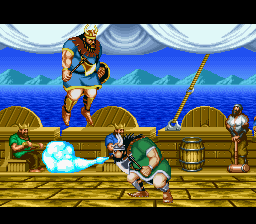 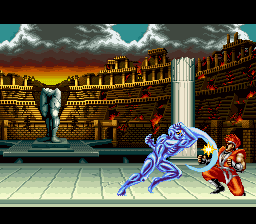 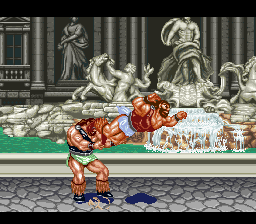 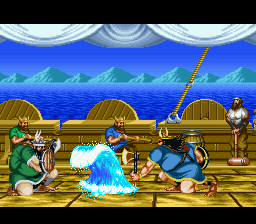 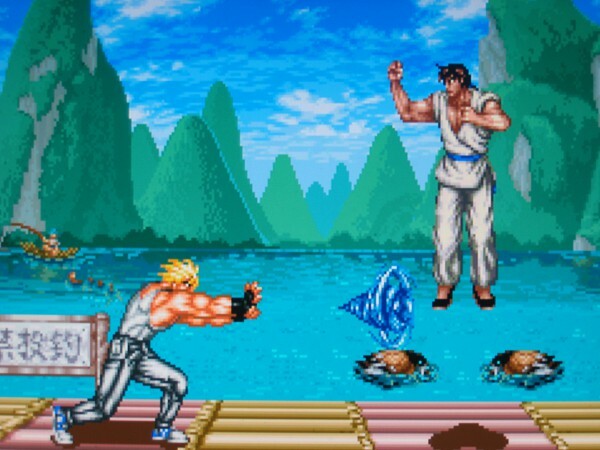 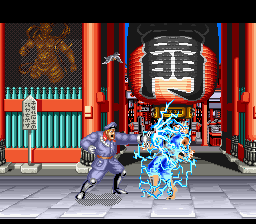 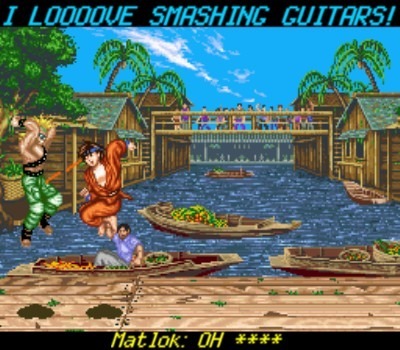 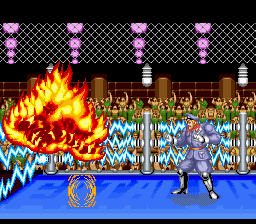 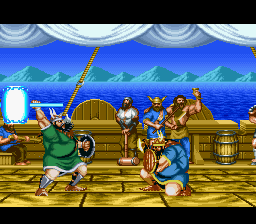 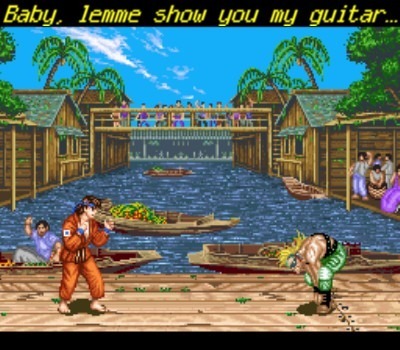 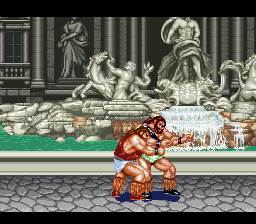 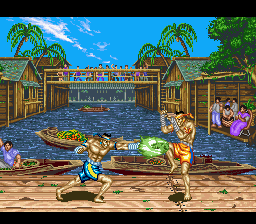 That summer we got our wish when Street Fighter II made its home debut with a splash. 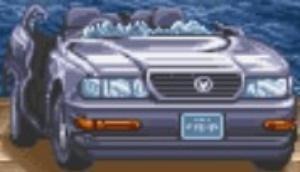 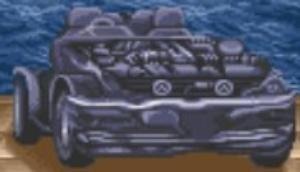 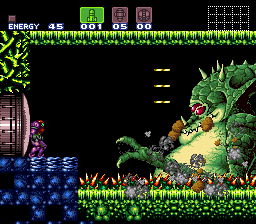 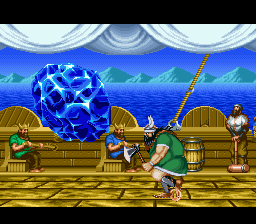 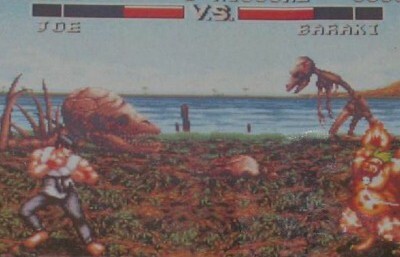 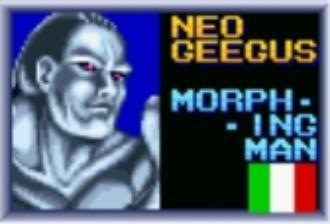 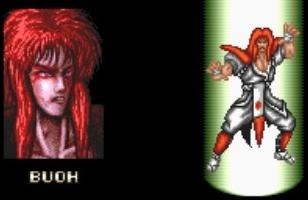 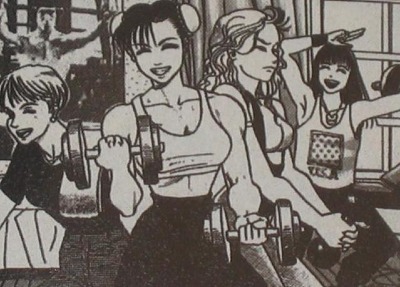 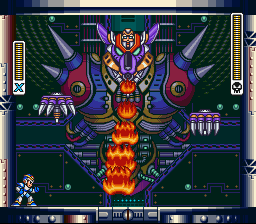 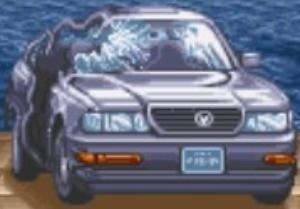 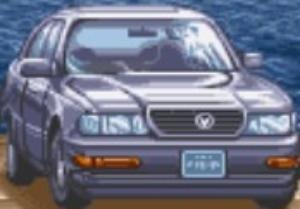 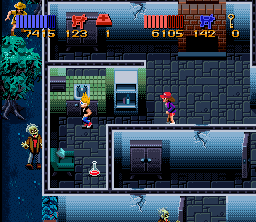 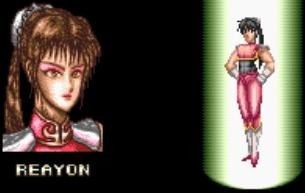 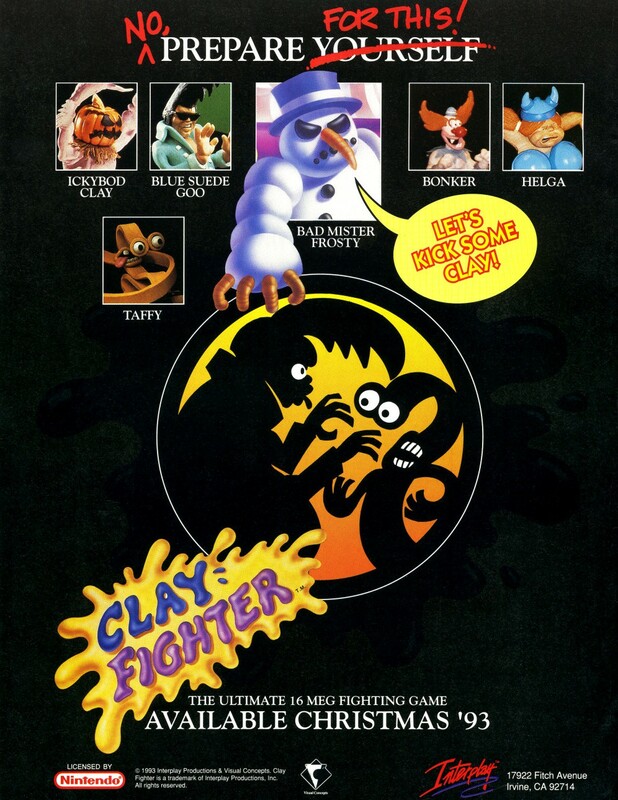 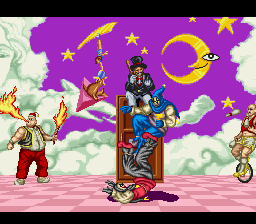 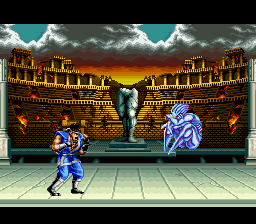 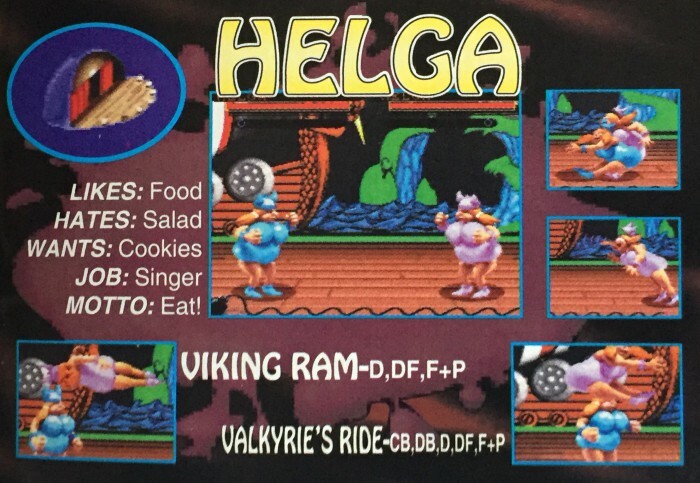 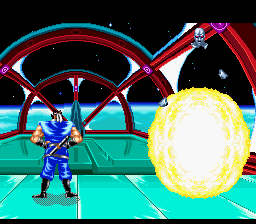 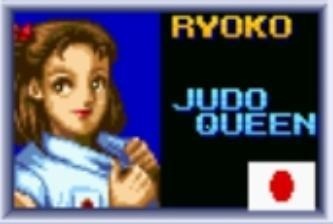 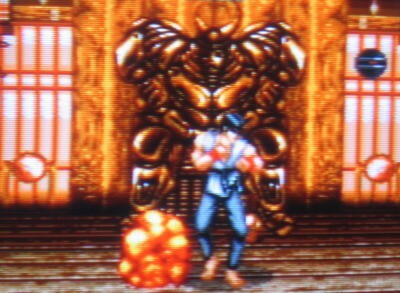 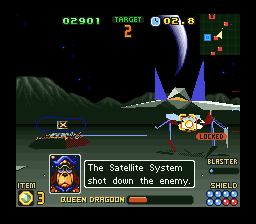 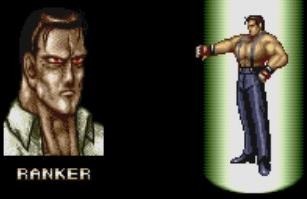 Capcom pulled out all the stops, making this the first 16 MEG monster on the SNES. 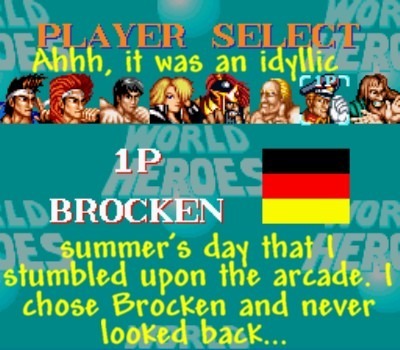 It was a glorious summer, indeed. 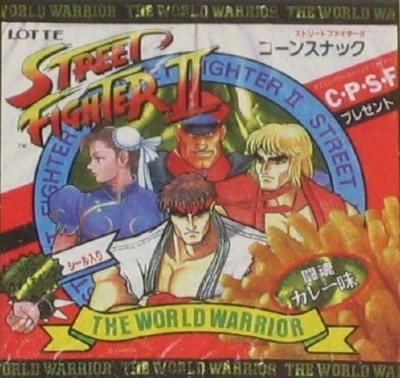 You’ve made it when you’re on the cover of snacks! 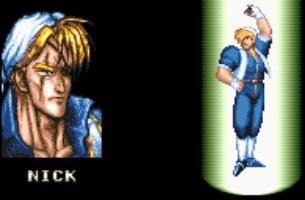 Eight warriors spanning the globe, each with their own special moves, six buttons of varying speed and strength, unique quarter motions requiring some degree of skill, combos… Capcom caught lightning in a bottle. 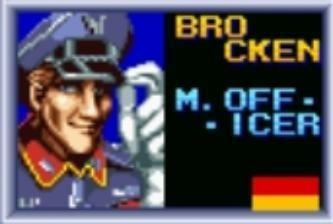 My dad drove me, my brother Kevin and his friends to a 7-11 one hot summer day. 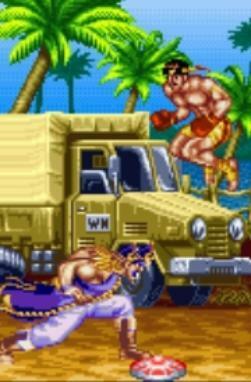 We were going to pick up some chips and slurpees to enjoy on this scorching summer day. 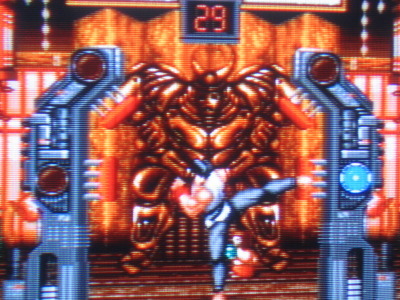 Inside was a Street Fighter II cab, naturally. 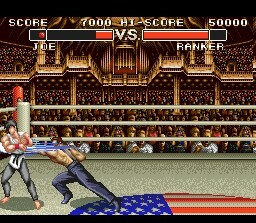 One of my brother’s friends, Mike, challenged me to a duel right there in the store. 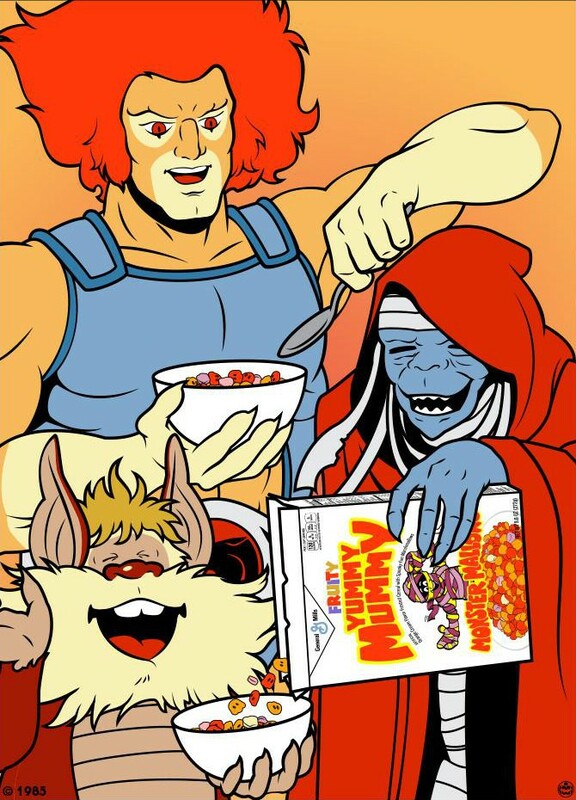 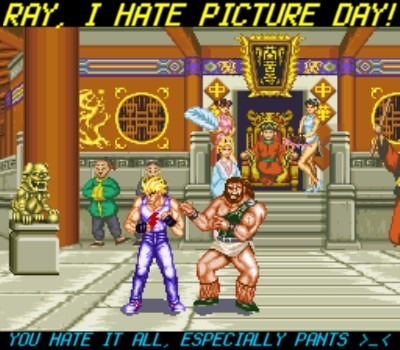 Ahh, Mike was a classic dude. 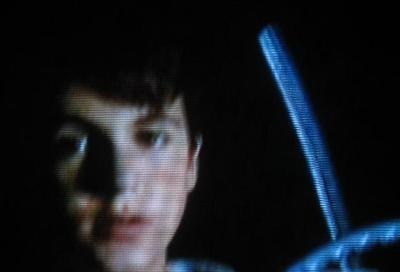 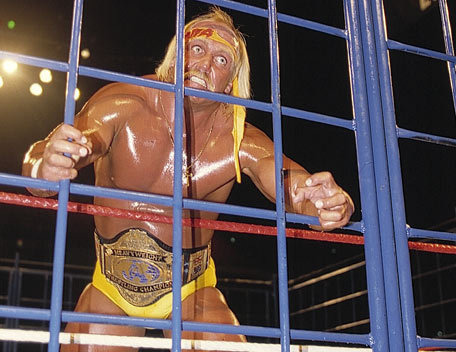 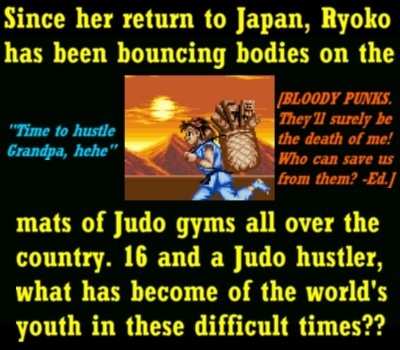 He was a burly 10 year old cocky punk who acted tougher than he really was. 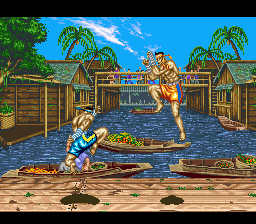 I selected Dhalsim because I was always drawn to underdogs and “freaks.” Mike was trash talking even before the match began. 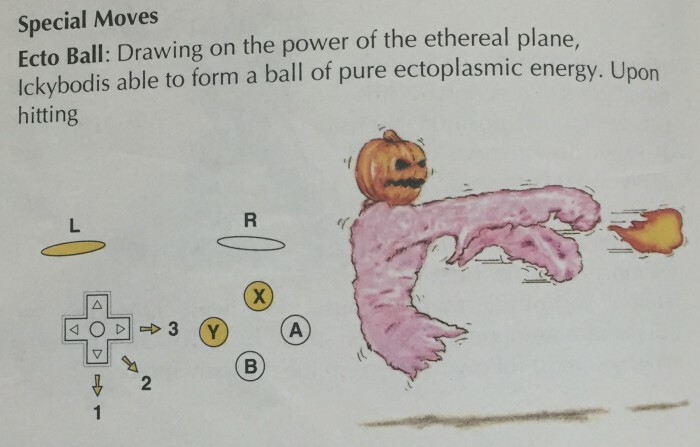 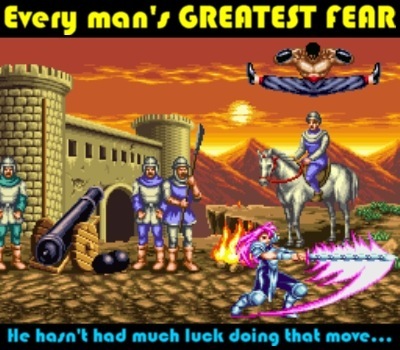 I wasn’t yet skilled enough to pull off a special move, hell, I didn’t even know how! 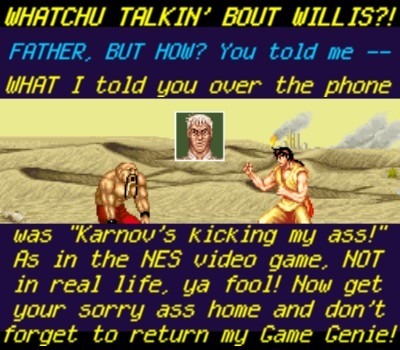 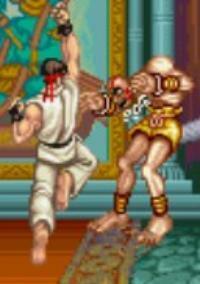 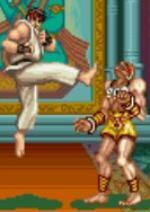 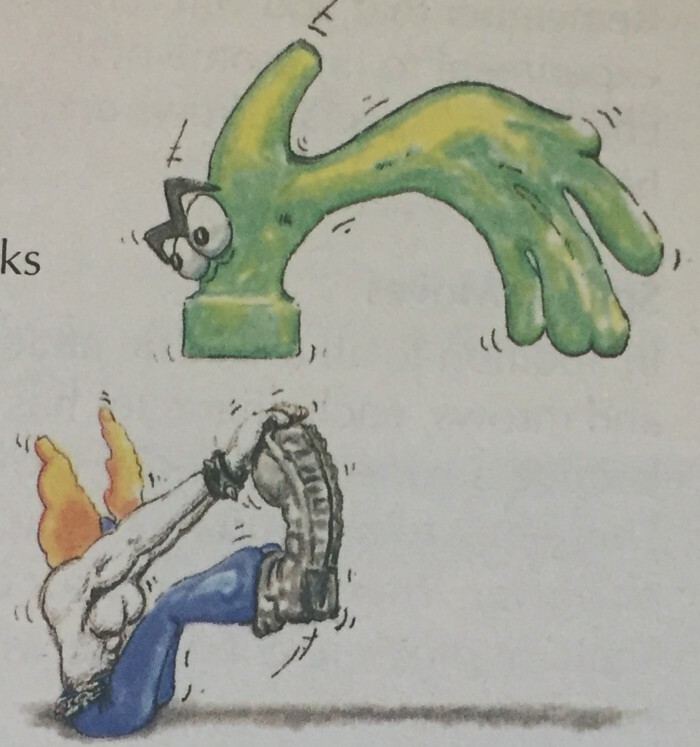 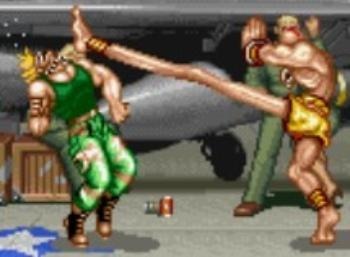 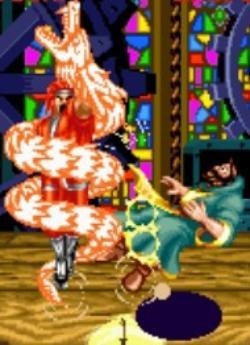 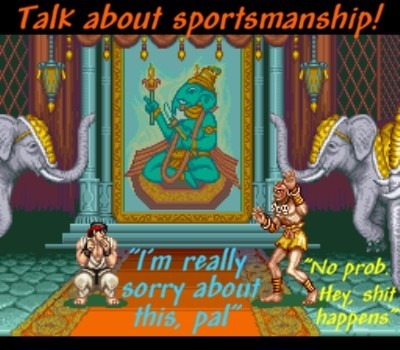 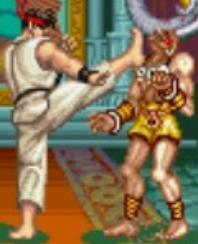 But on that day it didn’t matter, for you see, Mike had no answer for Dhalsim’s long limbs. 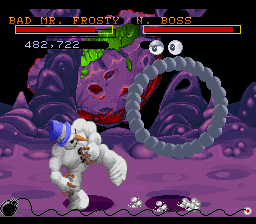 I ended up perfecting him two rounds in a row! 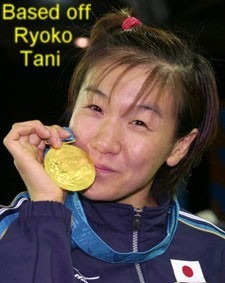 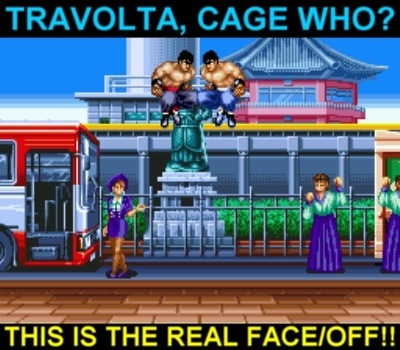 It was the upset of the decade! 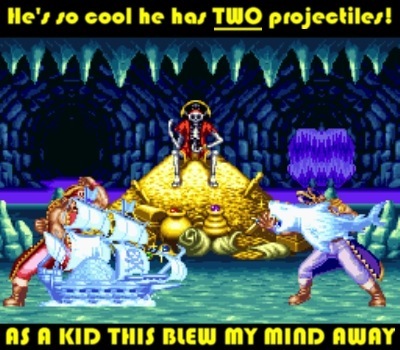 My seven and a half year old self couldn’t believe it, and neither could Mike, who just stood there completely in shock. 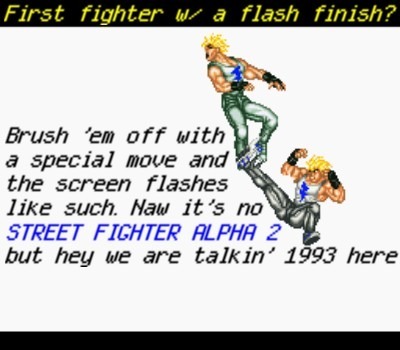 My brother and Mike’s other friend were jumping around going “OHHHH!! 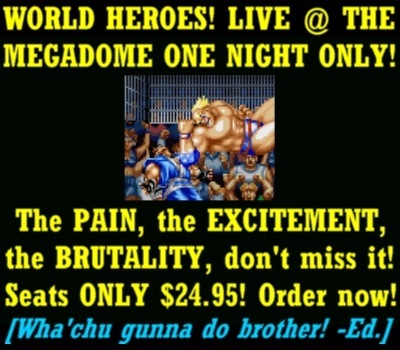 !” I became the man of the hour, and Mike was never going to live this moment down, ever. 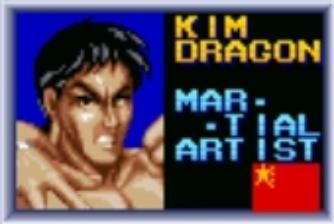 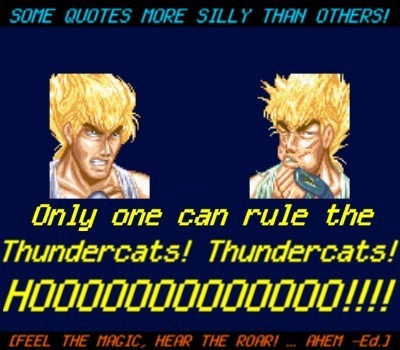 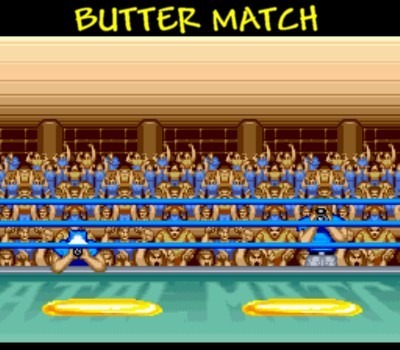 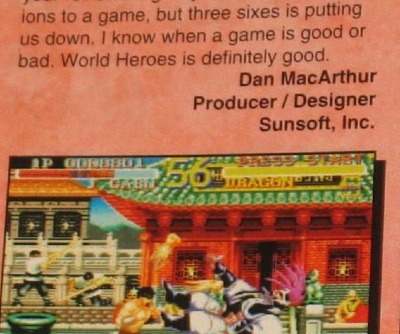 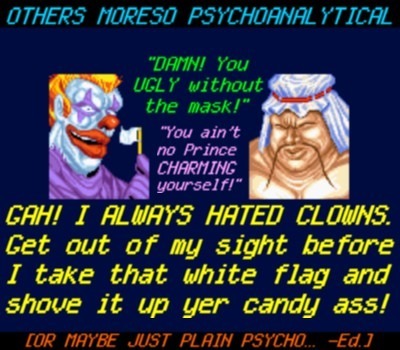 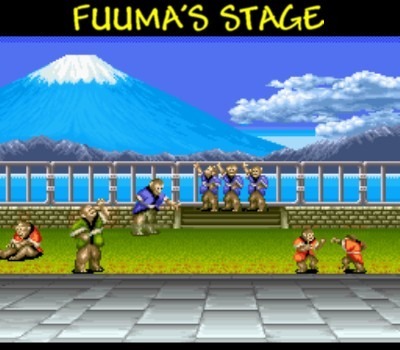 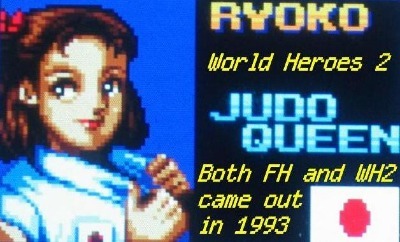 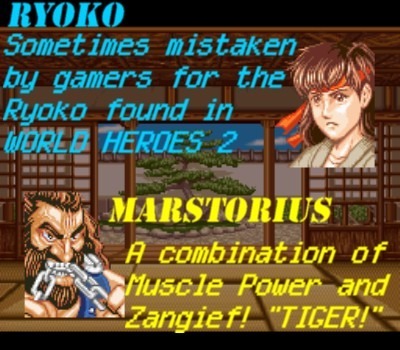 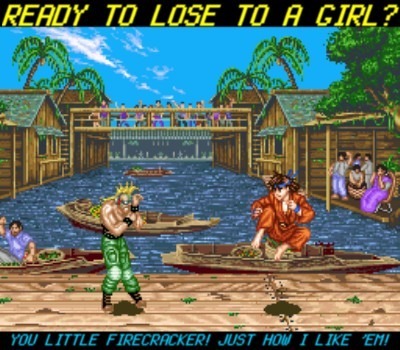 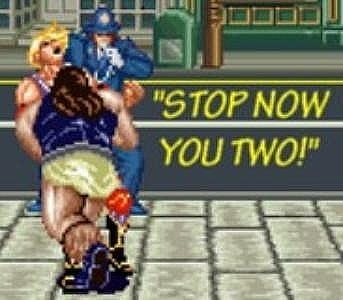 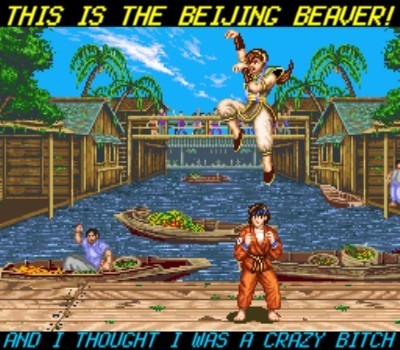 I knew then and there Street Fighter II was no ordinary game. 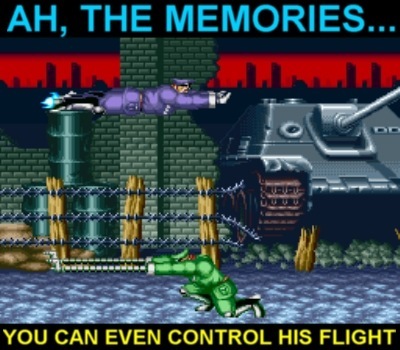 It’s a memory that’s never left me. 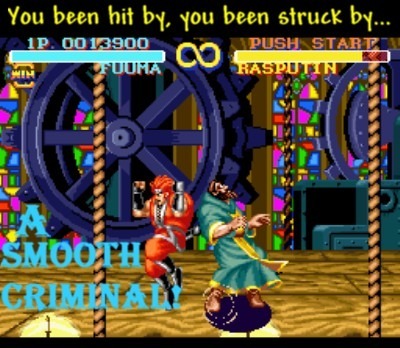 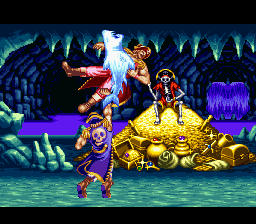 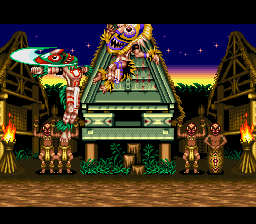 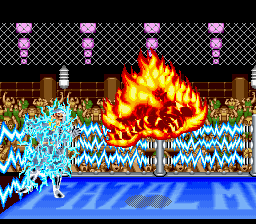 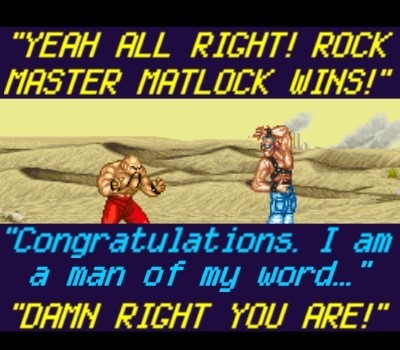 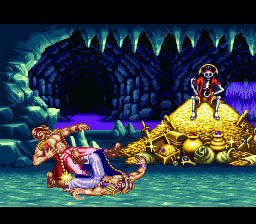 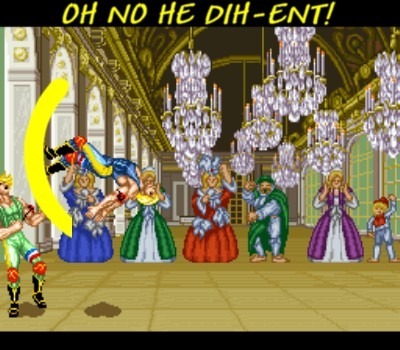 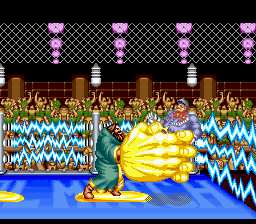 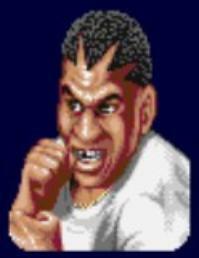 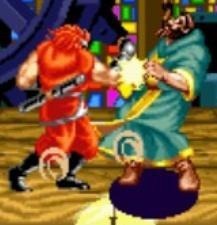 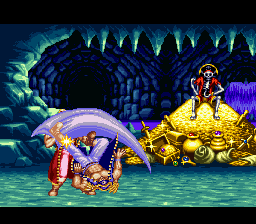 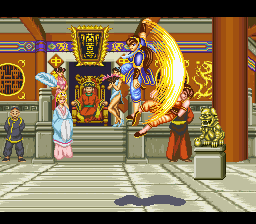 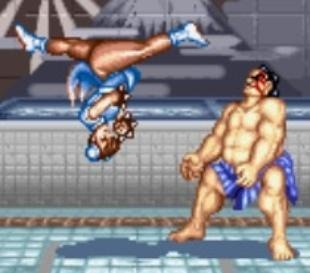 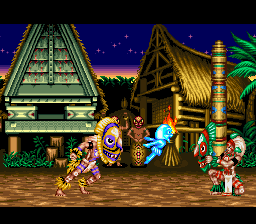 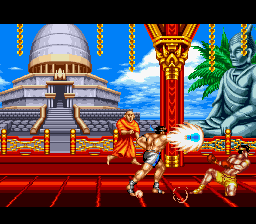 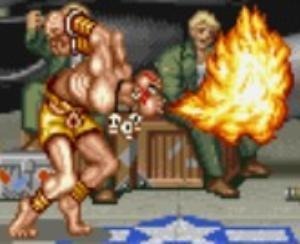 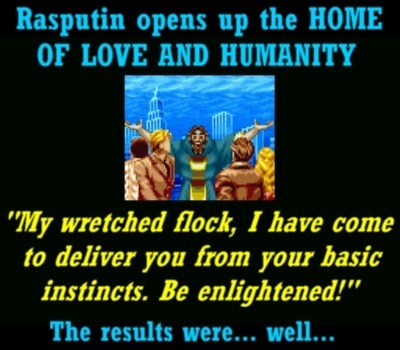 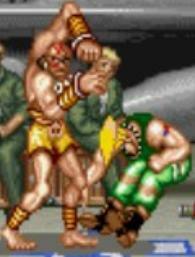 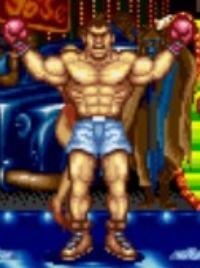 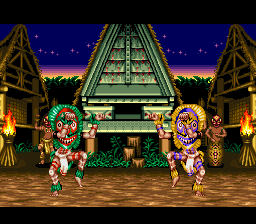 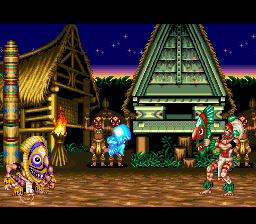 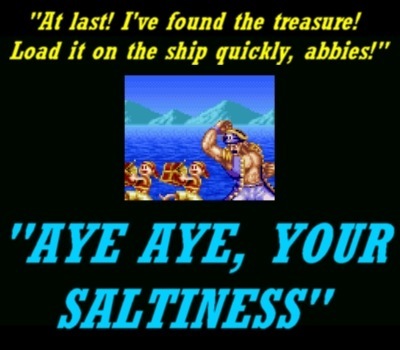 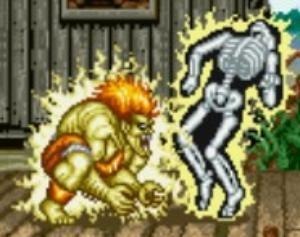 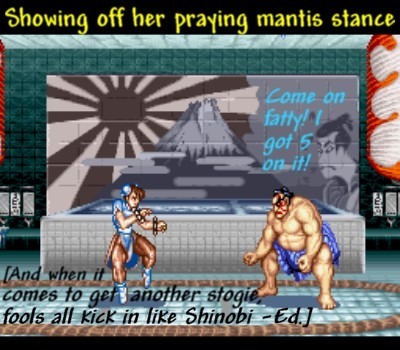 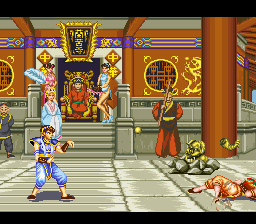 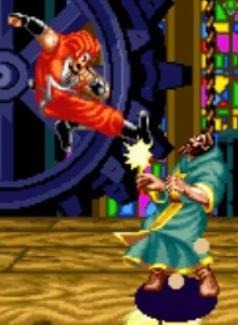 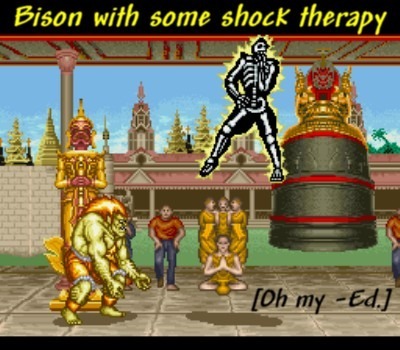 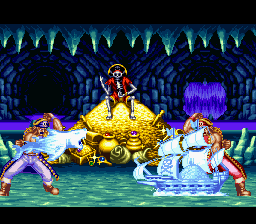 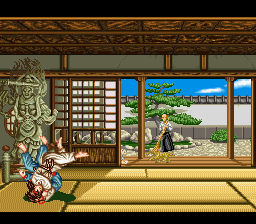 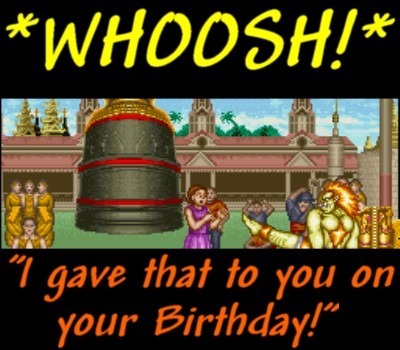 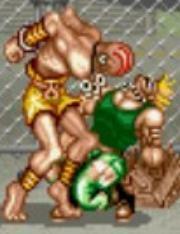 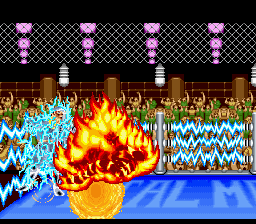 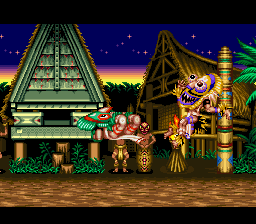 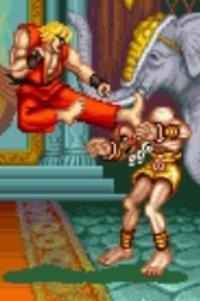 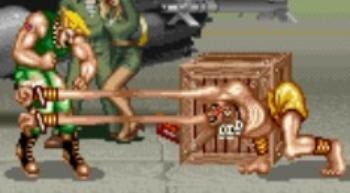 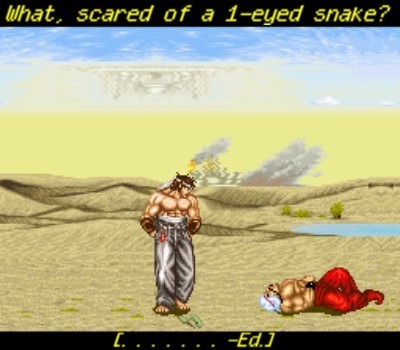 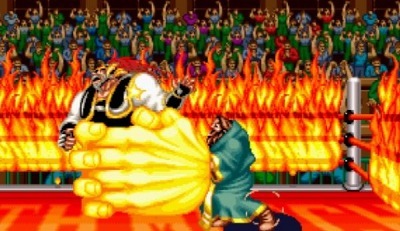 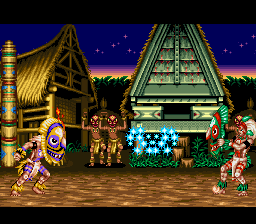 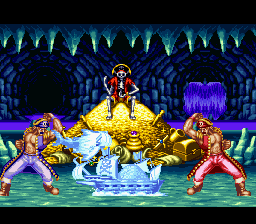 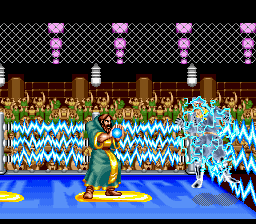 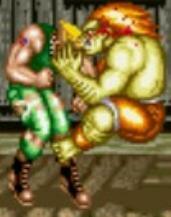 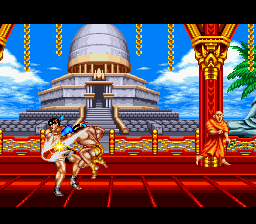 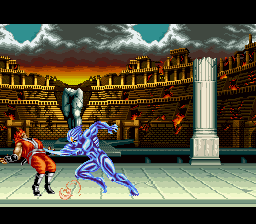 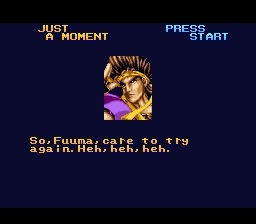 The moment cemented me as a Dhalsim and Street Fighter II fan for life. 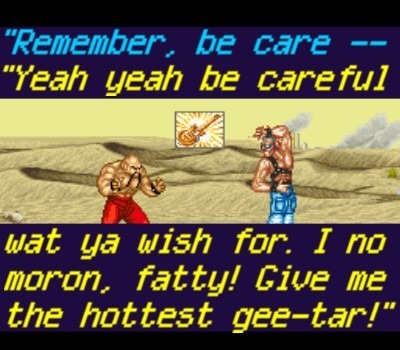 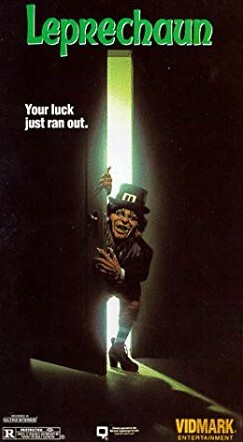 And to this day, whenever I happen to step inside a 7-11 to pick up a cold drink on a hot summer day, I can’t help but think back to that moment in time. 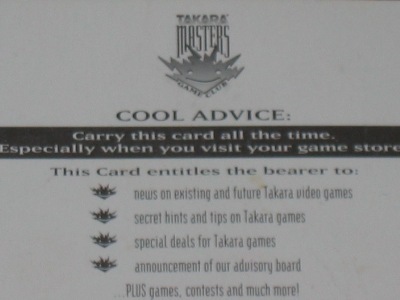 My bro, his friends and I used to frequent a local card shop, TRIPLE PLAY, on a biweekly basis. 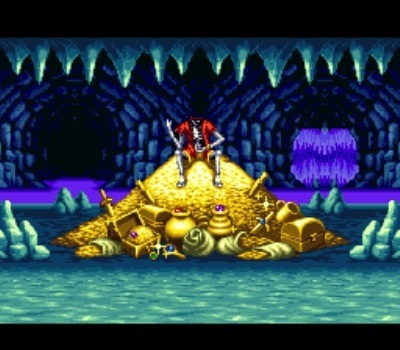 My bro would get 2 bucks to spend, and I’d get a dollar from my dad. 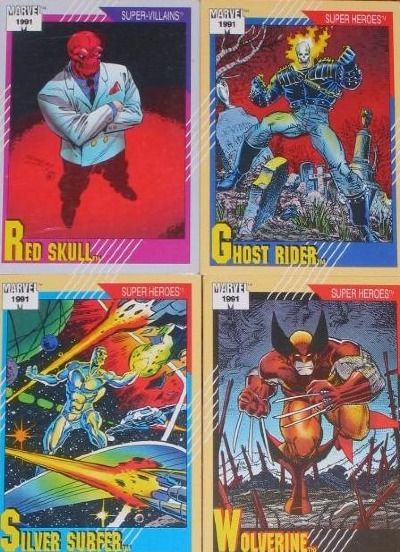 I always spent that dollar on a Marvel 1991 trading card pack. 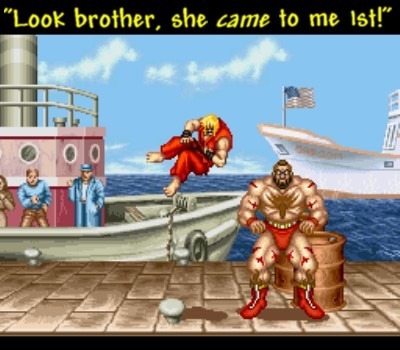 My brother would as well, and then he’d use his last remaining dollar on the Street Fighter II cab. 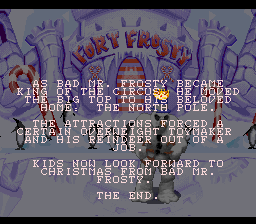 Kevin would occasionally spare me a quarter (what a great older brother, eh?) 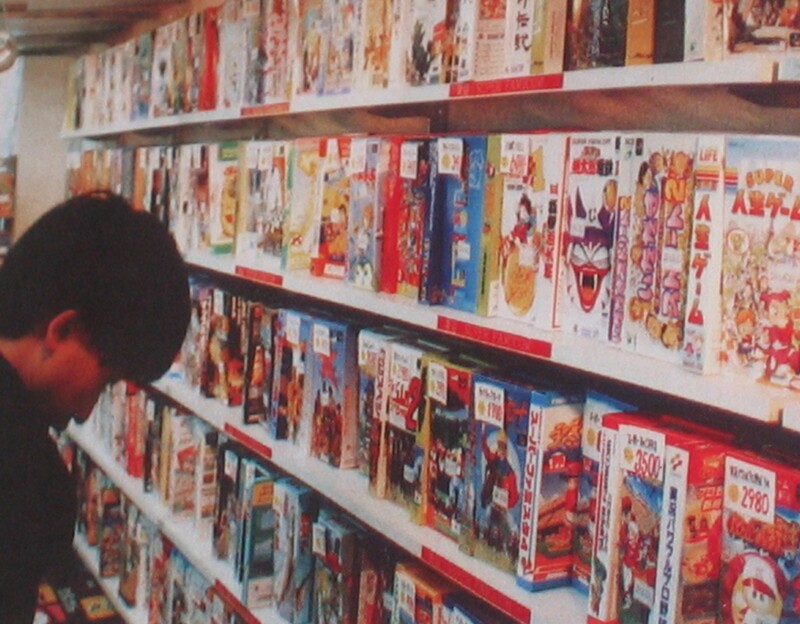 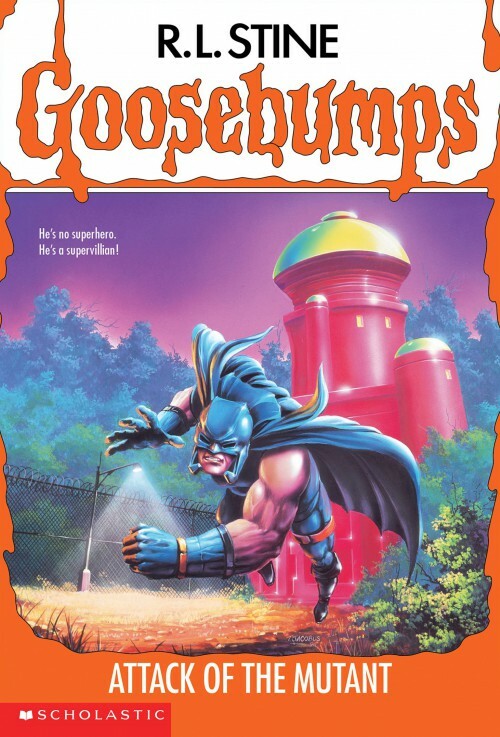 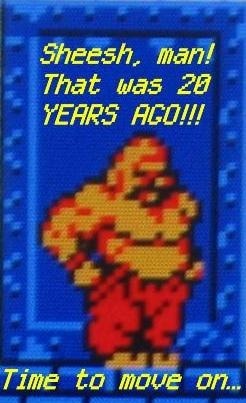 but most of the times I just stood by, happily checking out my new Marvel cards while keeping an eye on the older kids trading fireballs and fists. 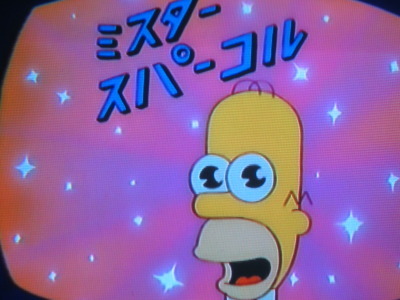 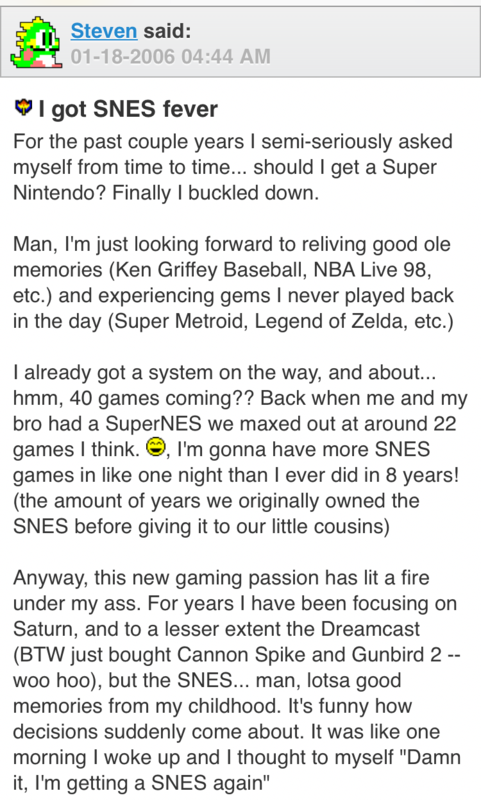 And as the 8-bit Nintendo was making its final push in the US, word broke out about a SUPER Nintendo. 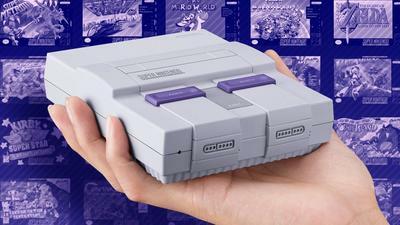 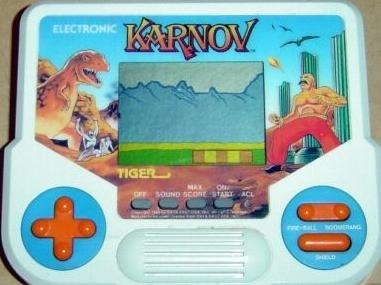 A machine that promised to break all boundaries of modern technology and bring home the next wave of console gaming. 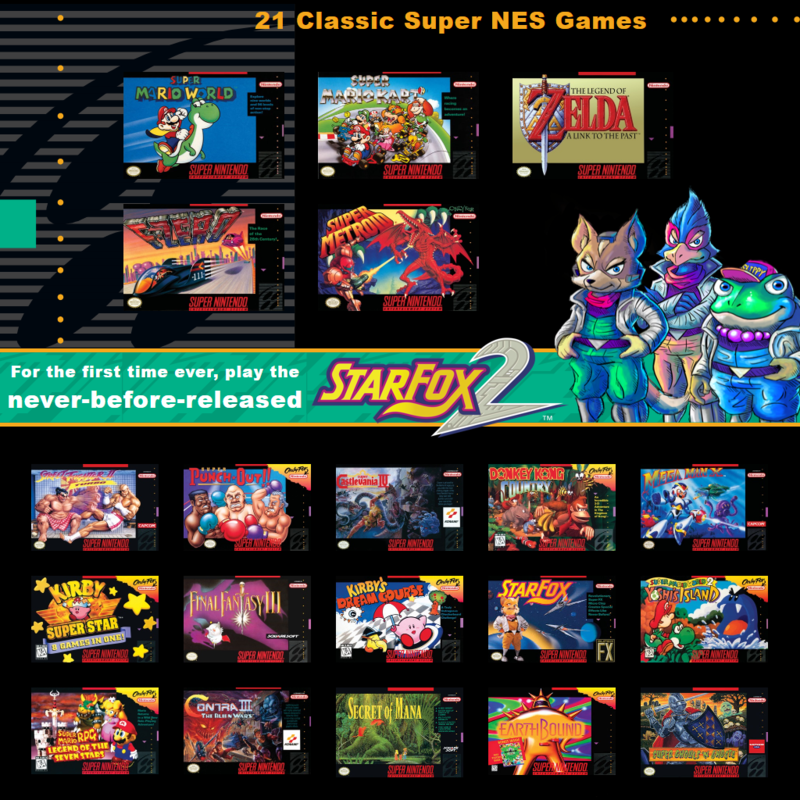 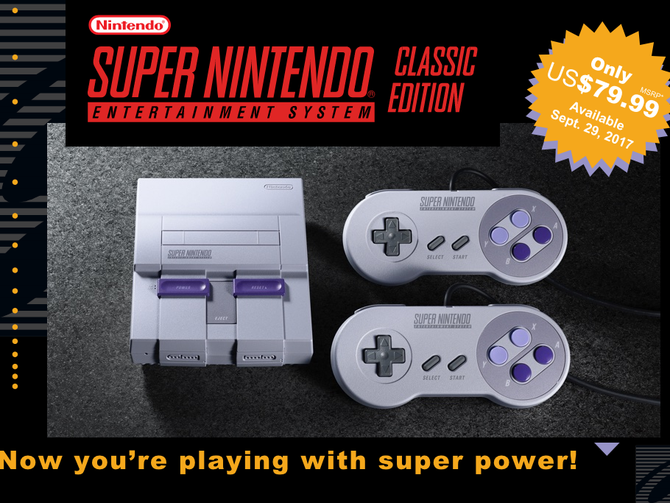 Later that year the SNES launched and quality software like Super Mario World, Contra III: The Alien Wars and The Legend of Zelda: A Link to the Past ensured that the SNES hype was real. 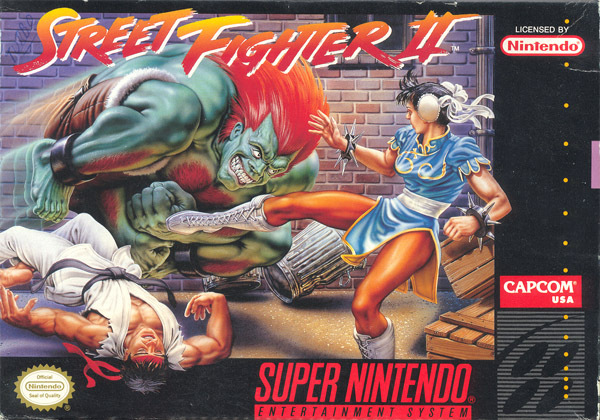 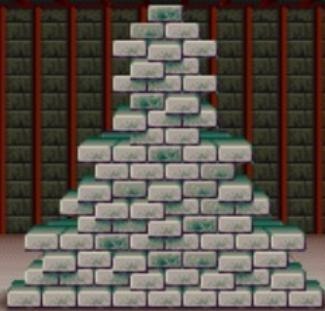 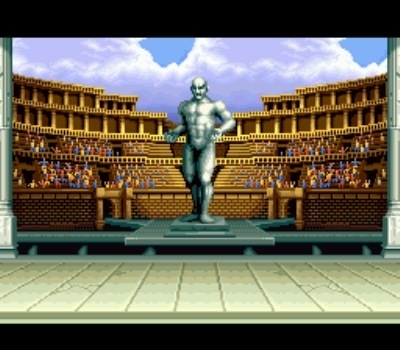 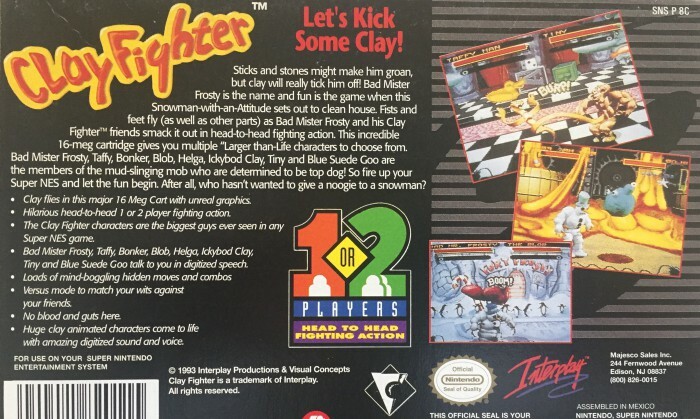 However, as great as those titles were and as much as they contributed to the ascension of the Super Nintendo, to me it was Street Fighter II that truly etched the system’s greatness in granite. 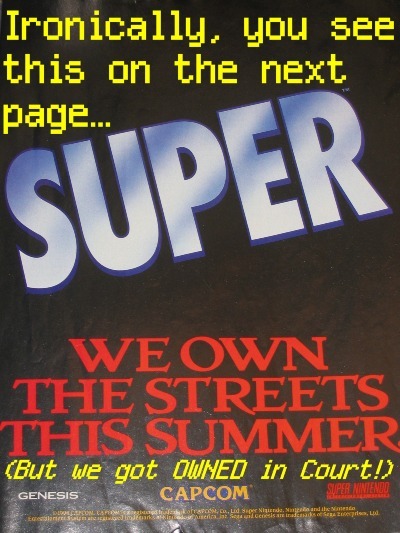 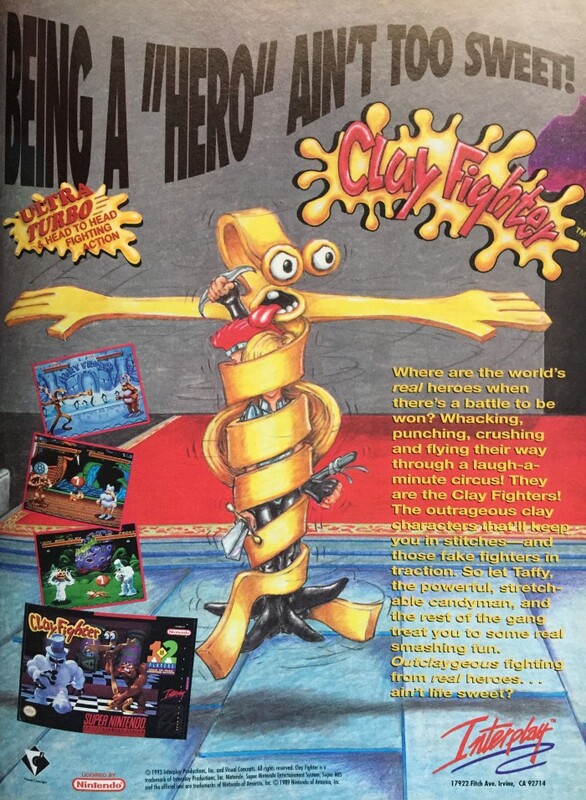 On a hot summer night in 1992, my brother and mom left to Sears Funtronics with one simple mission in mind: secure and bring home the hottest 16-bit video game. 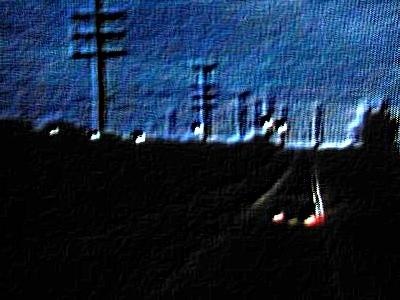 I stayed back and time seemed to slow down to a crawl. 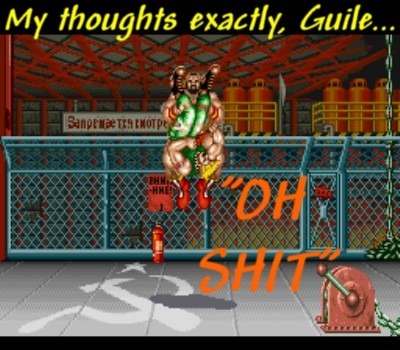 The seconds felt like minutes. 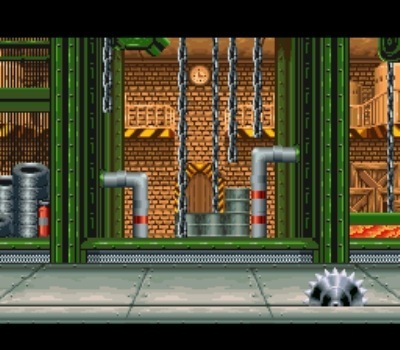 The minutes felt like hours. 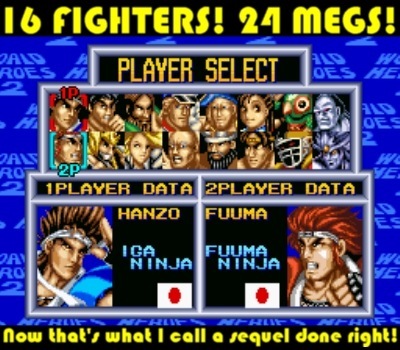 Fight fever had officially taken over. 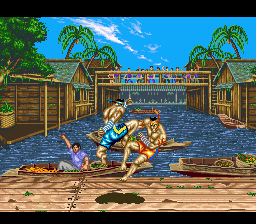 When my bro finally made it back with Street Fighter II in hand, I’m pretty sure all my neighbors could hear our cries of joy. 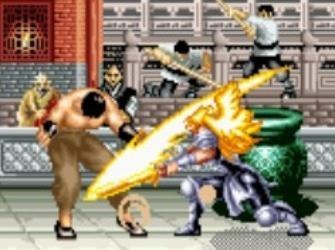 It was yet another moment in time of being nine years old, growing up in suburbia and experiencing the best era of video gaming. 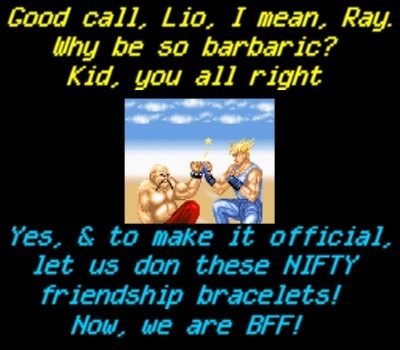 Right off the bat we noticed the little intro was missing, but honestly, we didn’t really care. 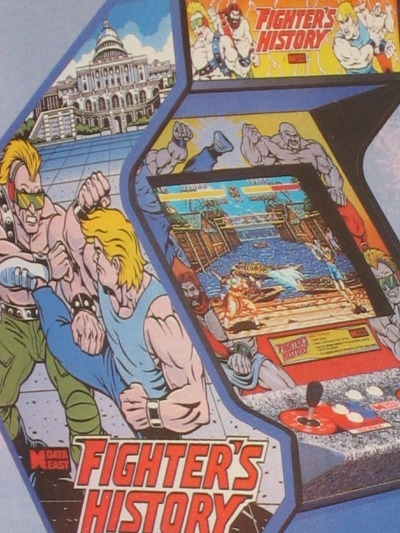 It still felt like we had the arcade in our living room! 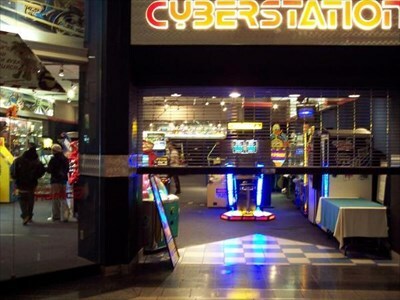 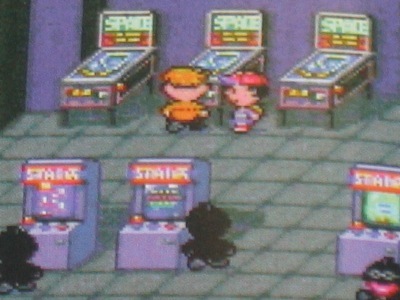 Or at the very least, a strong slice of the arcade. 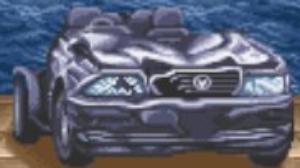 And at that time, July 1992, that was more than enough to leave a lasting imprint on all of us. 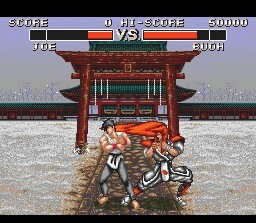 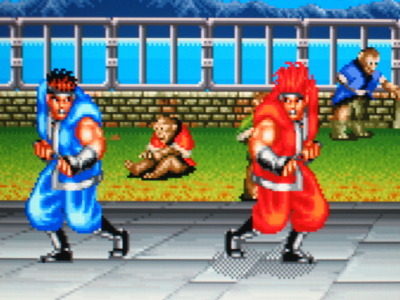 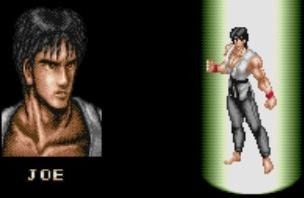 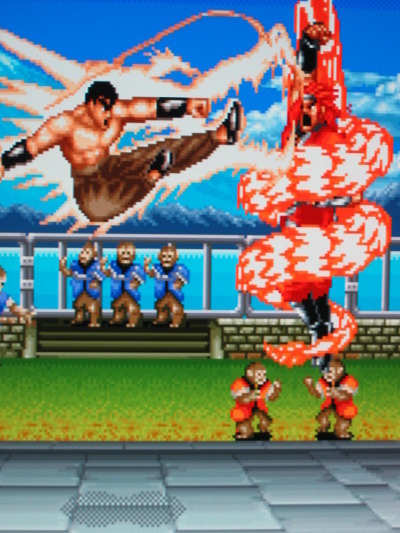 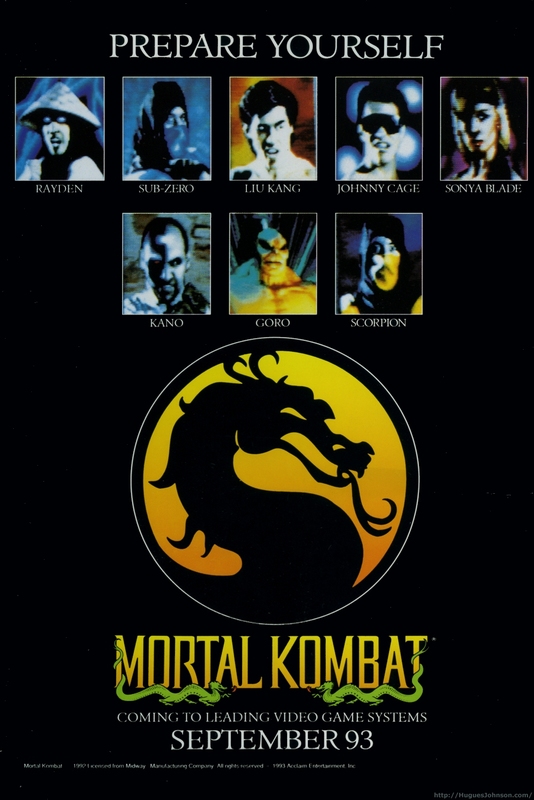 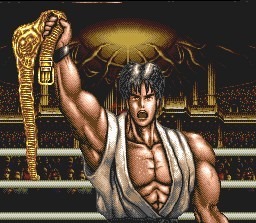 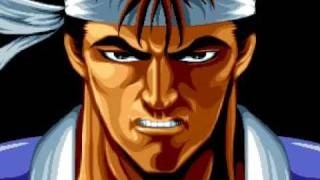 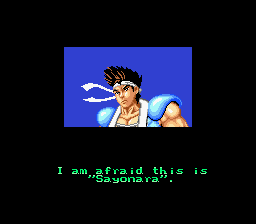 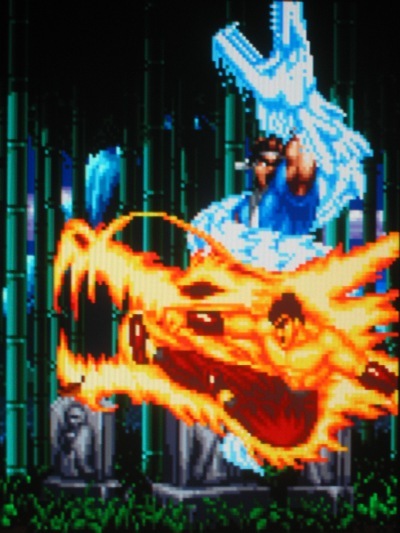 The main character of the franchise, Ryu became the face of fighting games. 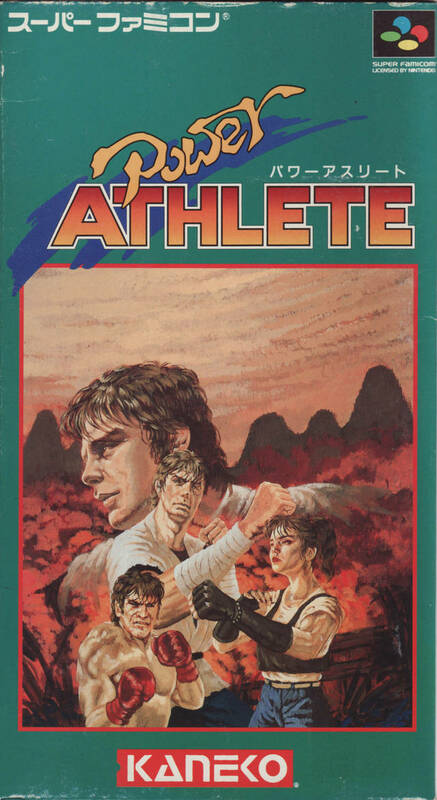 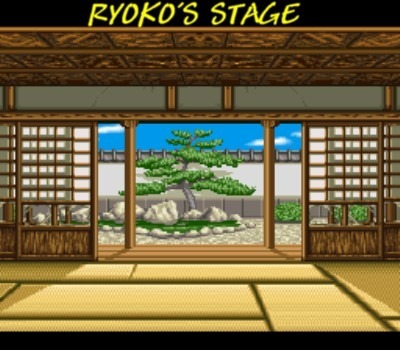 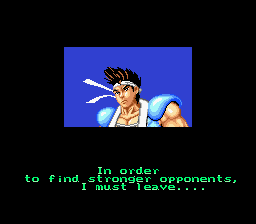 A master of the Shotokan martial art, Ryu lives for the fight and only the fight. 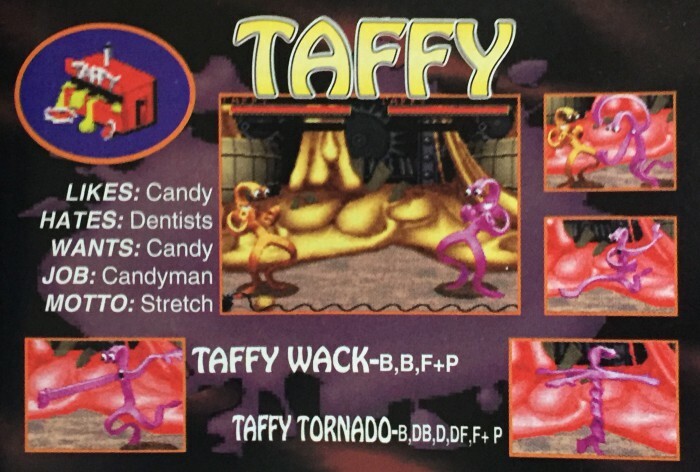 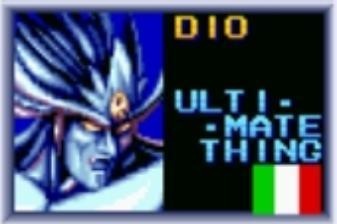 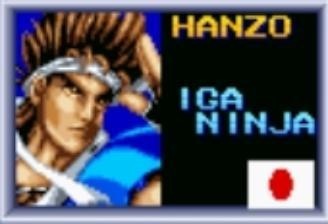 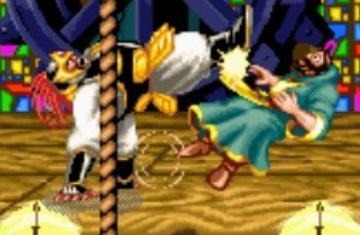 While some may consider him to be a little bland, there’s no denying he’s an iconic character who holds claim to some of the most legendary special moves in all of fighting game history. 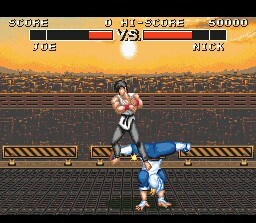 Duke it out on the dojo rooftop. 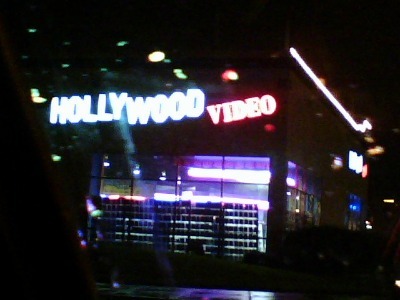 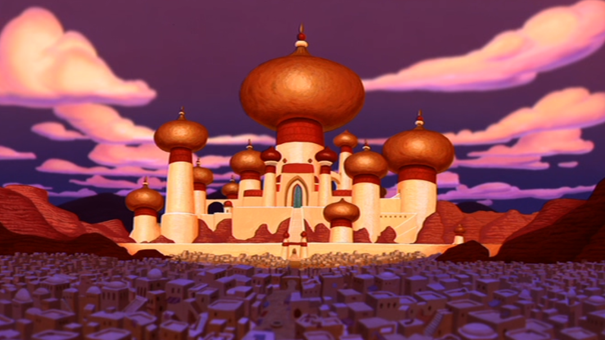 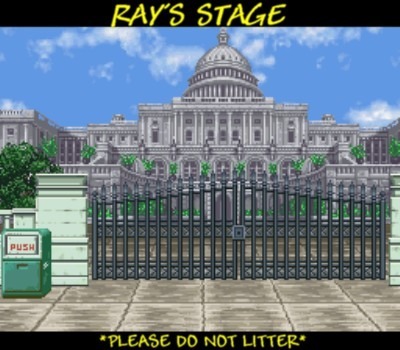 Only the privileged few have ever step foot here. 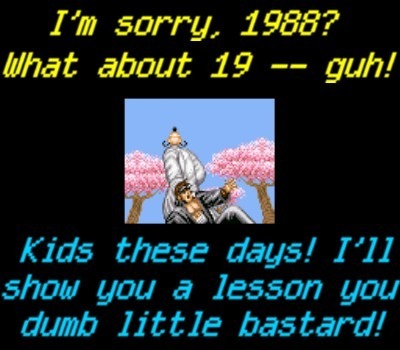 And you were lucky to leave the dojo on your own two feet! 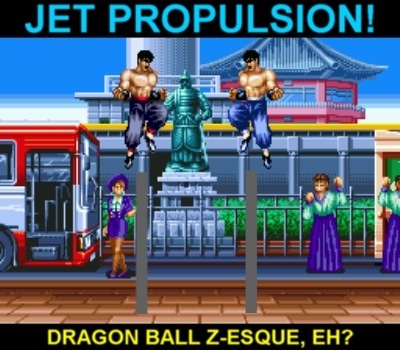 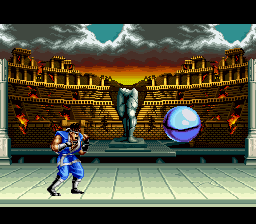 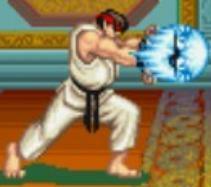 Ah, the Hadoken fireball. 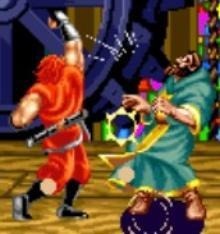 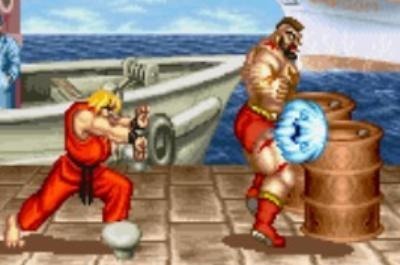 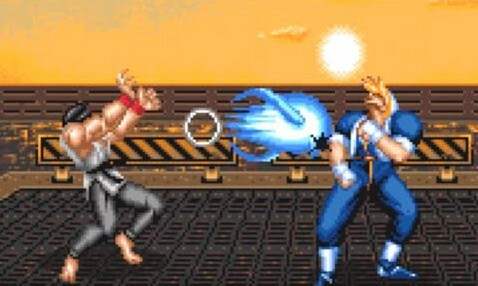 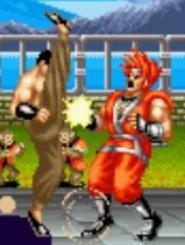 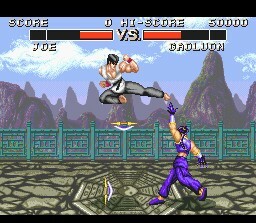 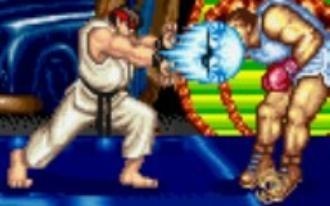 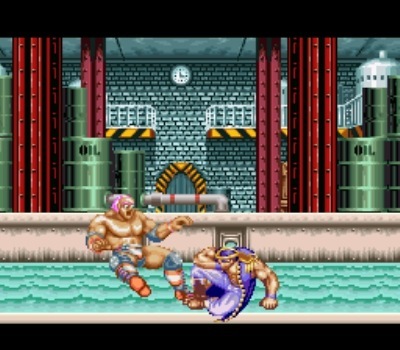 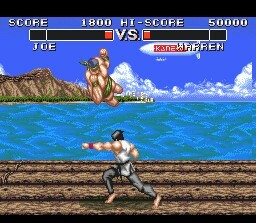 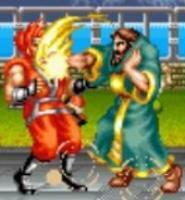 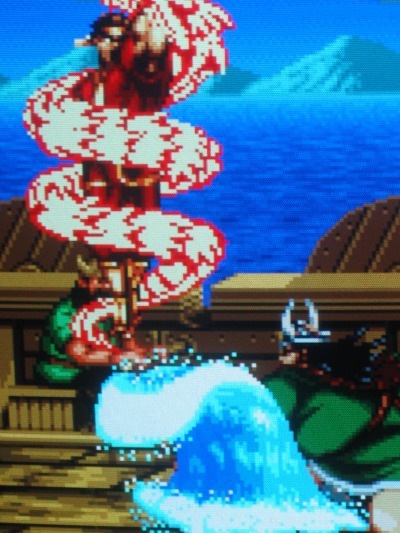 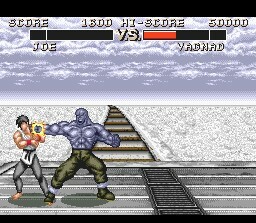 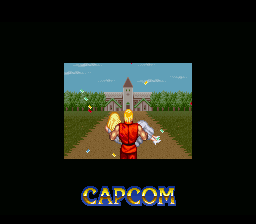 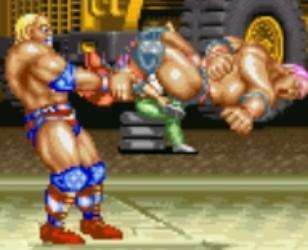 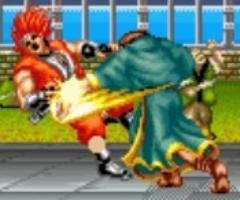 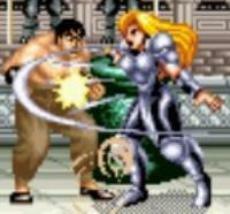 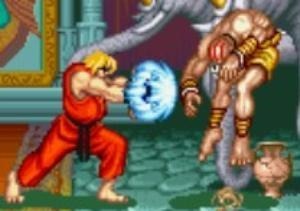 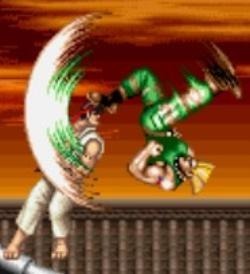 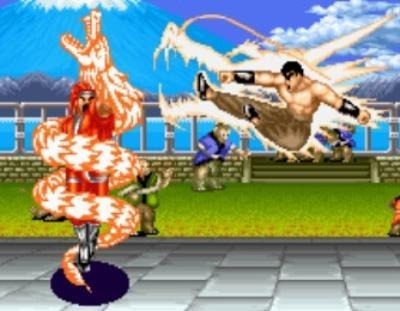 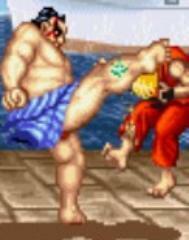 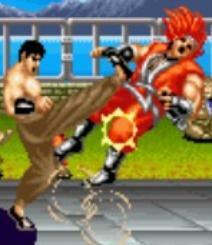 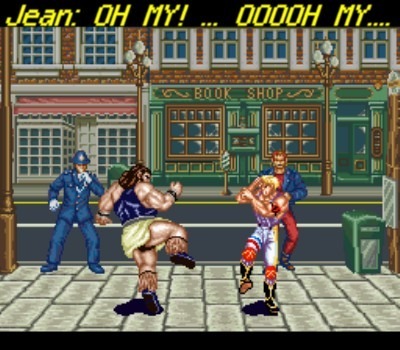 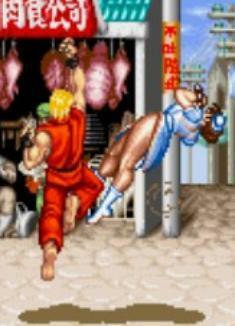 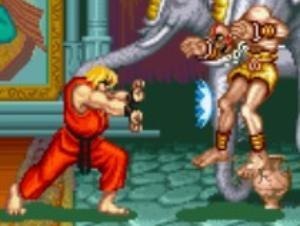 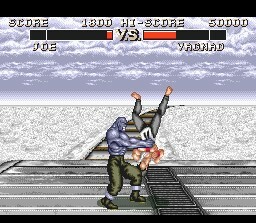 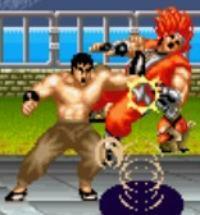 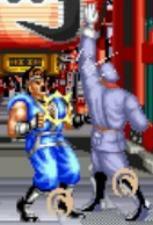 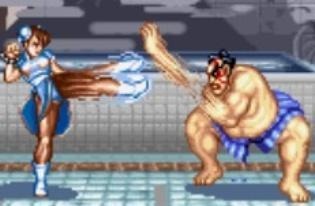 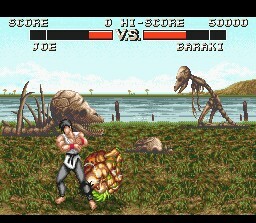 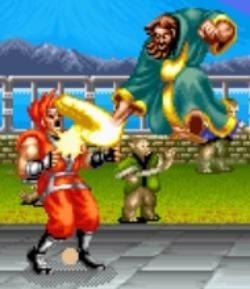 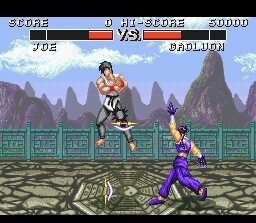 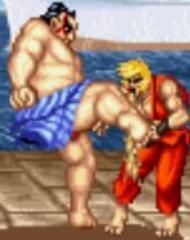 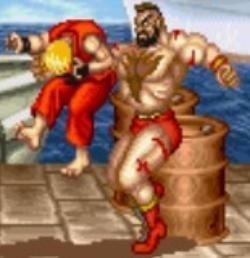 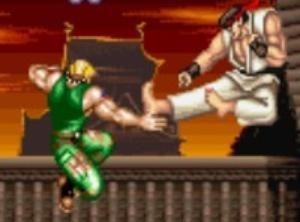 Arguably the most iconic move in fighting game history, you just can’t beat a good old Hadoken. 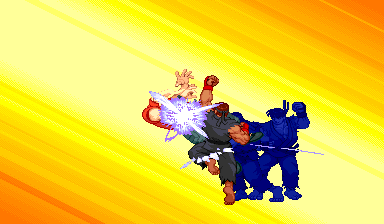 The double axe kick is a good way to polish off combos. 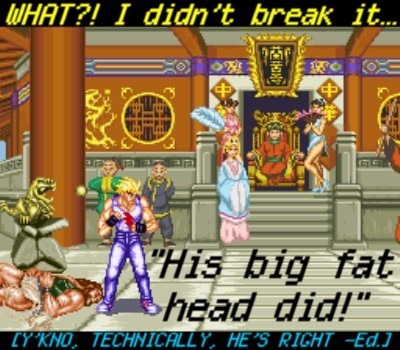 It does a fair amount of damage. 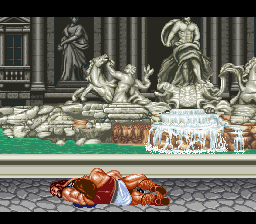 Your victim even vomits, which was always a fun sight gag. 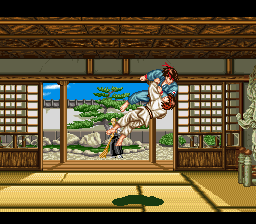 SHO-RYU-KEN! 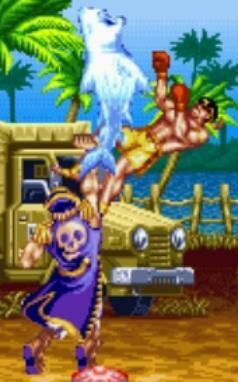 The Dragon Punch, much like Ryu himself, has often been imitated but so rarely duplicated. 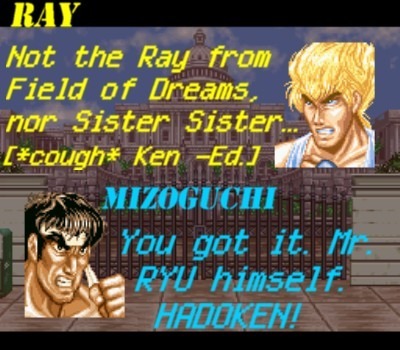 Friend and foe of Ryu’s, Ken is the more flamboyant of the two. 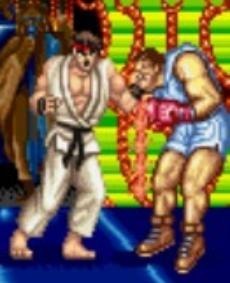 He knows every move that Ryu knows. 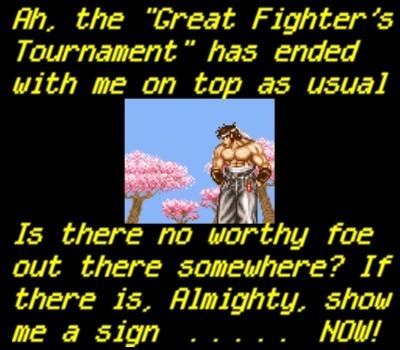 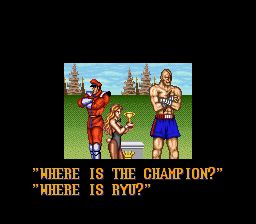 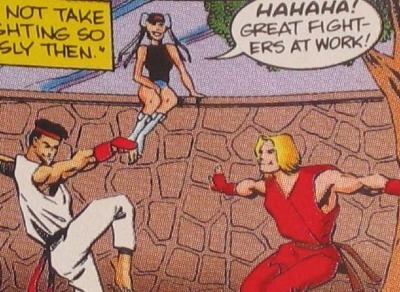 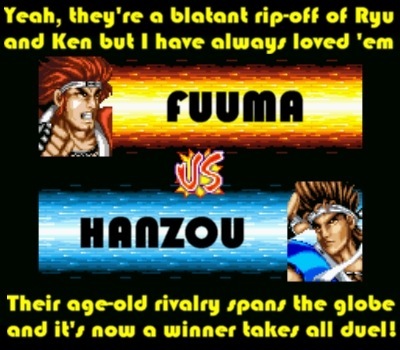 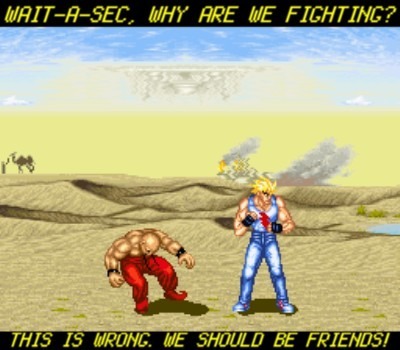 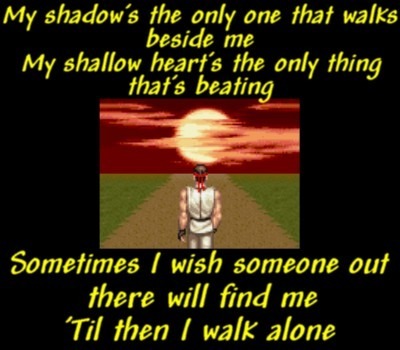 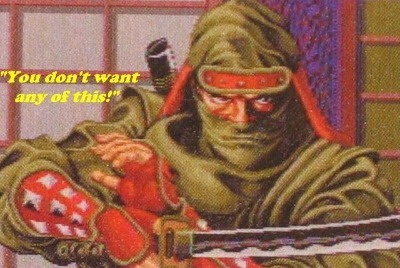 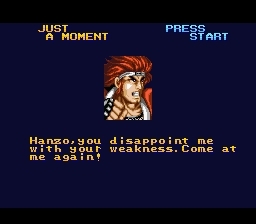 But unlike Ryu, Ken believes there is more to life than just the fight. 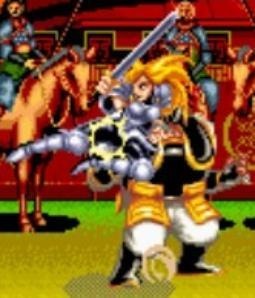 In battle he is often times reckless and has a higher propensity to show off. 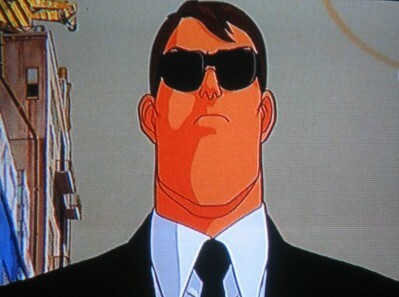 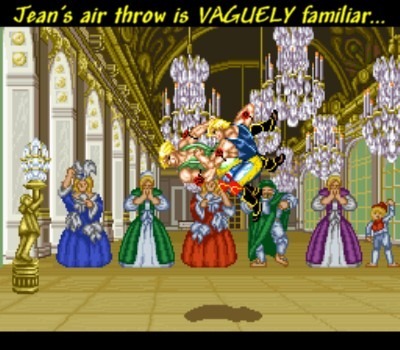 Will arrogance be Ken’s ultimate undoing? 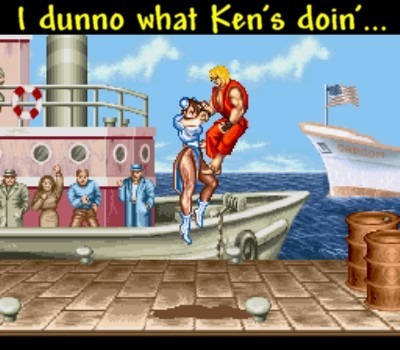 Ken loves having an audience, and this boat provides him with just that. 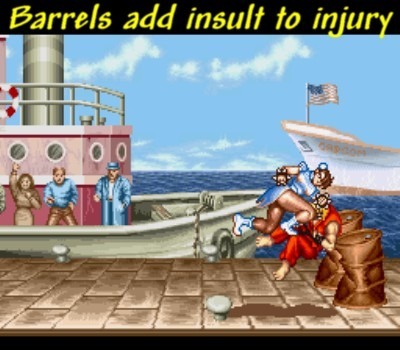 Storage barrels line the battle field and break if hit violently. 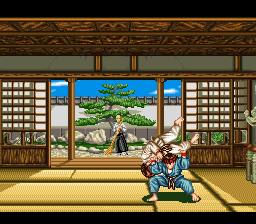 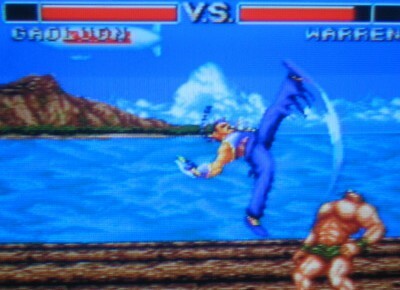 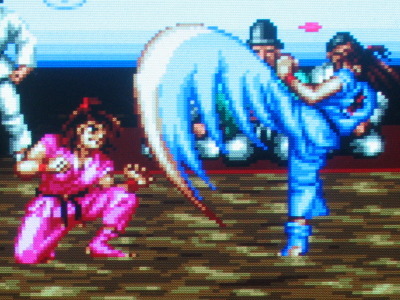 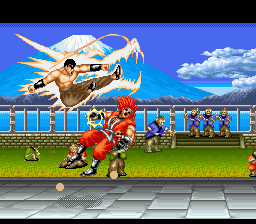 Ken’s Hurricane Kick packs a wallop when administered in succession. 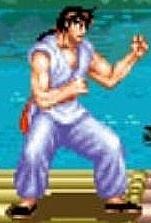 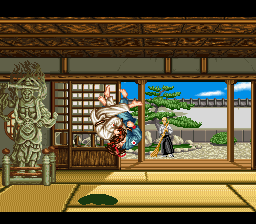 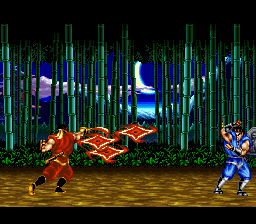 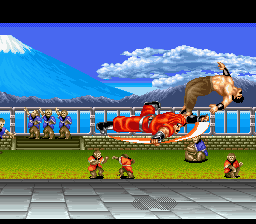 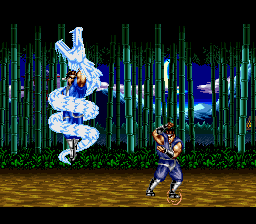 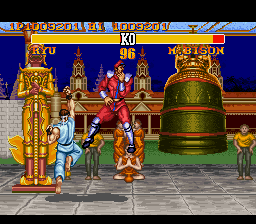 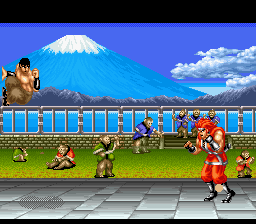 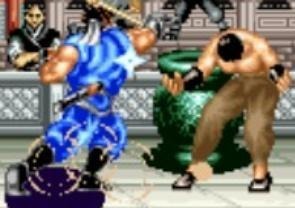 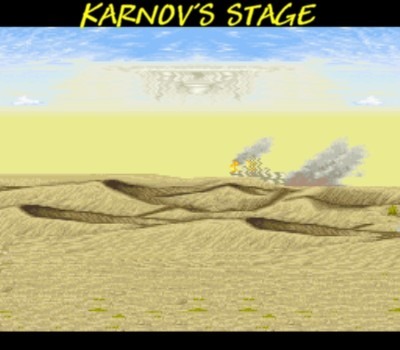 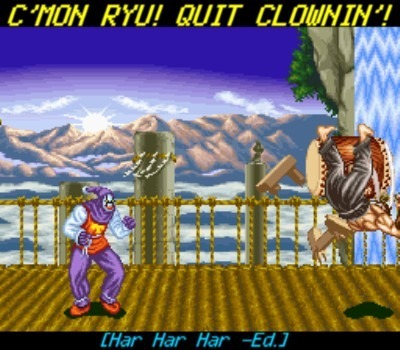 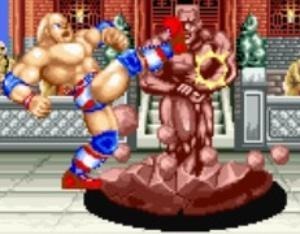 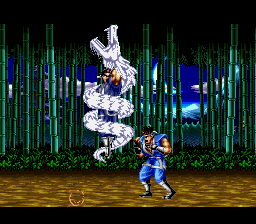 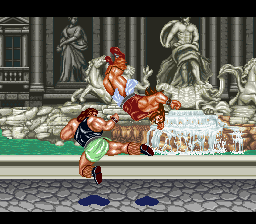 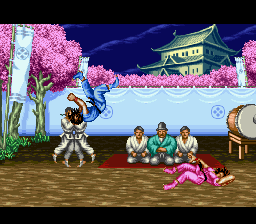 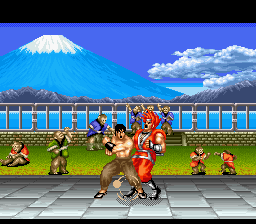 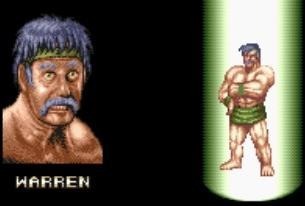 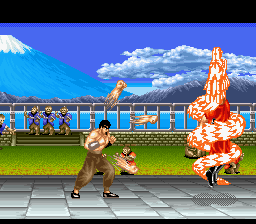 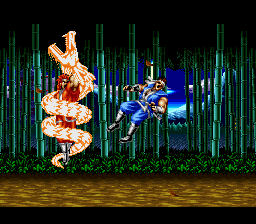 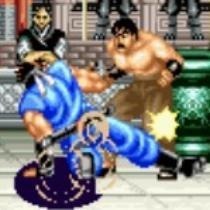 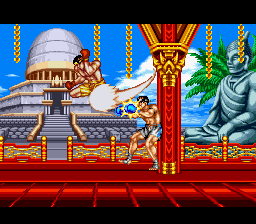 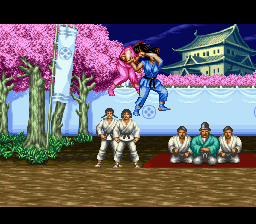 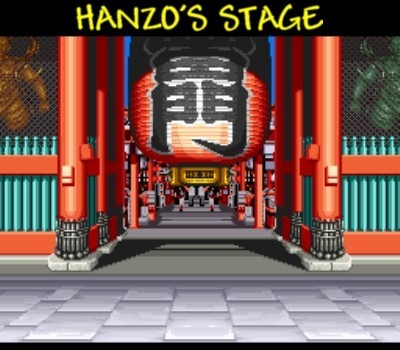 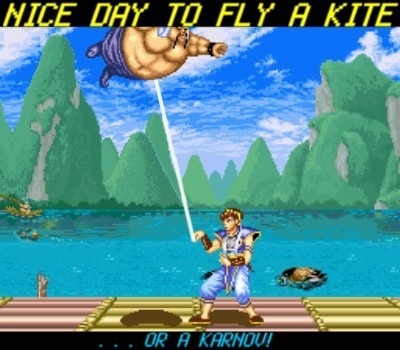 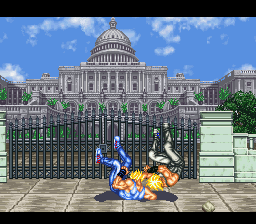 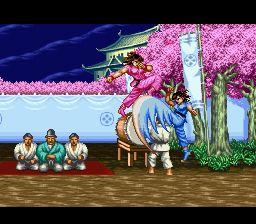 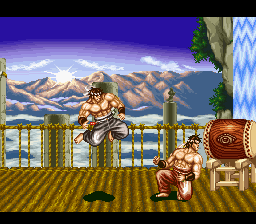 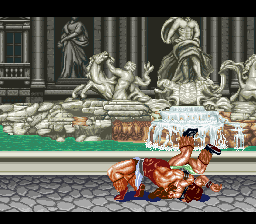 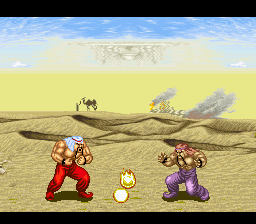 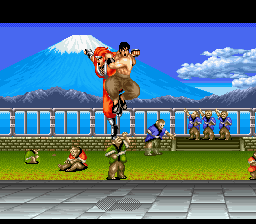 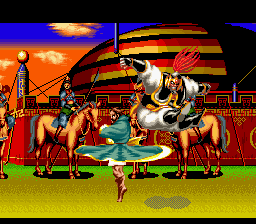 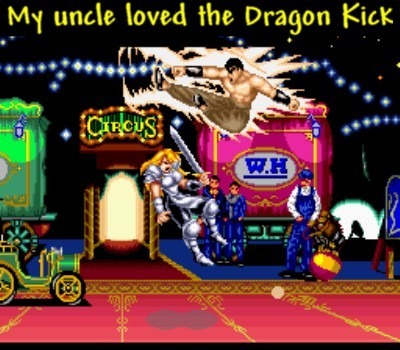 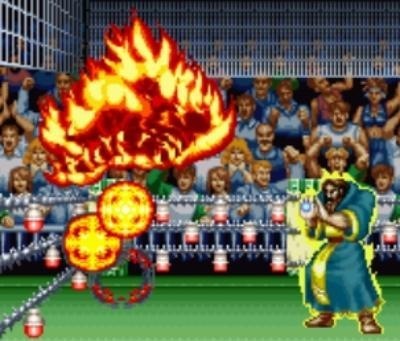 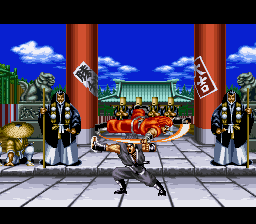 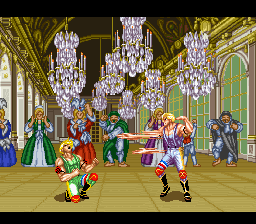 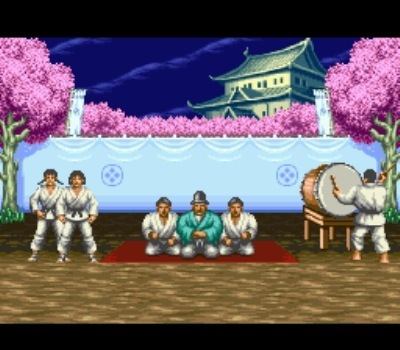 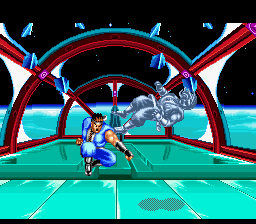 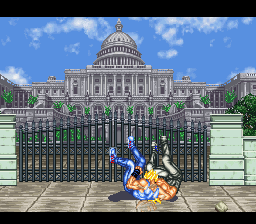 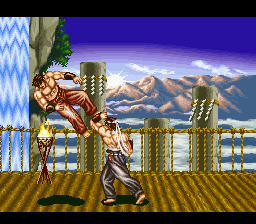 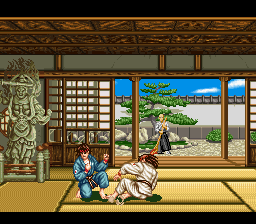 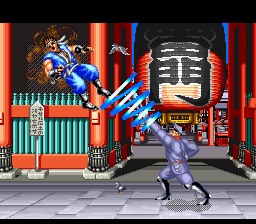 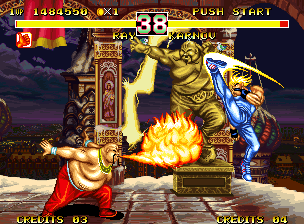 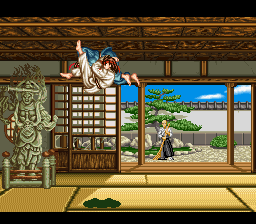 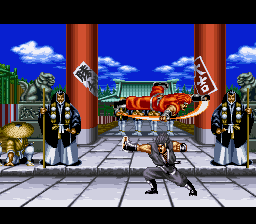 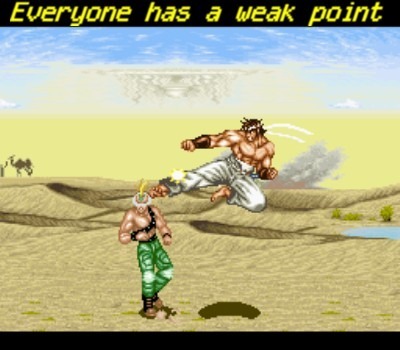 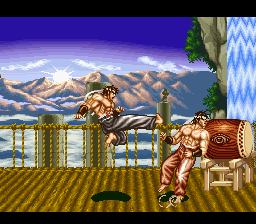 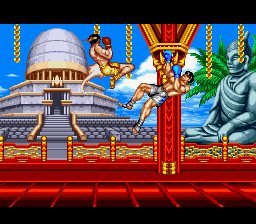 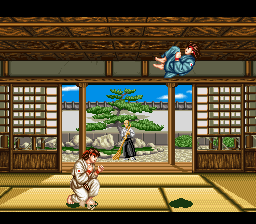 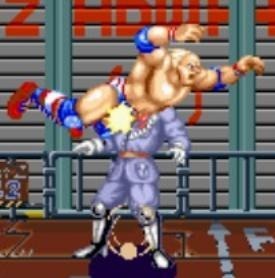 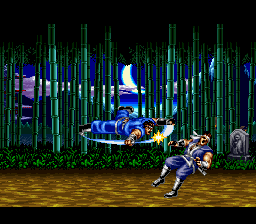 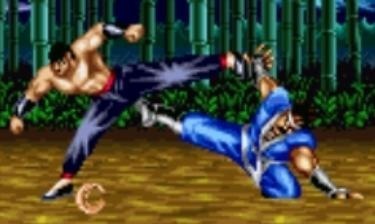 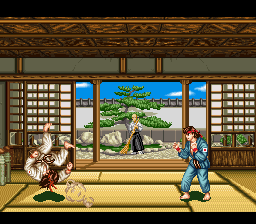 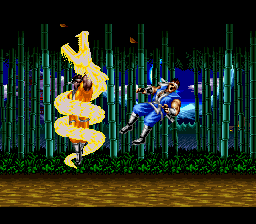 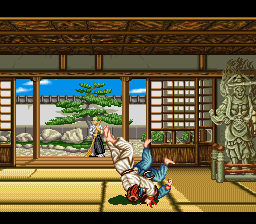 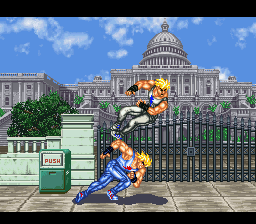 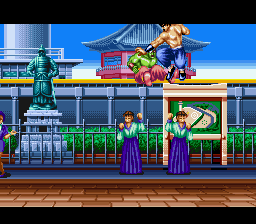 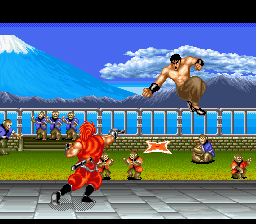 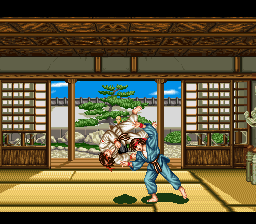 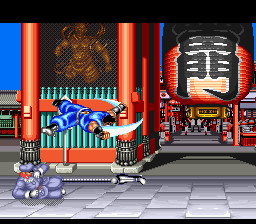 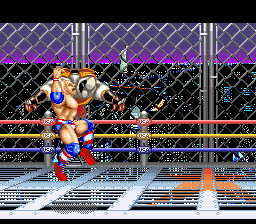 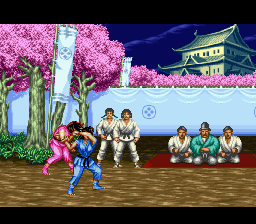 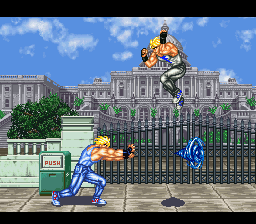 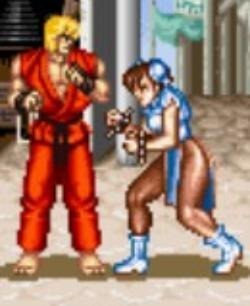 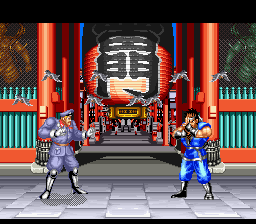 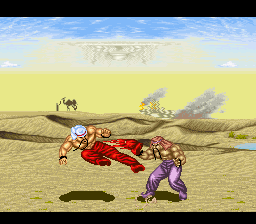 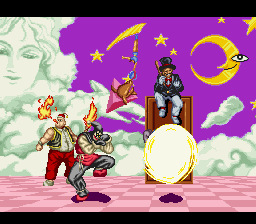 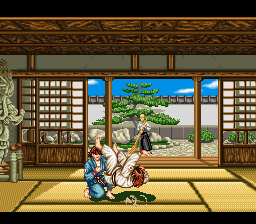 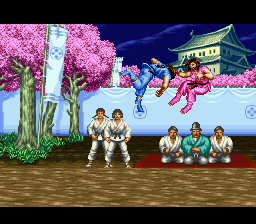 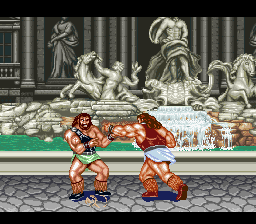 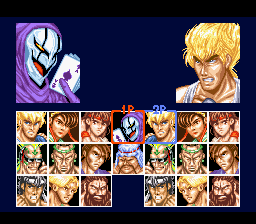 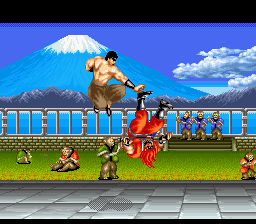 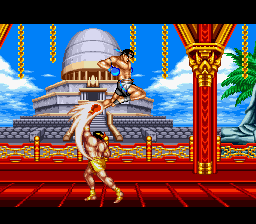 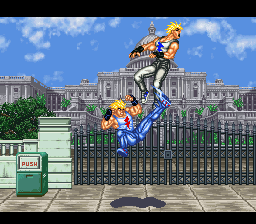 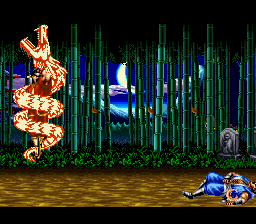 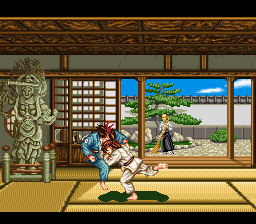 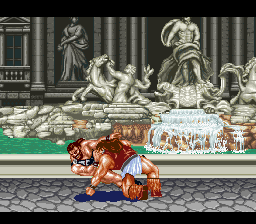 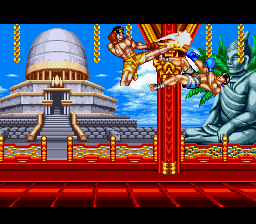 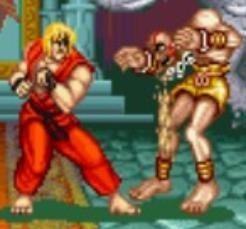 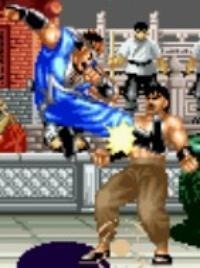 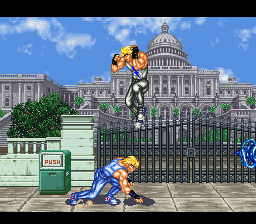 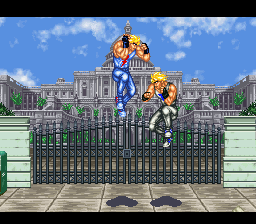 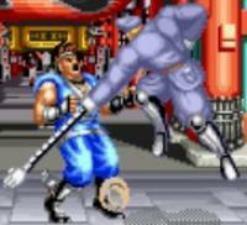 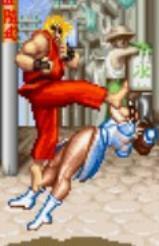 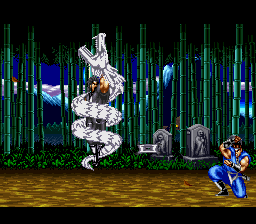 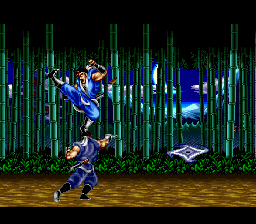 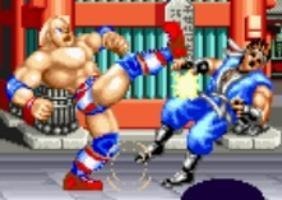 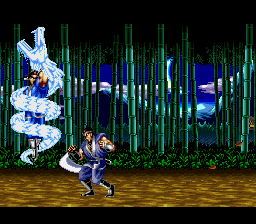 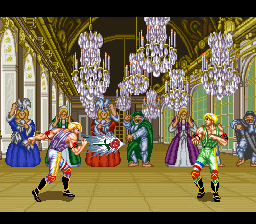 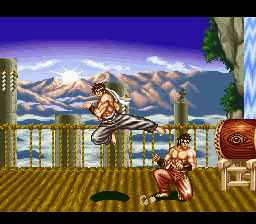 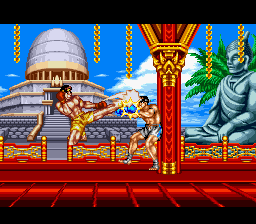 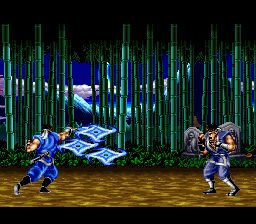 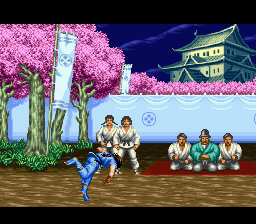 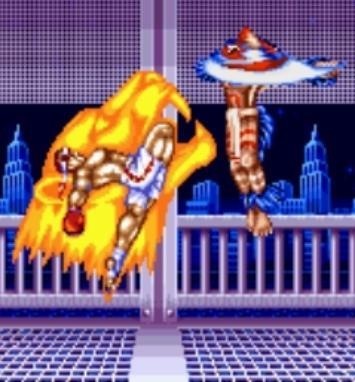 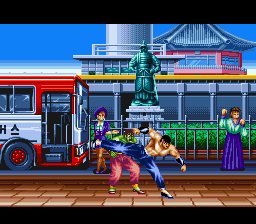 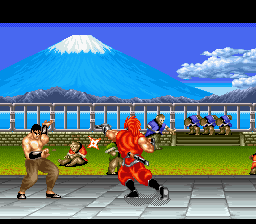 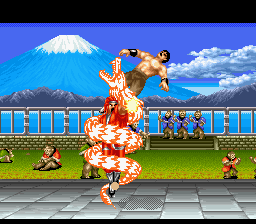 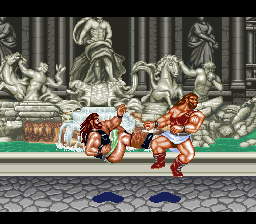 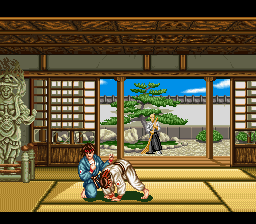 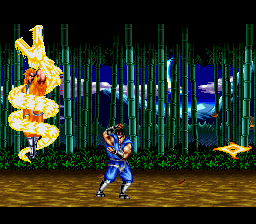 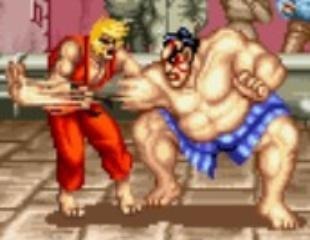 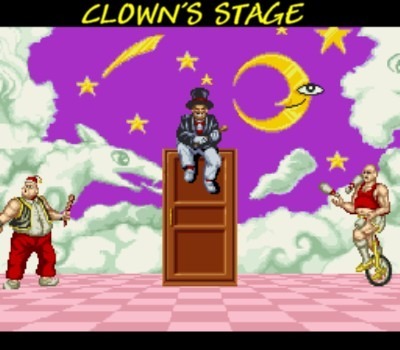 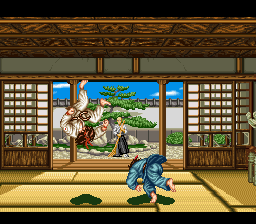 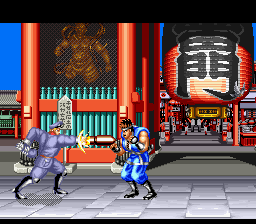 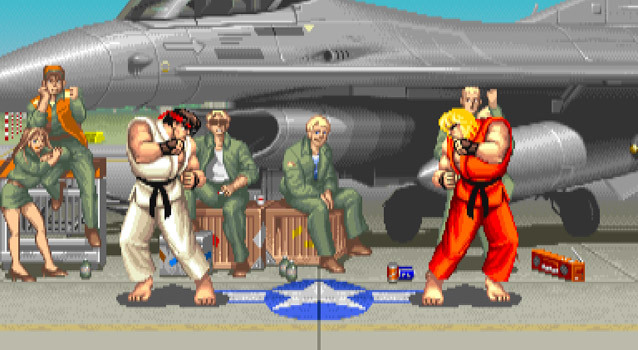 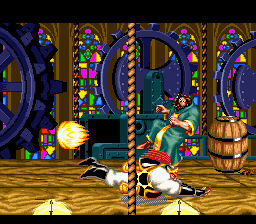 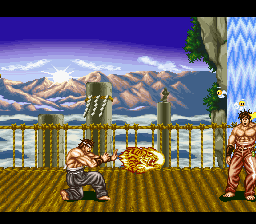 Ken and Ryu are virtually identical in Street Fighter II, except Ken’s kick throw sees him tumbling his victim through the air like a circus act. 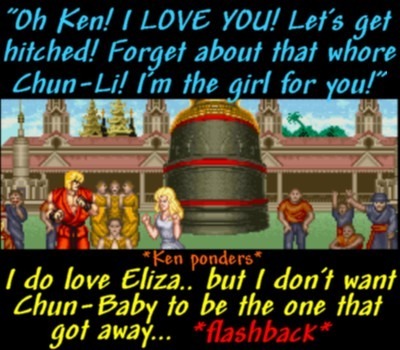 Yup, Ken was always the showoff. 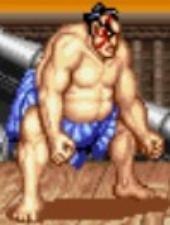 Edmond Honda entered the World Warrior tournament to prove the legitimacy of sumo wrestling to an unbelieving world. 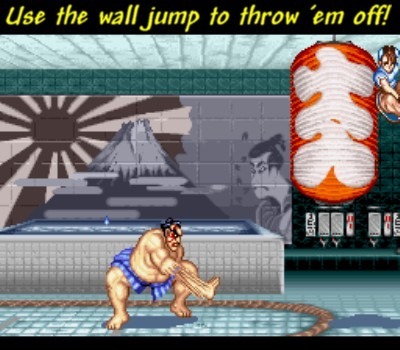 A winner of the “Yokozuna” title, E. Honda also holds claim to having the fastest hands known to mankind. 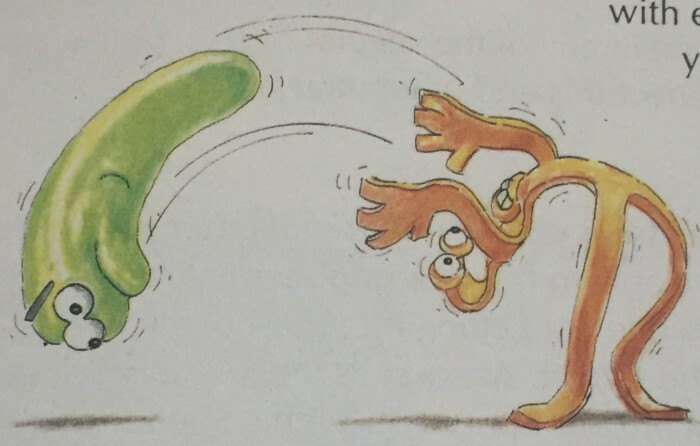 He’s more agile than he looks, reminding one to never judge a book by its cover. 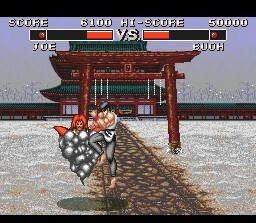 A well-polished ring is kept ready for combat whether sumo or street fighting. 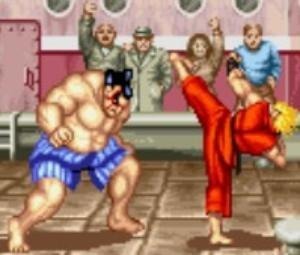 He forbids spectators as Honda isn’t about spectacle but rather the pure uninterrupted spirit of true competition. 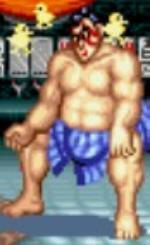 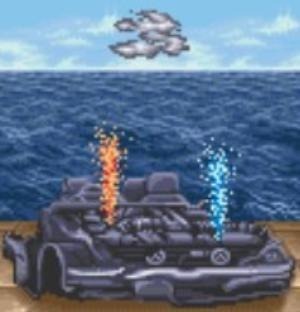 Honda likes cooling off in his hot tub between battles. 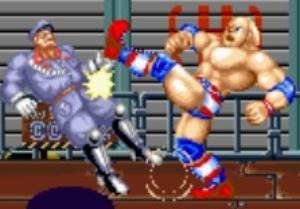 His double knee inflicts a good amount of damage. 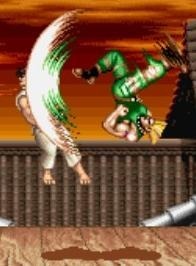 It’s like being whacked by a tree limb! 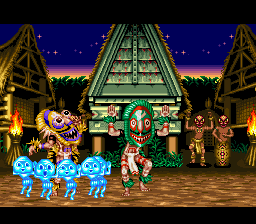 For years natives have reported seeing something strange roaming deep within the rain forest. 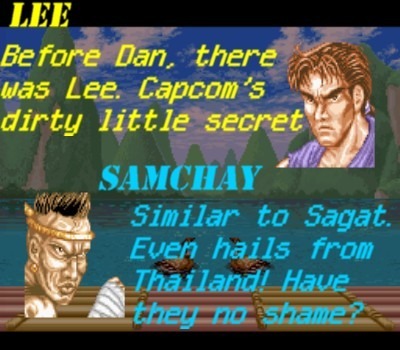 Although the stories vary, a few things remain consistent. 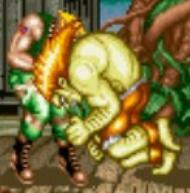 This half man, half beast is incredibly fast, savage and as green as the rain forest itself. 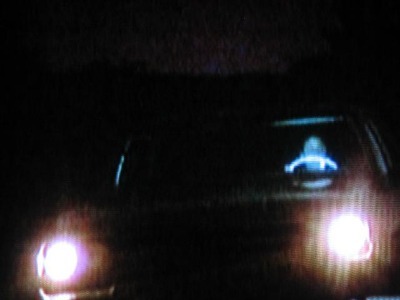 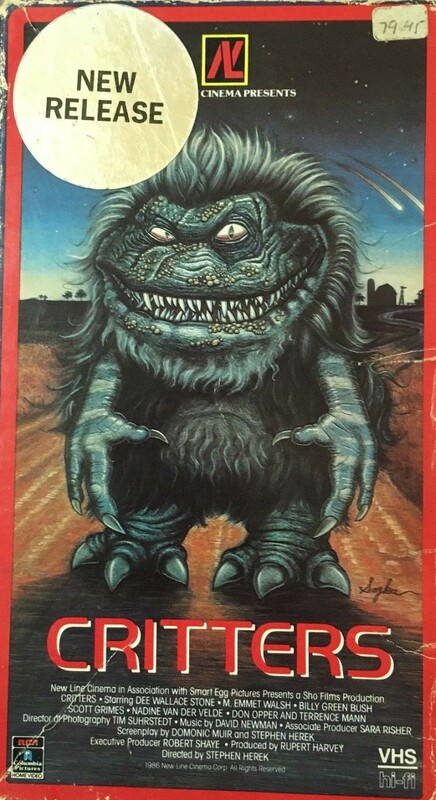 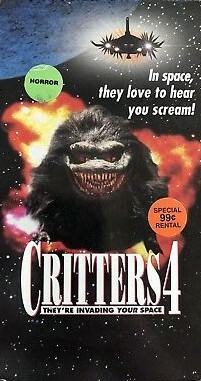 The creature became something of a “Brazilian Boogeyman.” The local government refused to acknowledge it and even ordered a media black out.  That didn’t stop certain vigilantes however from setting up camp and trying to snap a shot of the wild beast. 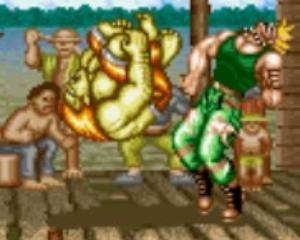 After years of murmurs and rumors, the creature known as Blanka emerged out of the shadows to win the great Street Fighter II tournament. 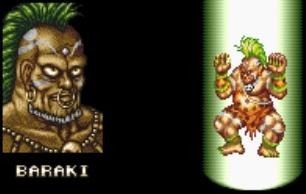 After hiding in seclusion for years in the Brazilian rain forest, Blanka is now ready to take on the world. 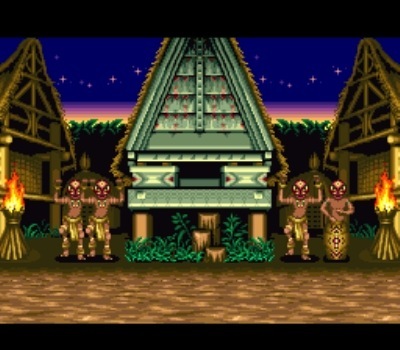 The natives are shocked to see the beast in the light of day and snap photos to prove that their eyes aren’t deceiving them. 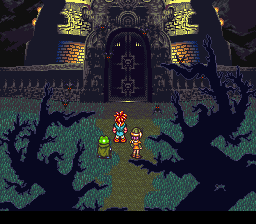 Imagine if this game were made in 2010. 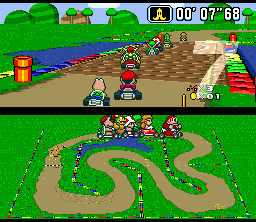 Those old cameras would be replaced with iPhones recording the action! 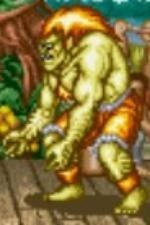 We get a hint of blood with Blanka’s face bite. 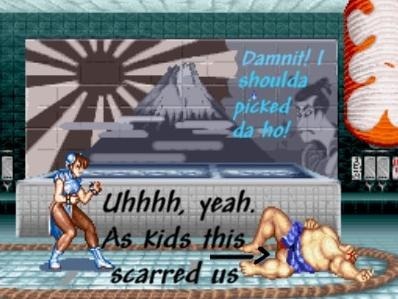 Nintendo of America was very sensitive with blood back in those early days, so mad respect to Capcom for being able to sneak in as much as they did. 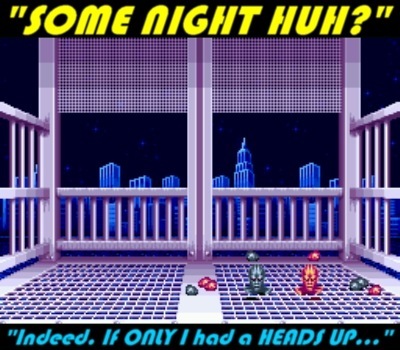 Momma always said use your noggin. 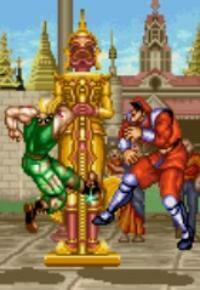 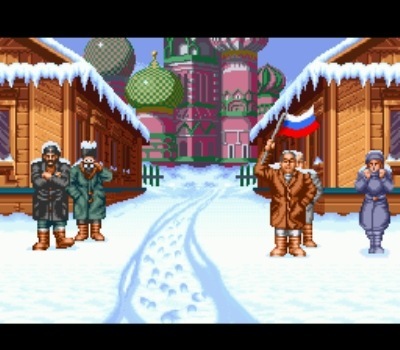 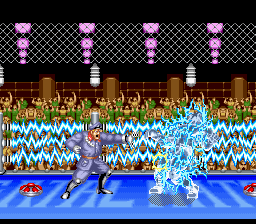 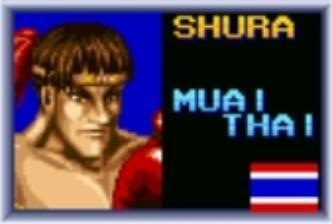 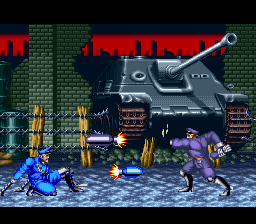 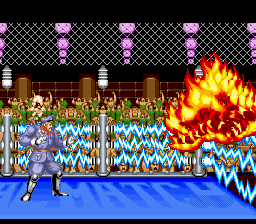 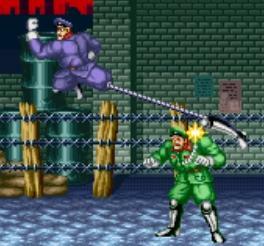 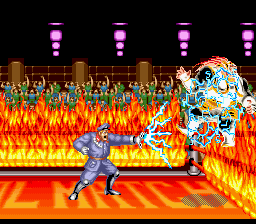 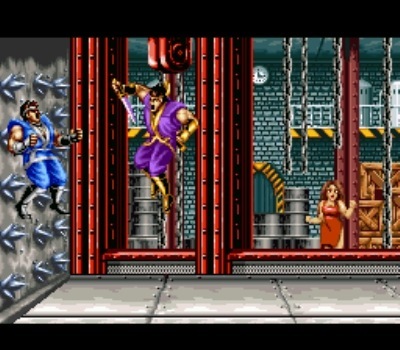 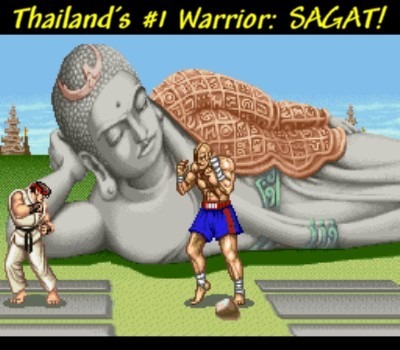 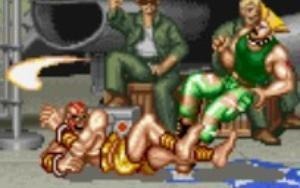 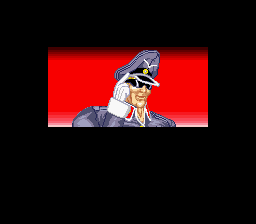 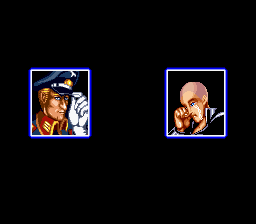 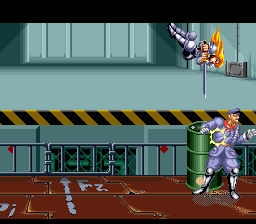 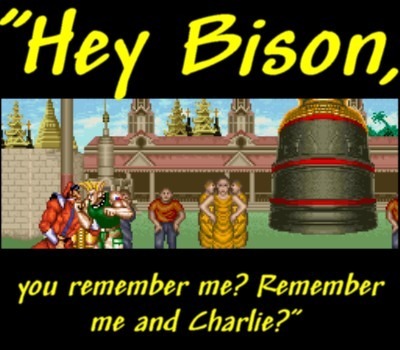 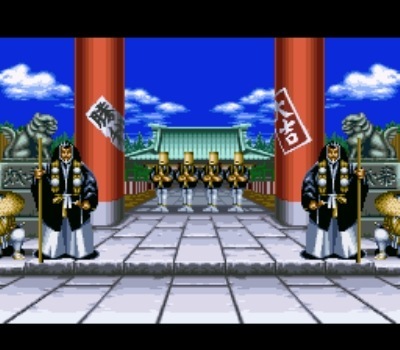 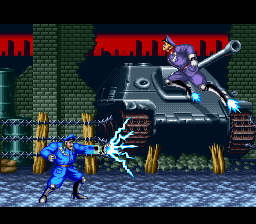 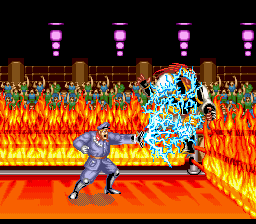 During a special mission in Thailand, Guile and his best pal Charlie were captured by a tyrant named M. Bison. 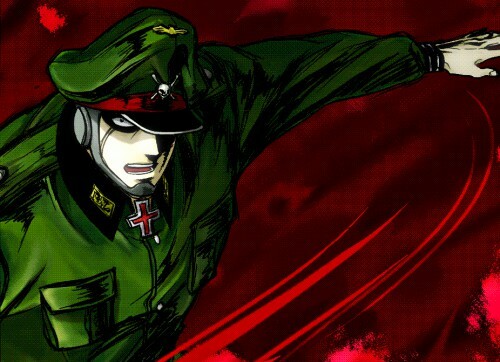 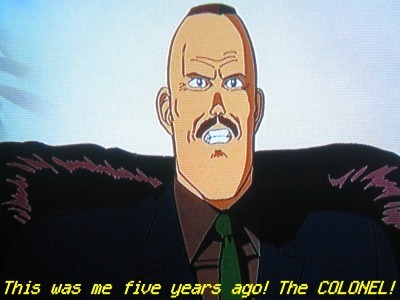 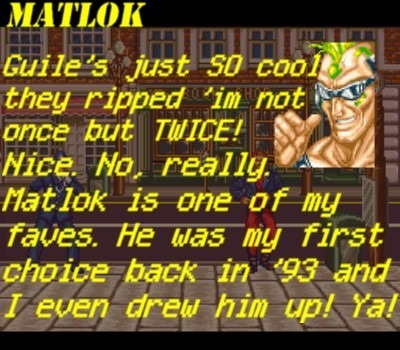 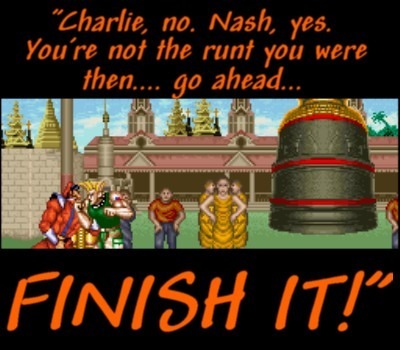 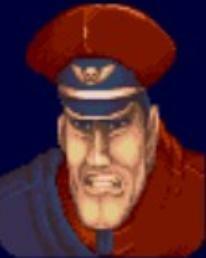 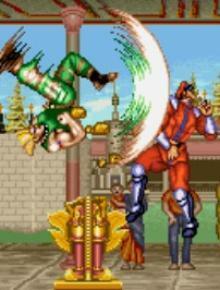 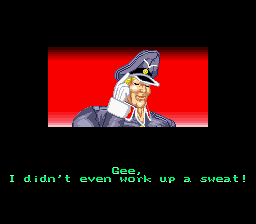 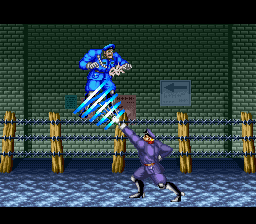 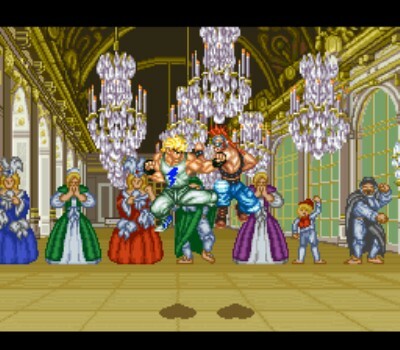 Charlie was murdered at the hands of M. Bison, and ever since then Guile has been out for blood. 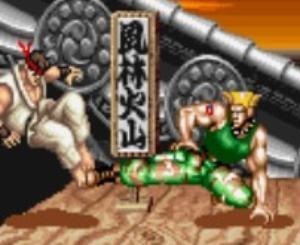 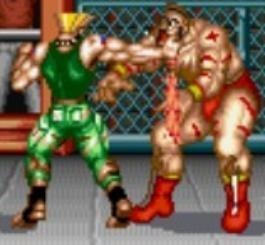 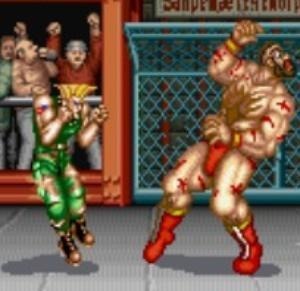 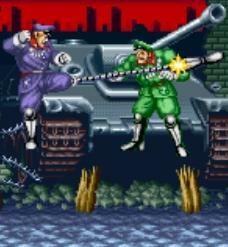 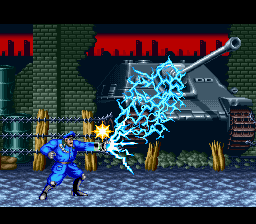 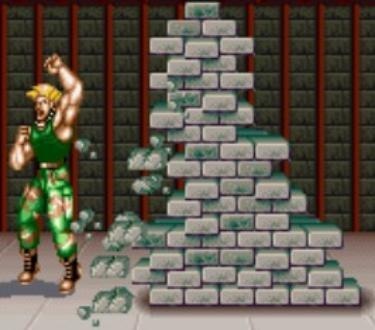 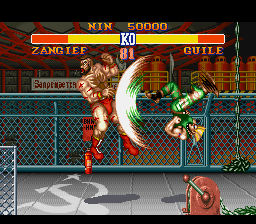 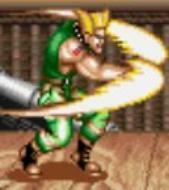 Using a unique blend of Special Forces training and street fighting skills, Guile is one of the most beloved characters of all time. 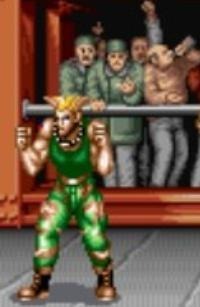 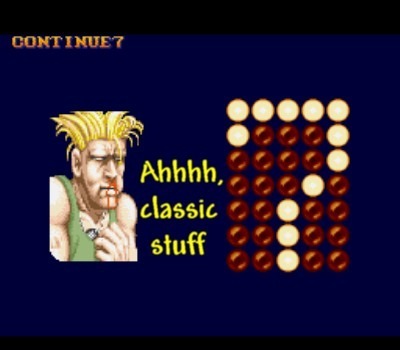 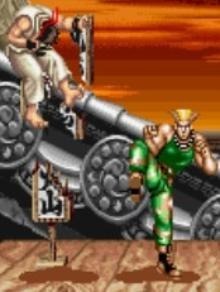 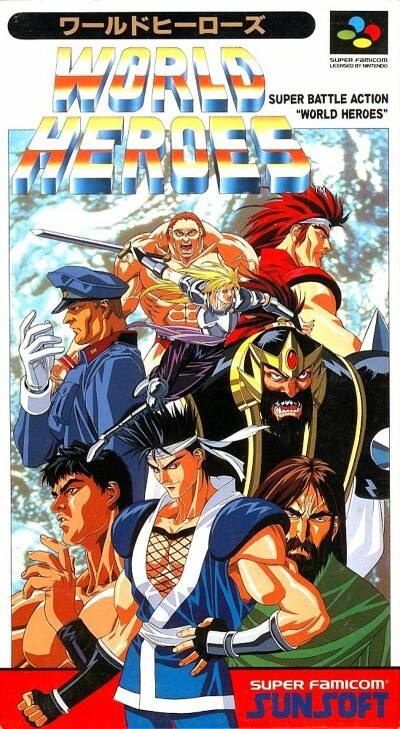 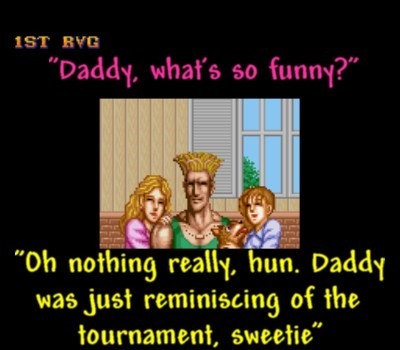 Although Ryu and Ken were the faces of the game, Guile was always that cool alternative protagonist. 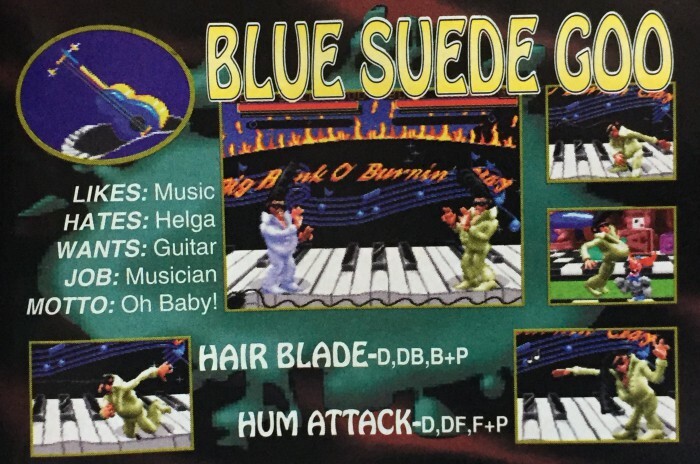 He had the looks, the moves and who could ever forget his epic stage music? 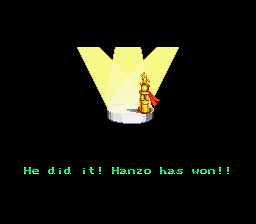 His comrades cheer him on to victory. 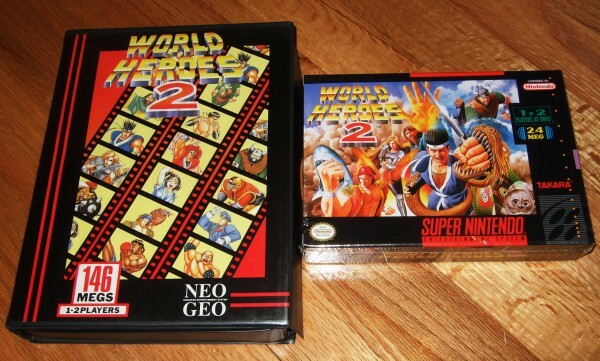 Wooden boxes shatter like a Spanish announcer table at a WWE event. 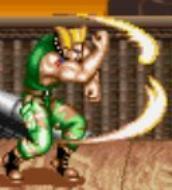 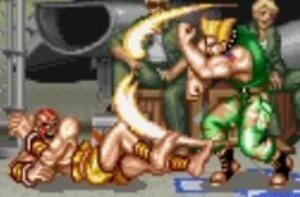 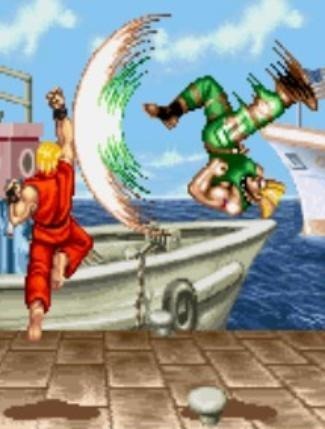 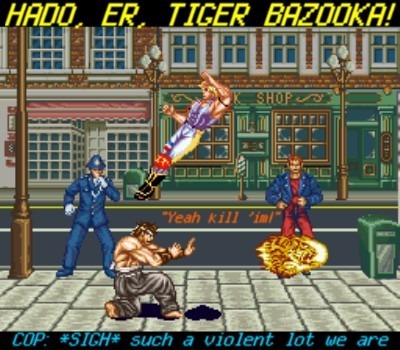 Guile’s Sonic Boom is nearly just as iconic as the Hadoken itself. 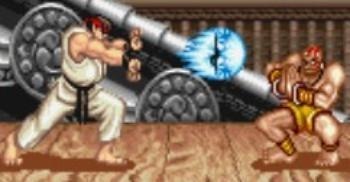 In some ways, I even prefer it to the Hadoken. 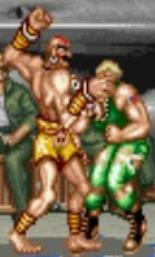 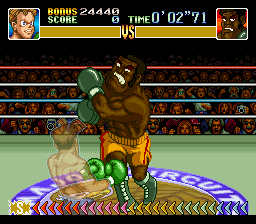 Remember the jab version being so slow that in some cases you could follow it up with a well timed backfist? 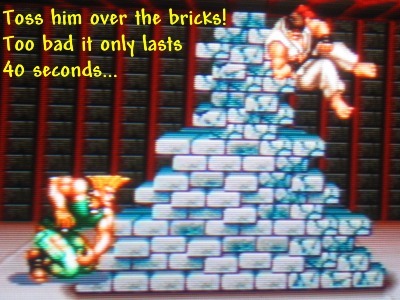 Super satisfying. 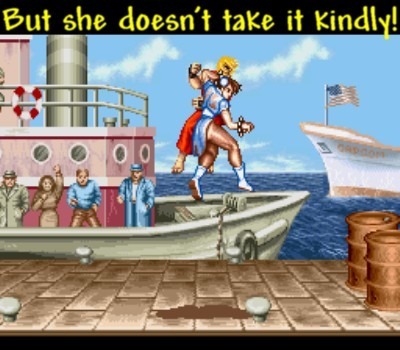 5’8″ Never ask a lady her weight! 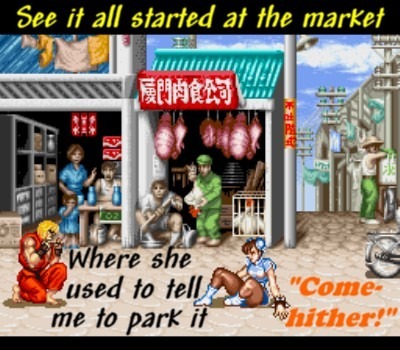 In a quaint Chinese village there lies a small but bustling marketplace. 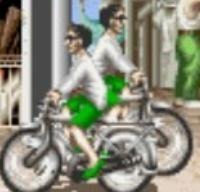 As a customary form of travel, many folks leisurely pass by on bicycles. 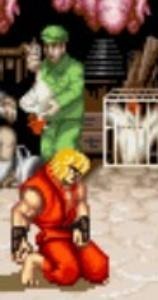 Meanwhile, a man in the background is busy preparing a chicken to be sold to customers. 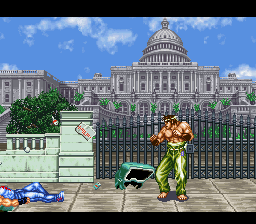 It’s just another hard day’s work to make ends meet. 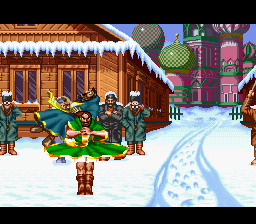 The strongest man in the tournament, this Russian wrestler fights bears for fun. 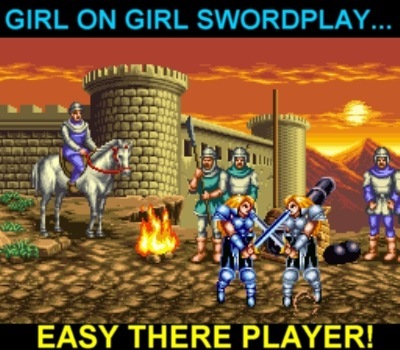 And that’s really all you need to know. 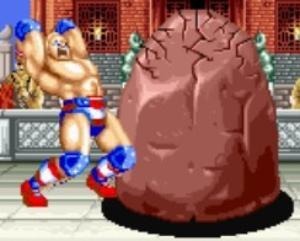 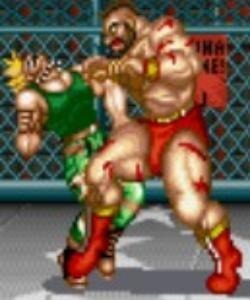 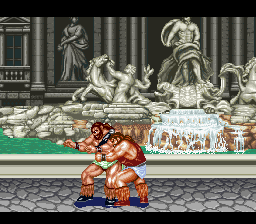 Zangief is not very user friendly — only the most advanced Street Fighter II players will be able to use him effectively. 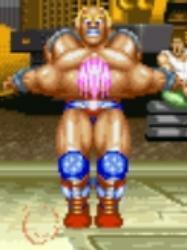 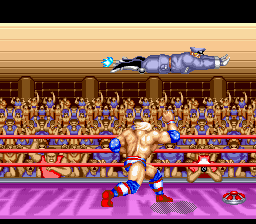 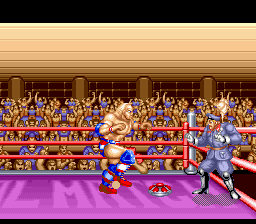 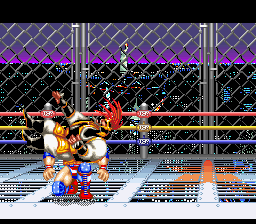 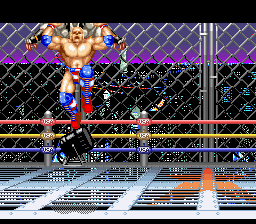 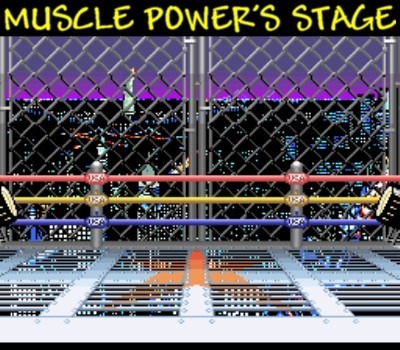 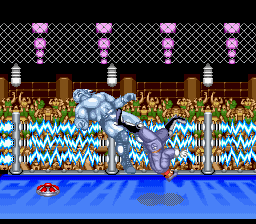 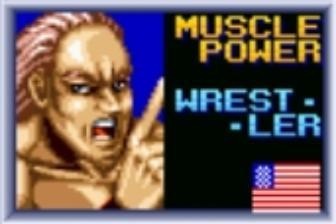 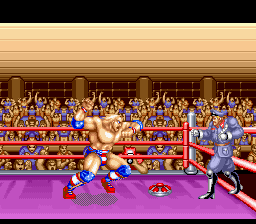 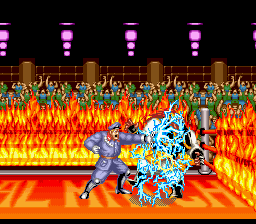 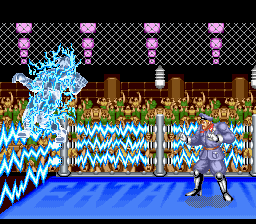 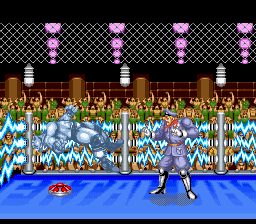 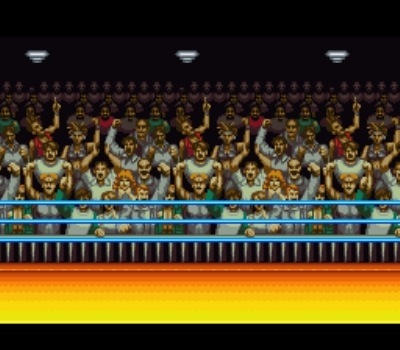 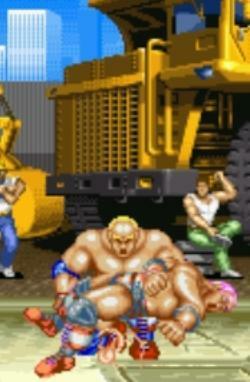 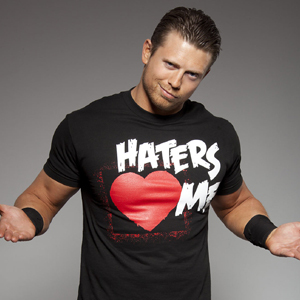 Man of a thousand holds, he owns the most devastating move in the game: the Spinning Piledriver! 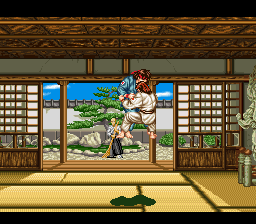 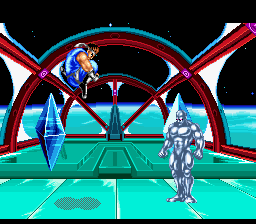 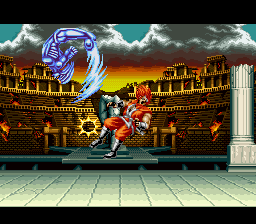 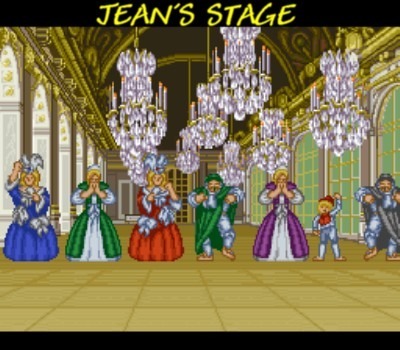 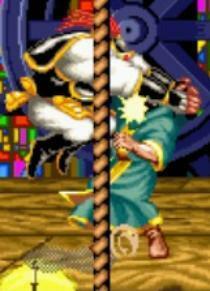 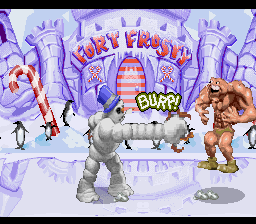 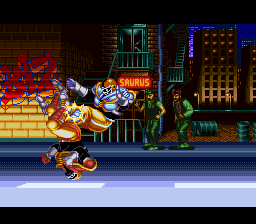 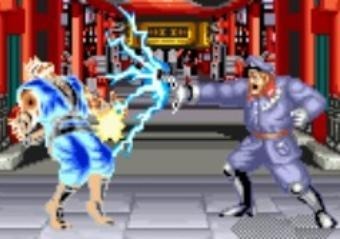 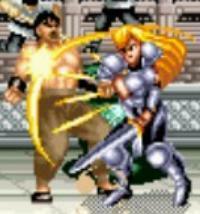 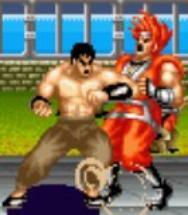 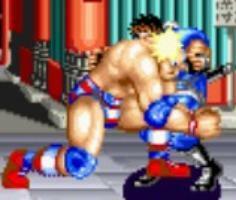 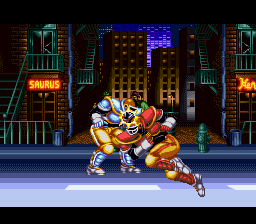 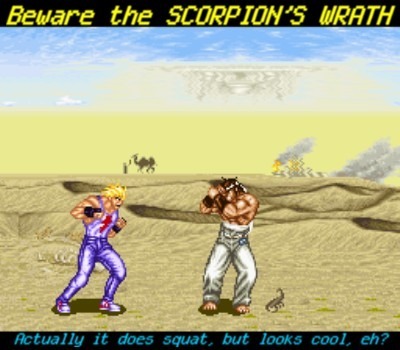 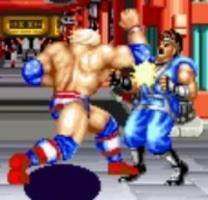 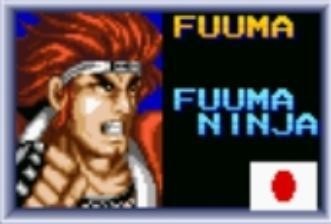 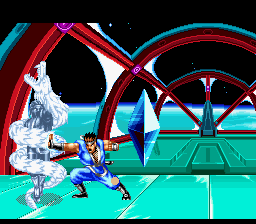 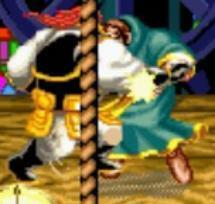 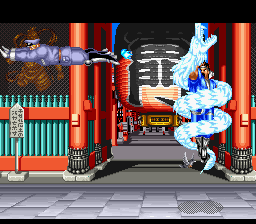 Pretty much every fighting game that came after this had a strong man with a similar big move. 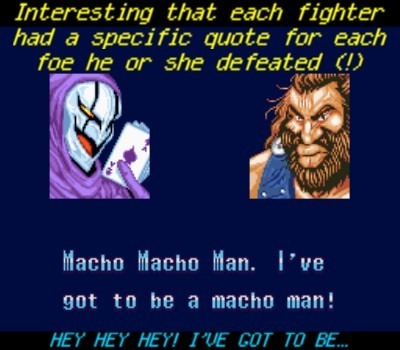 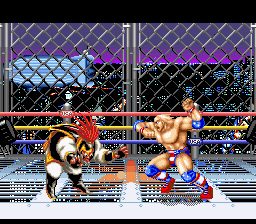 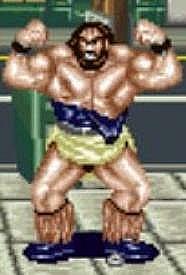 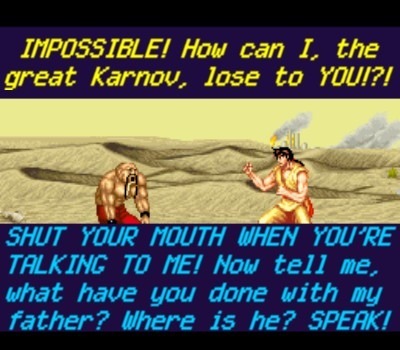 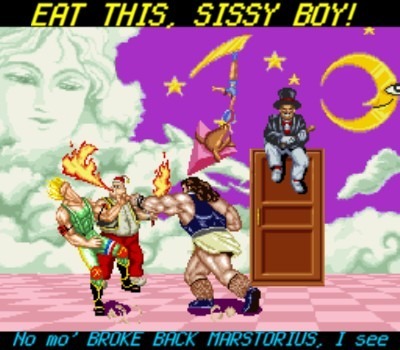 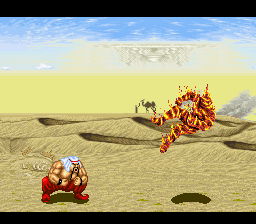 In that regard, like him or not, Zangief was something of a trailblazer. 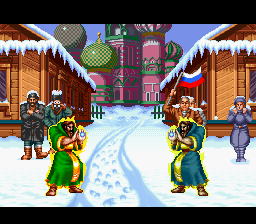 Zangief works long hours six days a week at this industrial factory in Mother Russia. 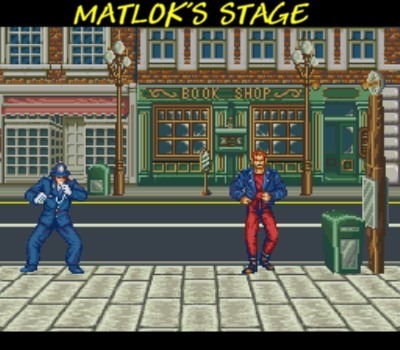 During his break, as a way to entertain himself, he takes on all comers. 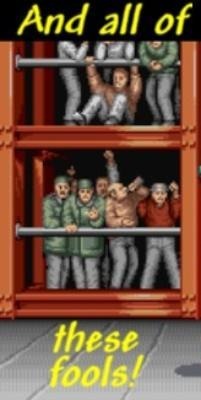 His comrades cheer on from the sidelines. 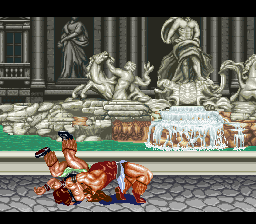 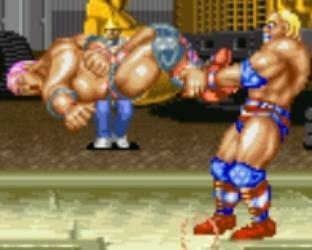 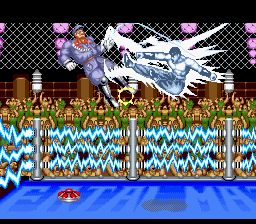 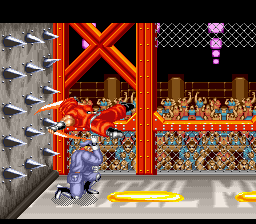 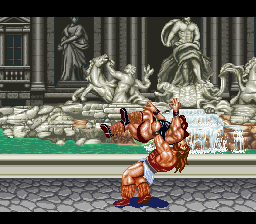 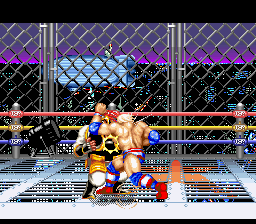 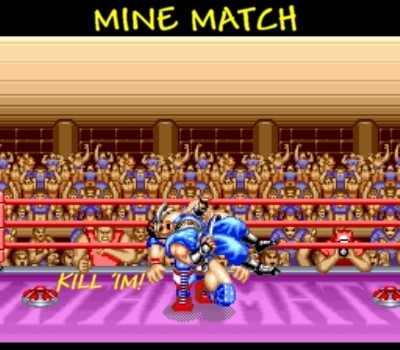 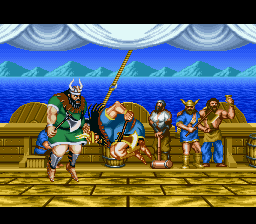 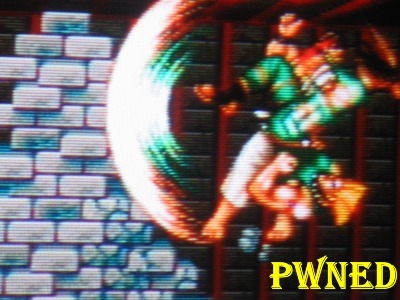 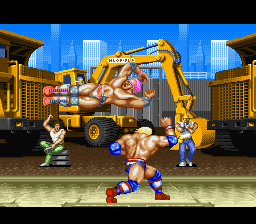 The Spinning Piledriver is the hardest move to execute, but it also dishes out the most damage. 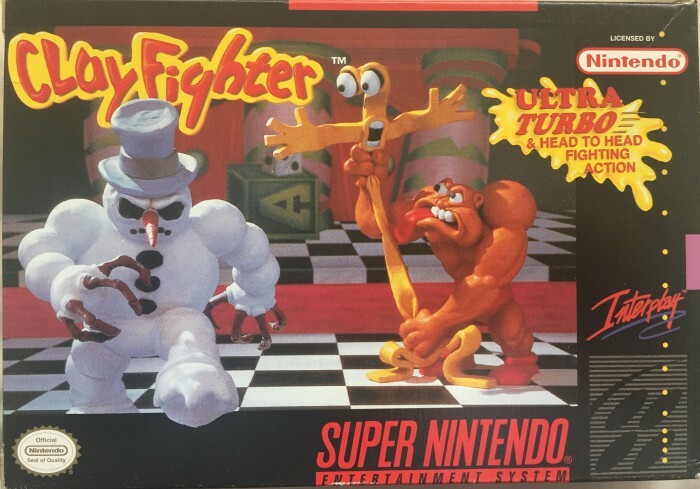 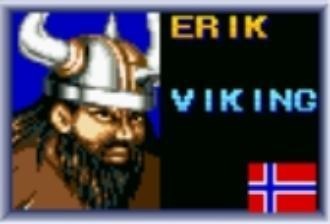 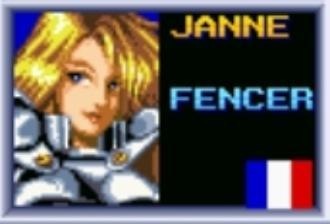 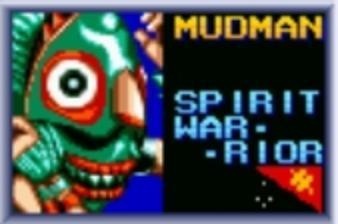 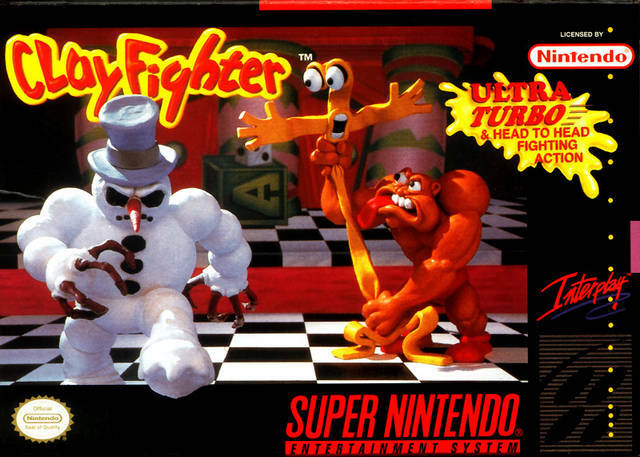 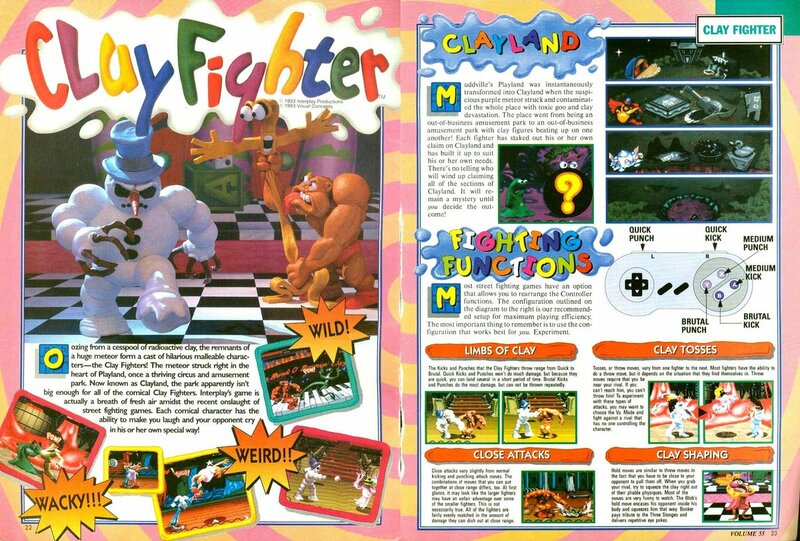 Ahhh, the first fighter I ever picked. 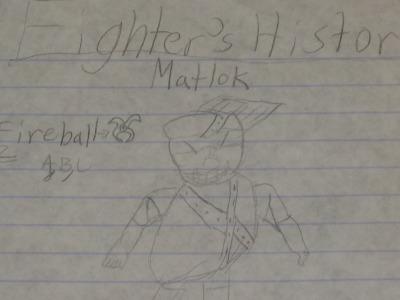 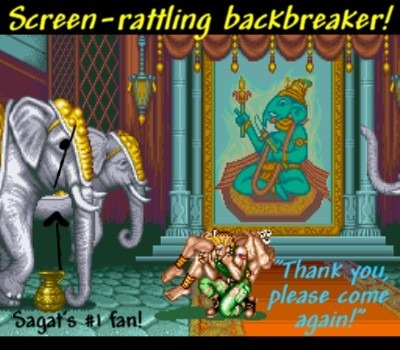 Dhalsim and I bonded from day one. 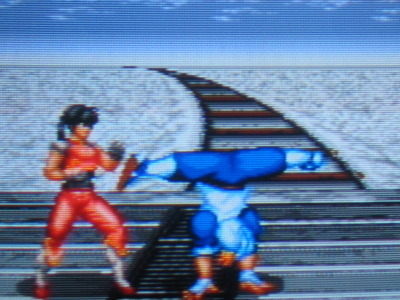 He’s incredibly flexible and has the ability to stretch his limbs to attack opponents from a distance. 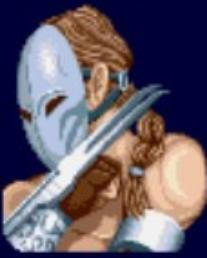 This makes him a formidable foe not to be taken lightly, despite his lack of speed. 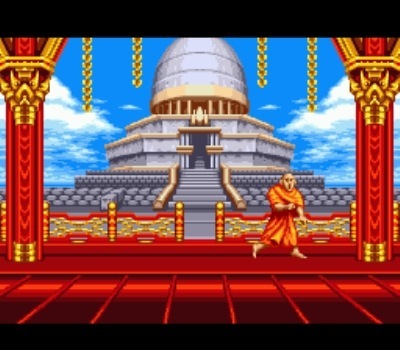 Over the course of his long life Dhalsim has sought to unify his mind, body and soul through the discipline of Yoga. 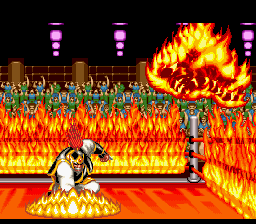 Through his meditation he’s able to spew fire from deep within. 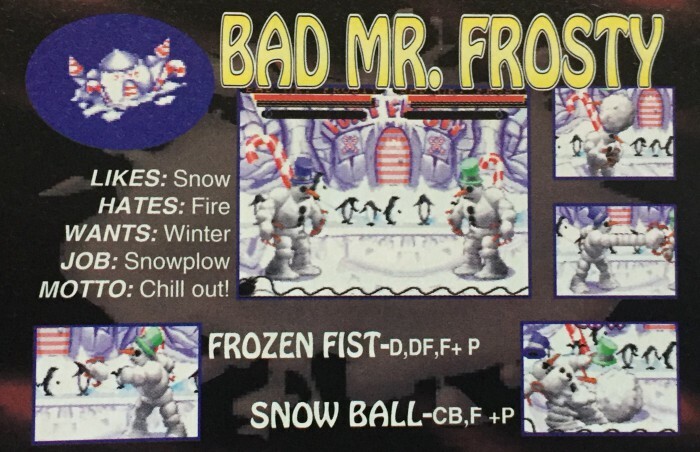 He makes for quite the hit at summer BBQs! 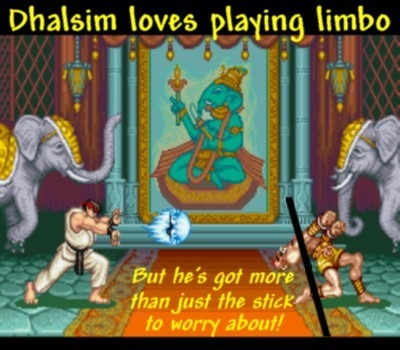 Dhalsim loves to meditate inside this indoor temple and stretch [Really? 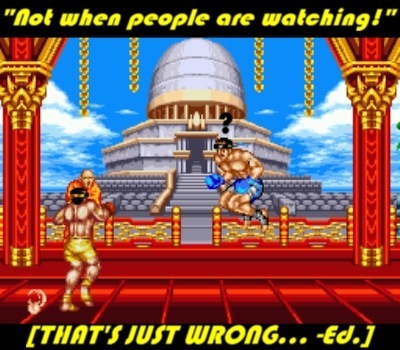 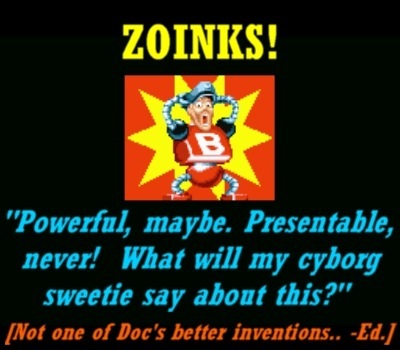 -Ed.] 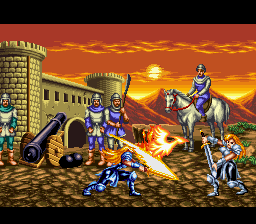 to gear up for battle. 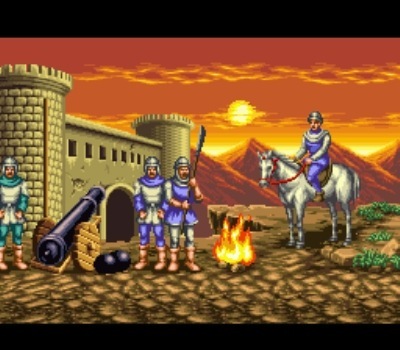 He’s proud of the rich wall tapestry and finely crafted architecture that represents his heritage. 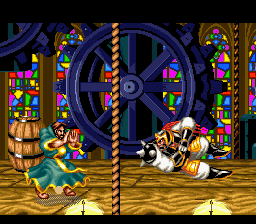 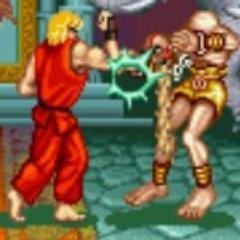 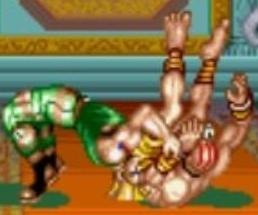 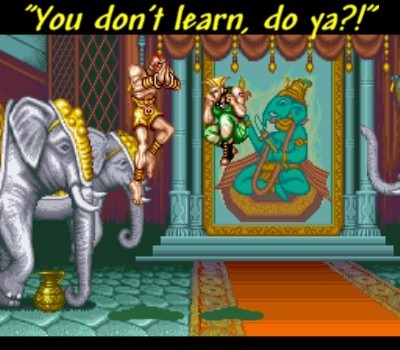 The Yoga Noogie is an alternative option to Dhalsim’s regular throw. 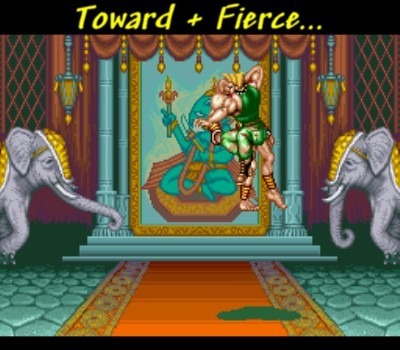 Instead of forward + fierce you press toward + medium. 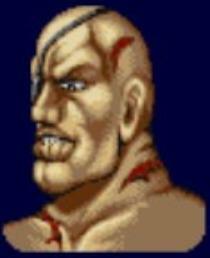 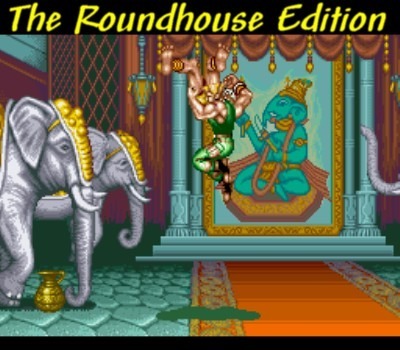 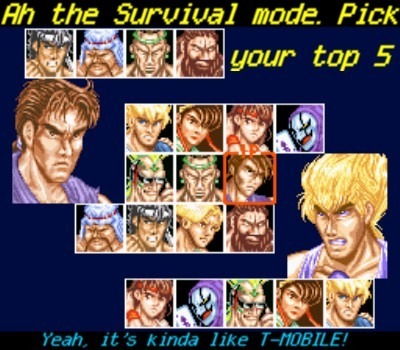 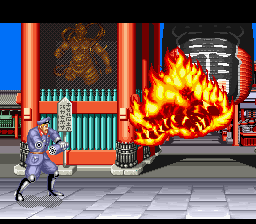 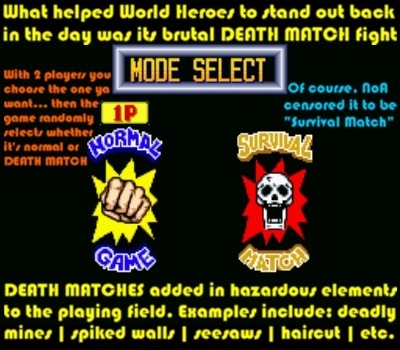 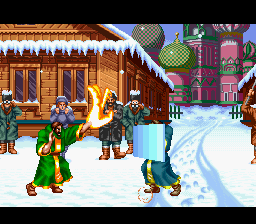 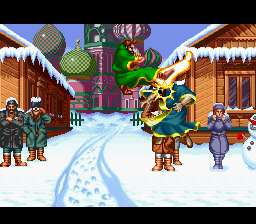 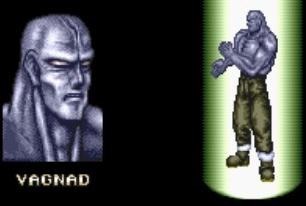 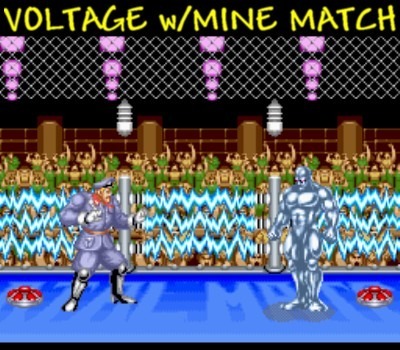 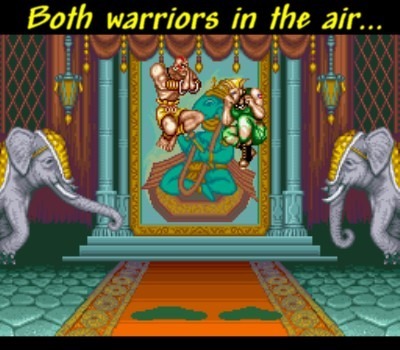 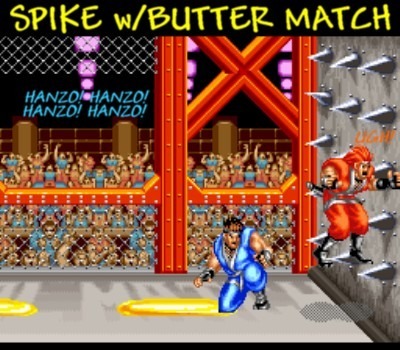 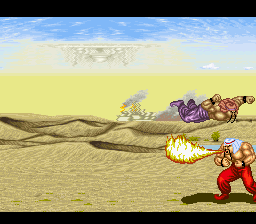 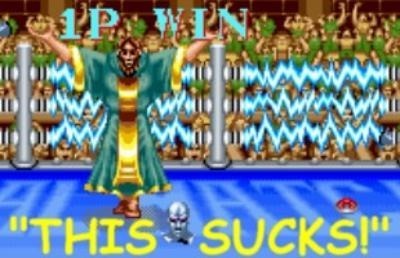 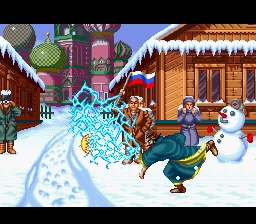 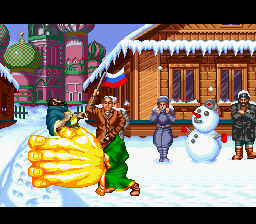 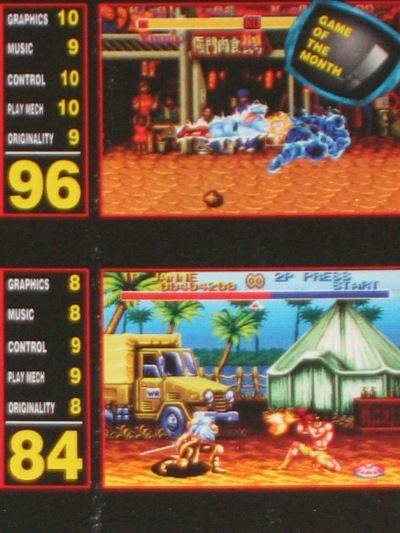 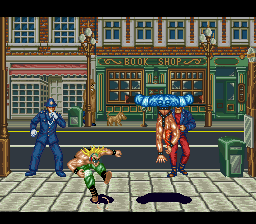 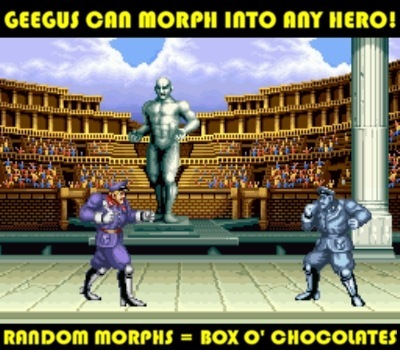 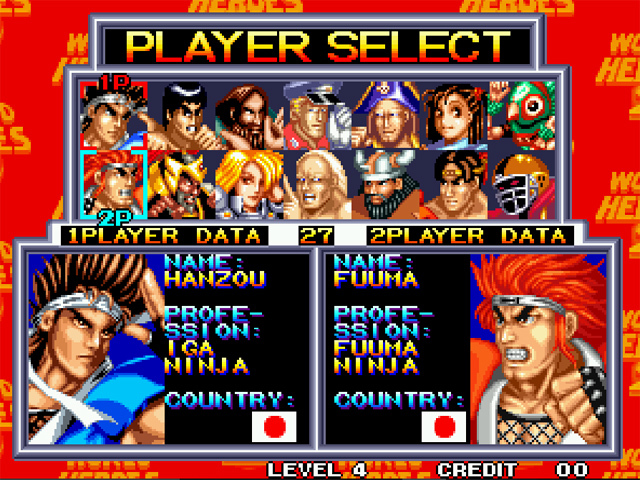 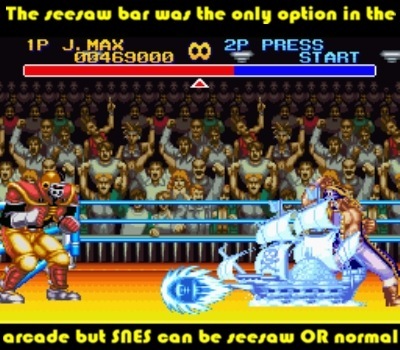 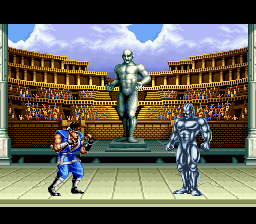 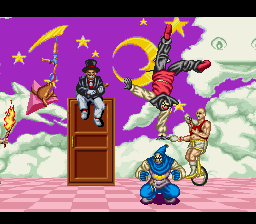 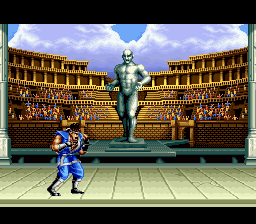 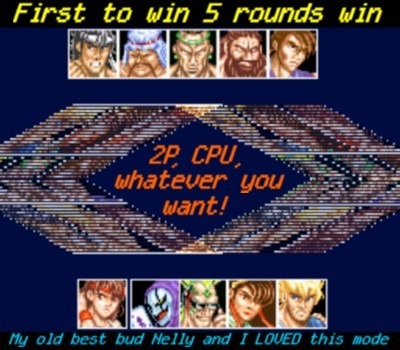 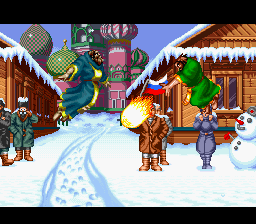 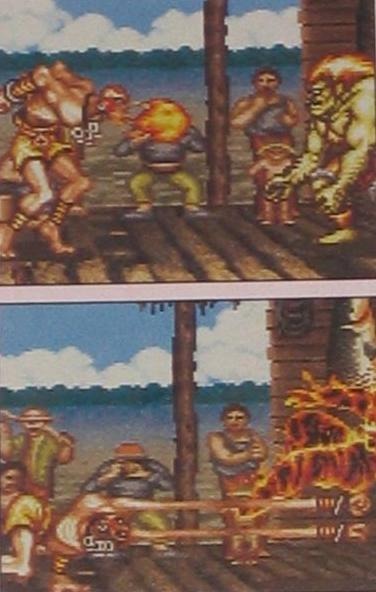 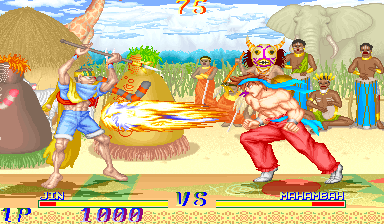 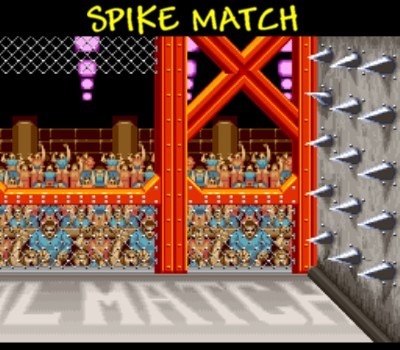 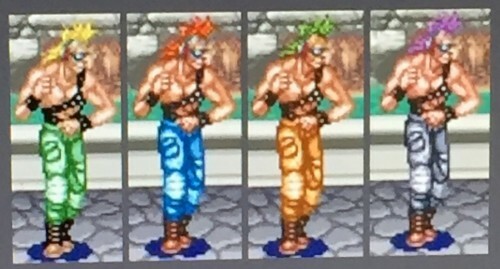 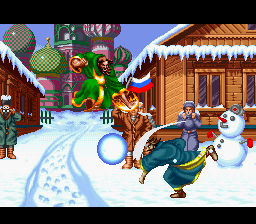 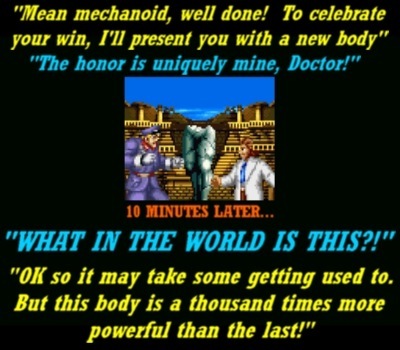 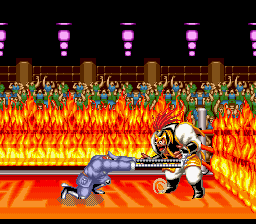 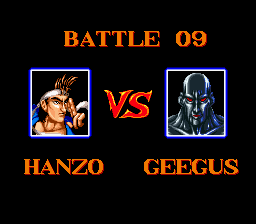 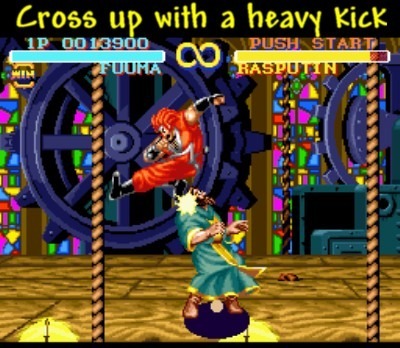 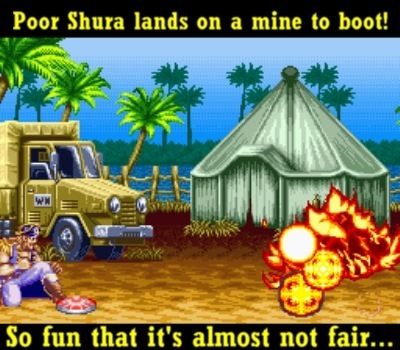 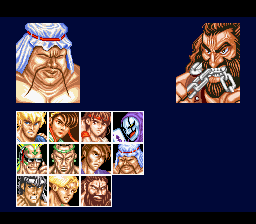 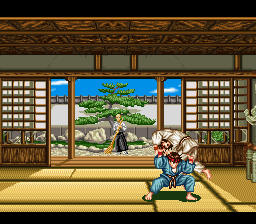 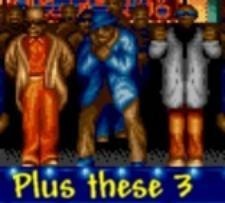 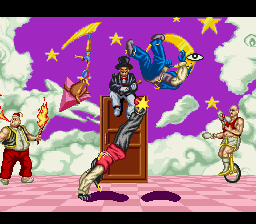 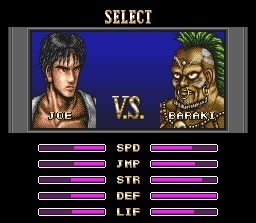 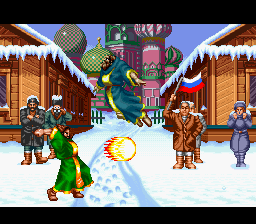 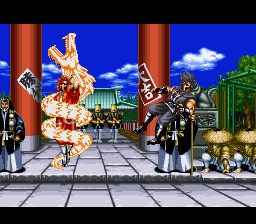 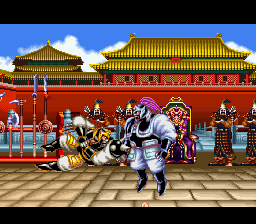 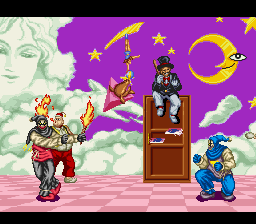 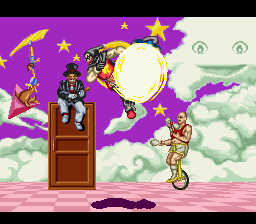 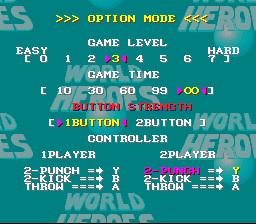 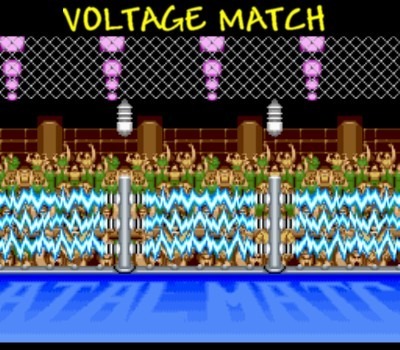 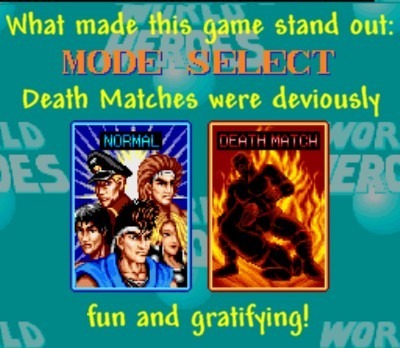 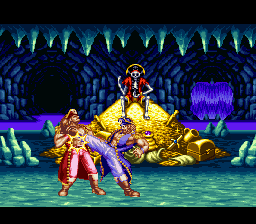 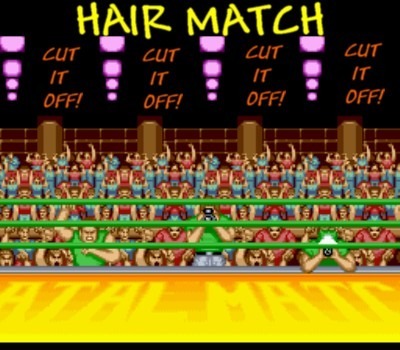 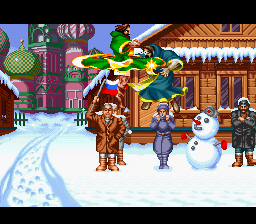 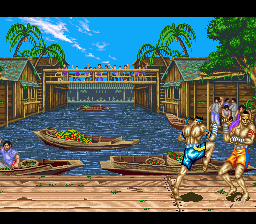 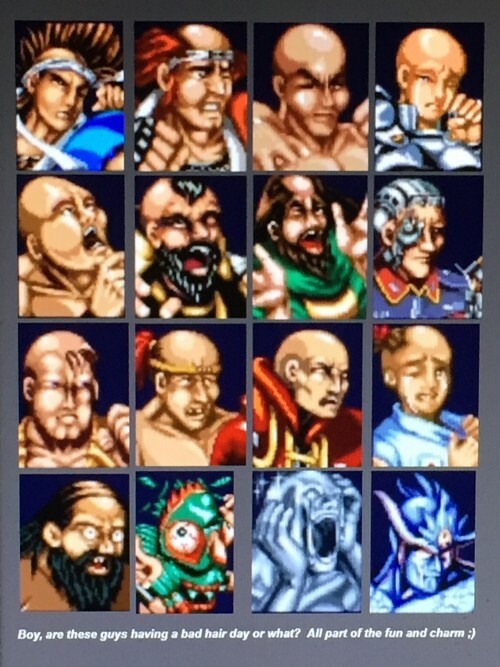 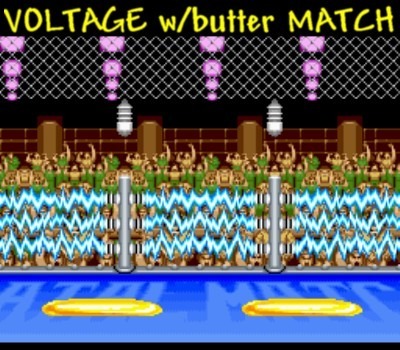 I liked how the game gave you two options for Dhalsim (and a few others, such as Honda and Guile). 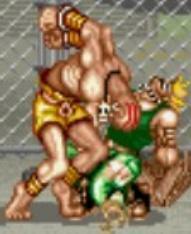 Besides, what’s better than pounding on someone’s skull so hard that they’re forced to do squats? 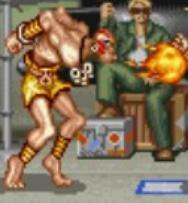 Up close Dhalsim is not the best striker, but this double headbutt is a notable hit. 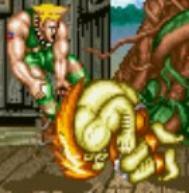 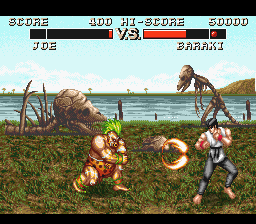 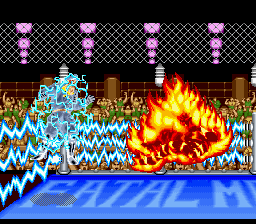 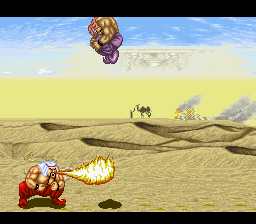 It’s similar to Blanka’s double headbutt, but it’s much stronger and I love the sound effect it makes. 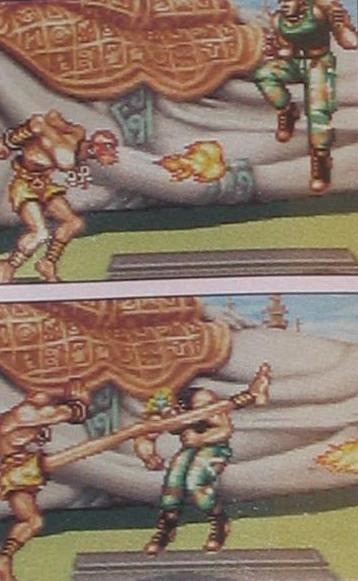 You can really feel the power of Dhalsim’s cranium. 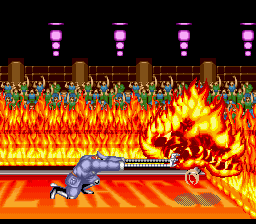 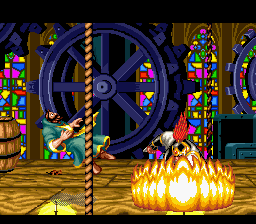 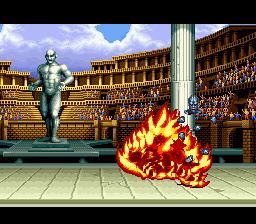 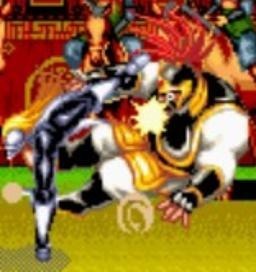 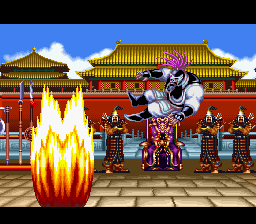 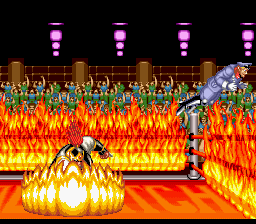 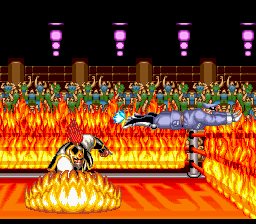 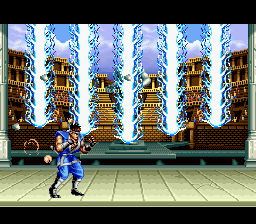 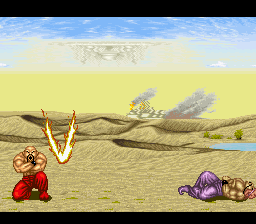 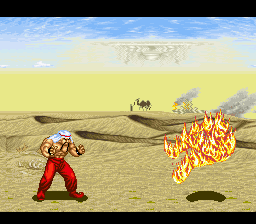 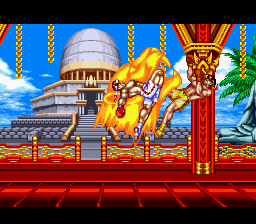 The Yoga Fire was always one of my favorite fireballs in all of fighting games. 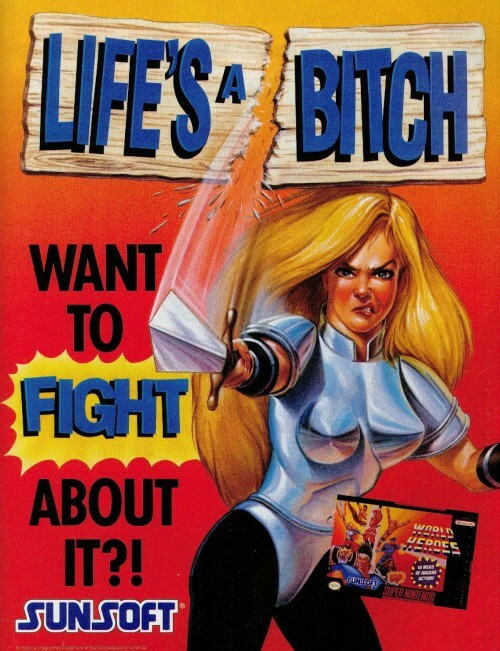 Because it’s literally just that. 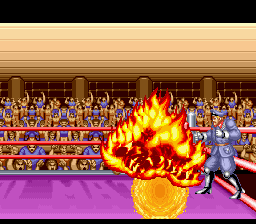 A fireball! 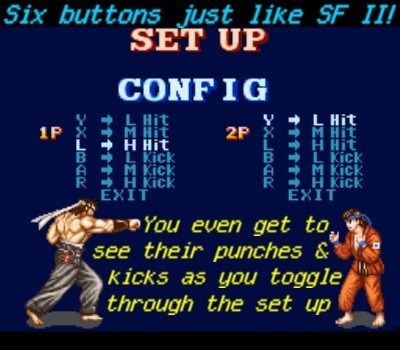 Plus it looks so simple and it actually sets your opponent on fire if they fail to block it. 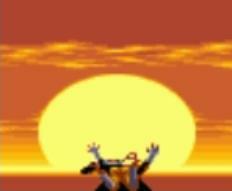 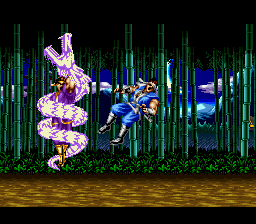 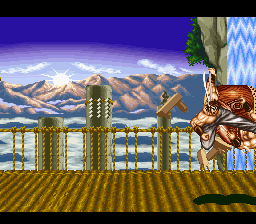 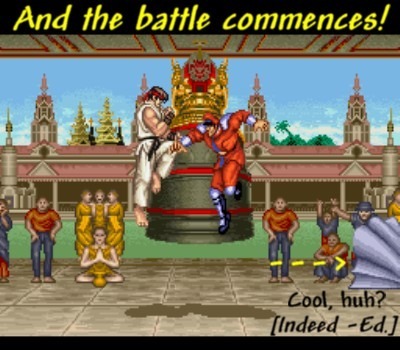 It made Dhalsim extra cool in my book that he was the only fighter who could produce this animation. 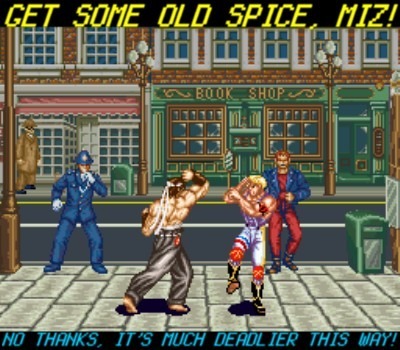 Available for summer BBQ bookings! 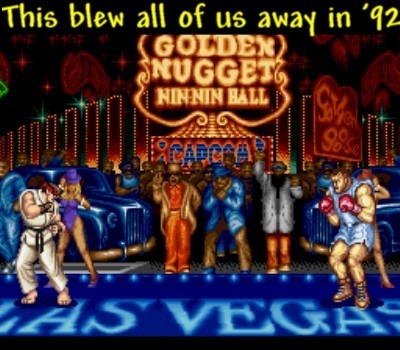 Battle Balrog under the Las Vegas lights! 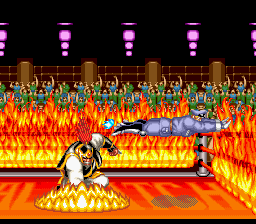 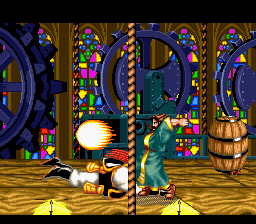 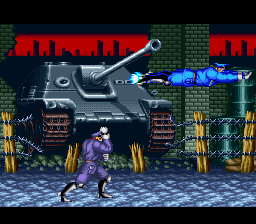 Bison tossing off his cape right before the battle begins was so badass. 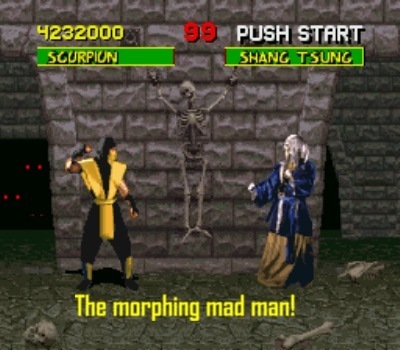 Can you withstand his twisted Psycho powers? 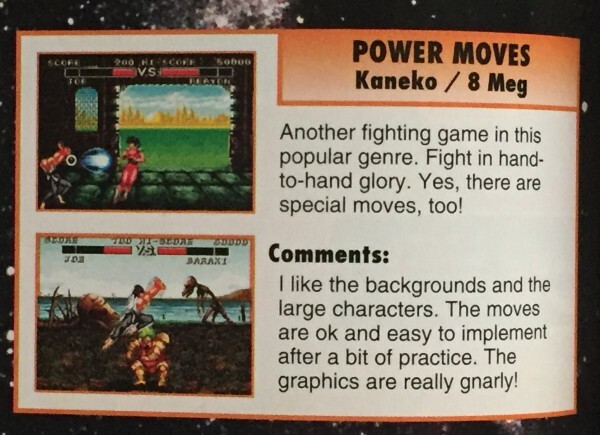 While strikes and special moves are nice, they don’t mean nearly as much as when they’re linked together. 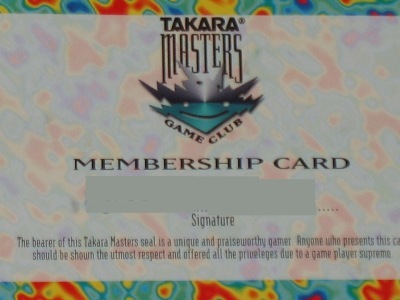 Two-in-ones and combos are the heartbeat of true master champions. 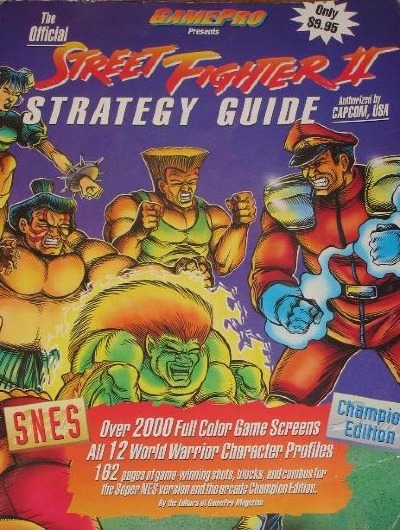 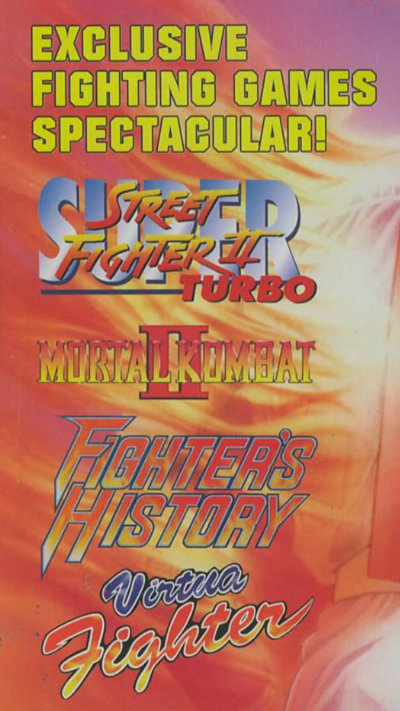 My brother and I even bought the GamePro Street Fighter II Strategy Guide back in 1992. 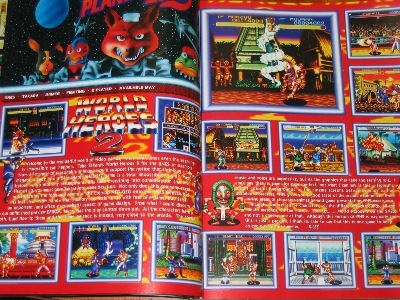 It was the first guide we ever bought, and to this day it remains my favorite guide of all time. 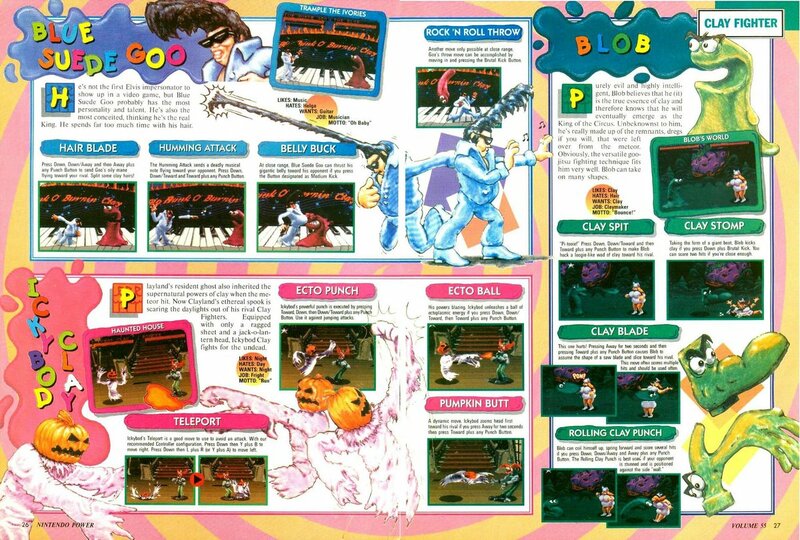 I wasn’t a huge fan of GamePro Magazine, but this guide was awesome. 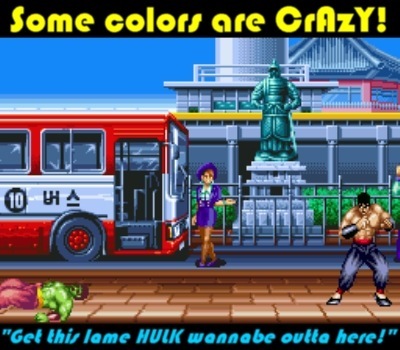 Over 2,000 full color screenshots and combos galore. 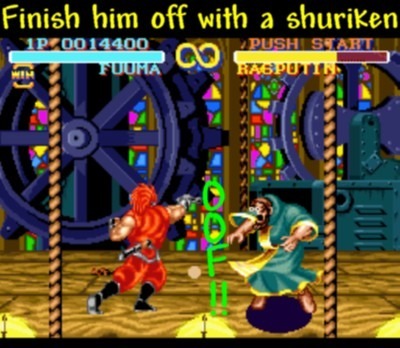 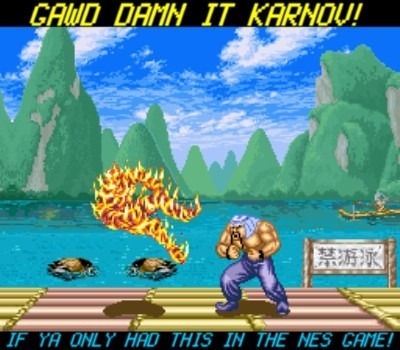 … that he can even fit under a Hadoken! 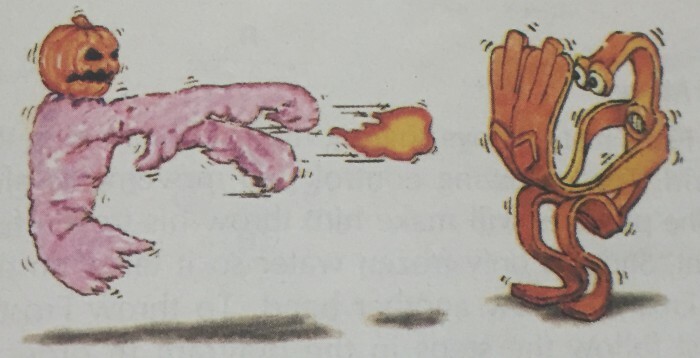 Throw a fireball of any speed. 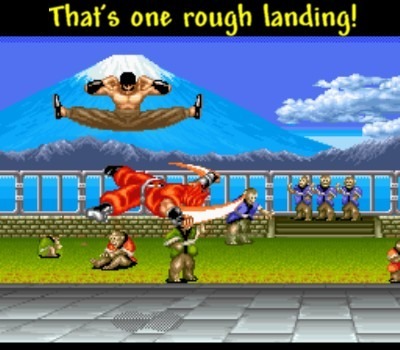 When they jump, knock them out of the sky with a roundhouse kick! 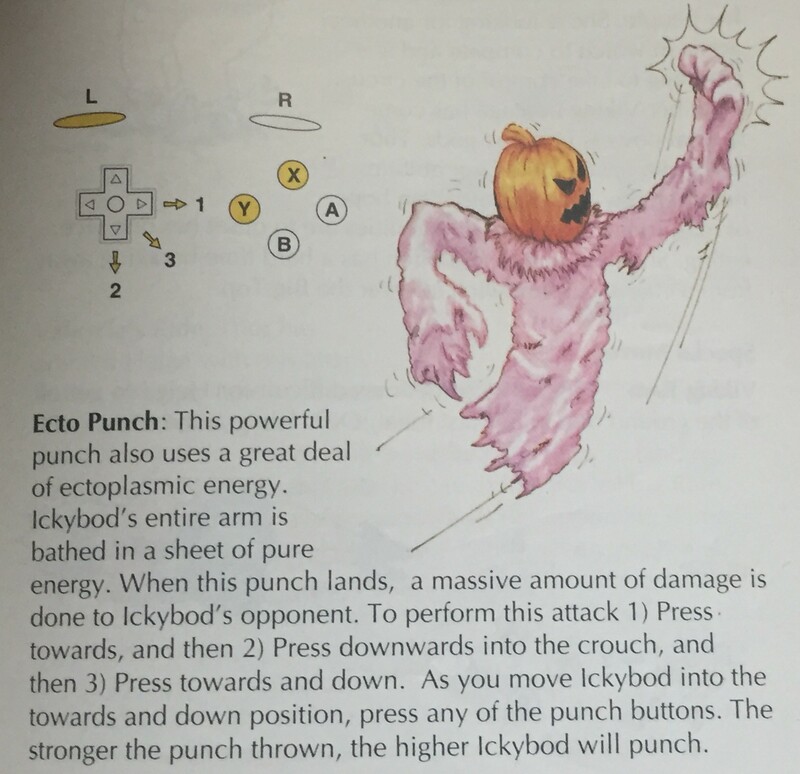 You can harass opponents by throwing a jab fireball and then quickly executing a ducking fierce for an easy, almost unavoidable hit! 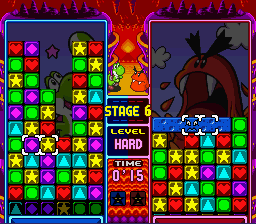 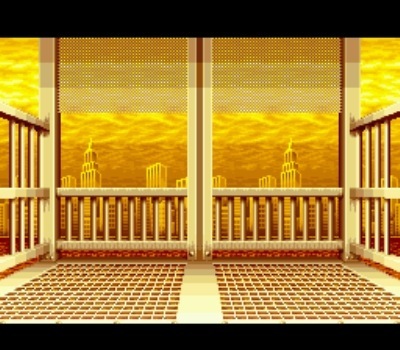 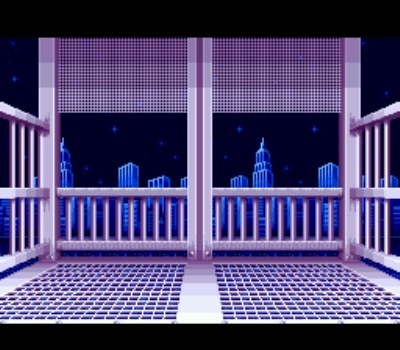 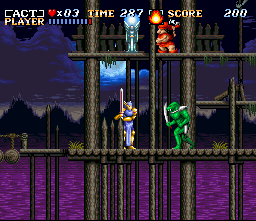 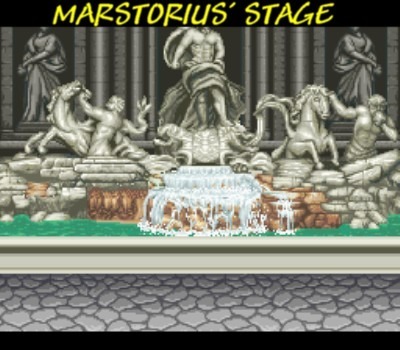 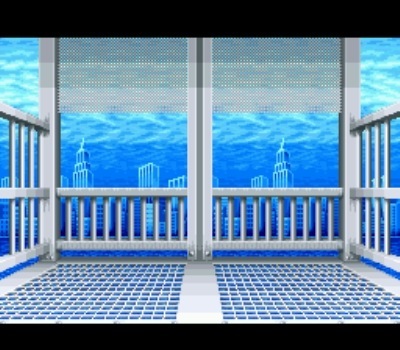 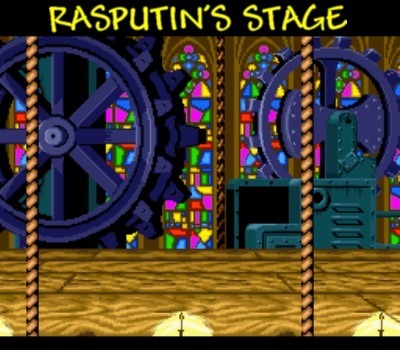 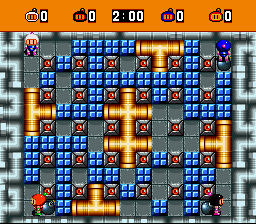 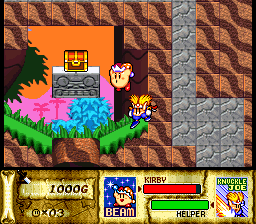 Finish the game on levels 0-2 and you’ll be asked to challenge a harder level. 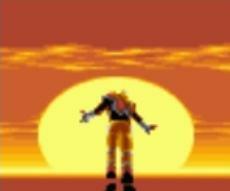 Levels 3-5 earns you your character’s ending. 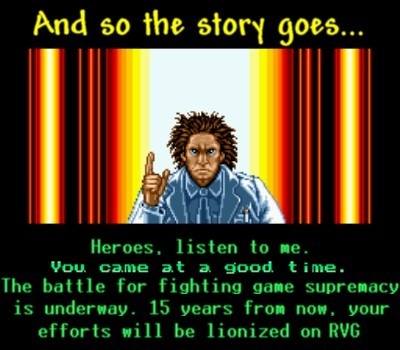 Level 6 or 7 will display the credits. 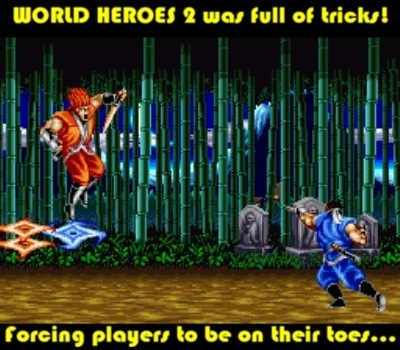 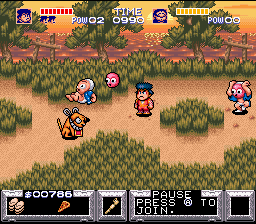 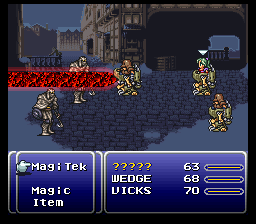 You also get to watch your favorite world warriors mix it up in a demo mode. 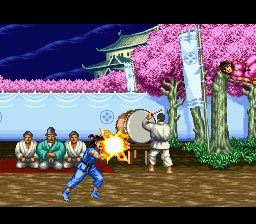 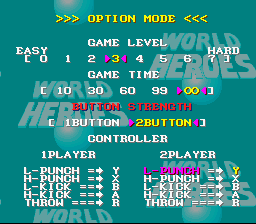 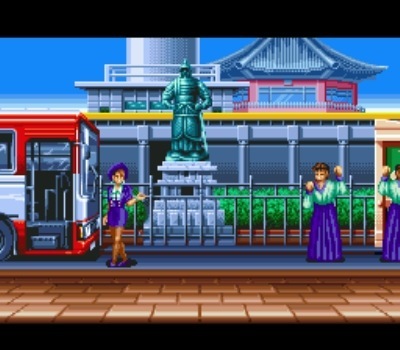 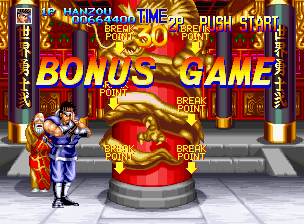 And should you not lose one round on level 7, then you can press start to make Chun Li say “Yatta!” (Japanese for I did it). Let’s take a look at some of the endings. 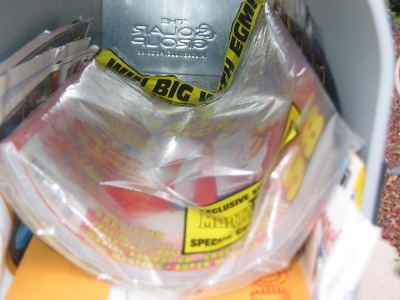 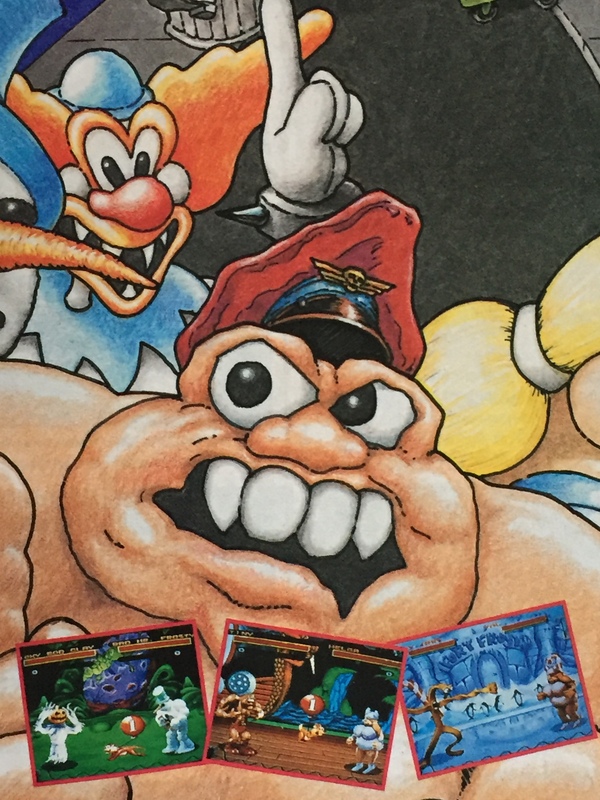 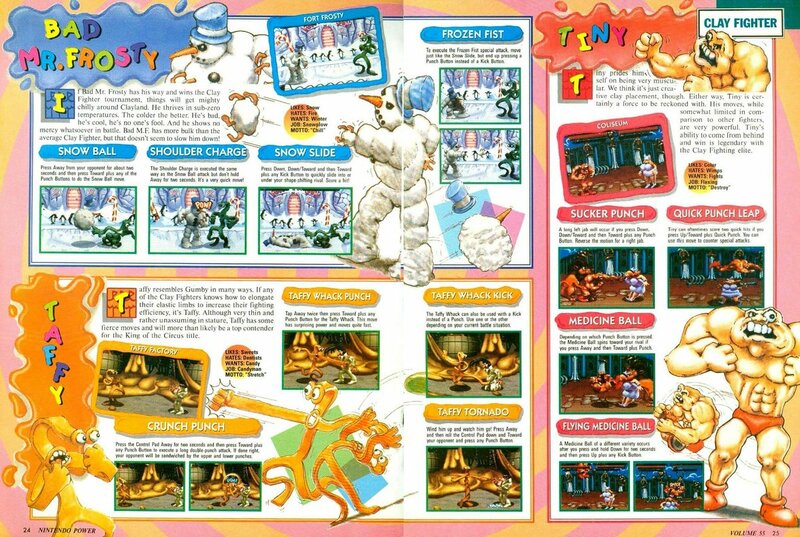 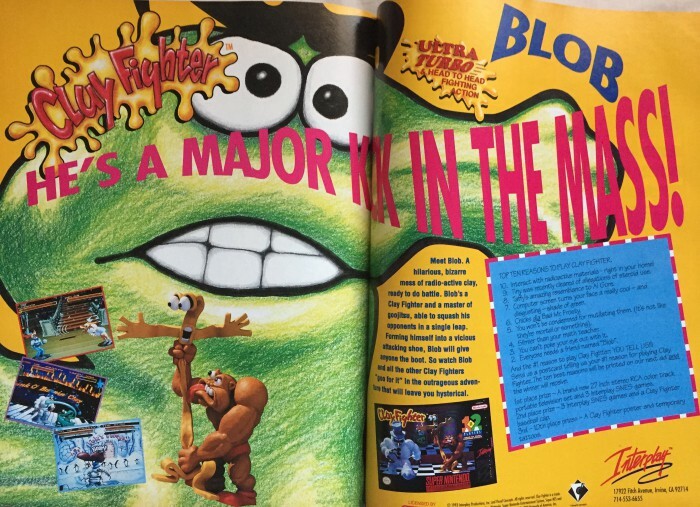 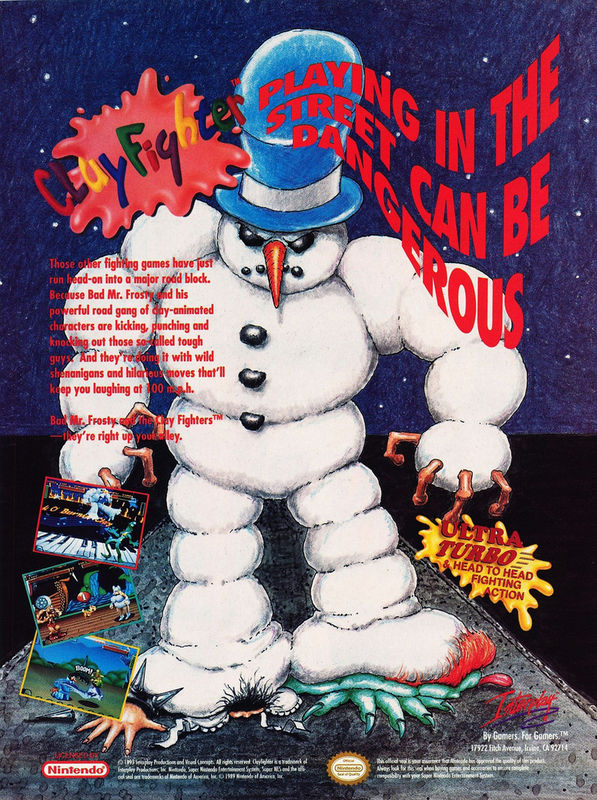 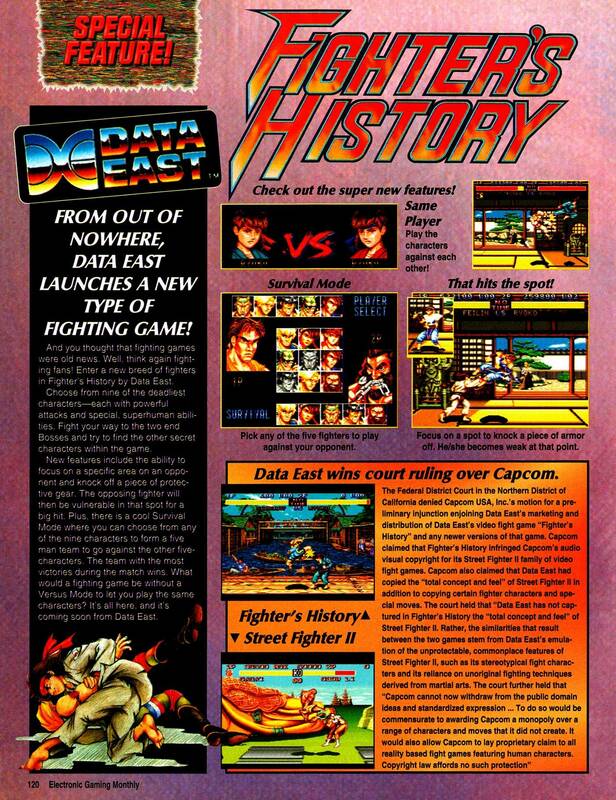 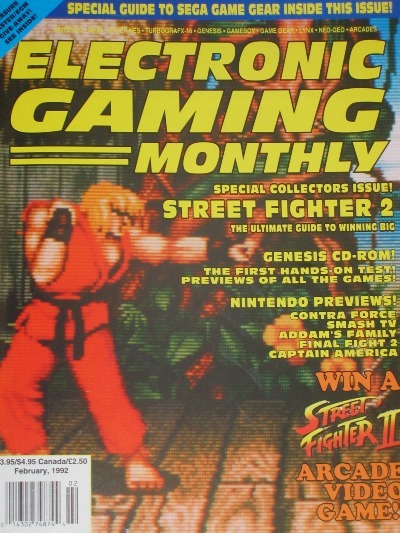 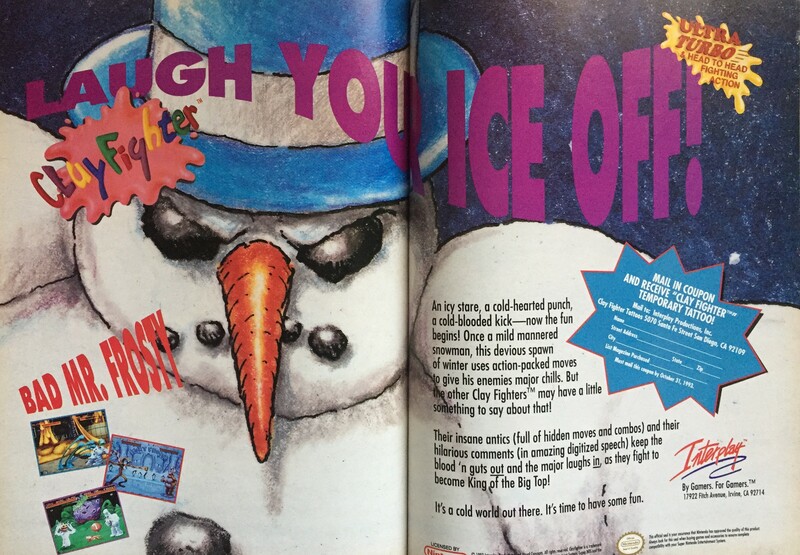 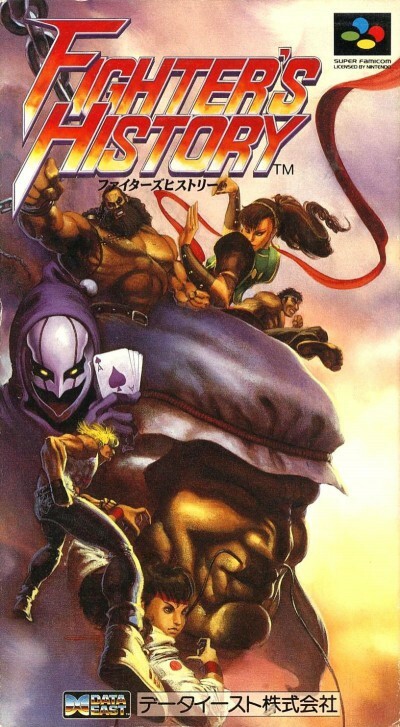 The pages (and covers) of EGM were dominated by Capcom’s 2D juggernaut. 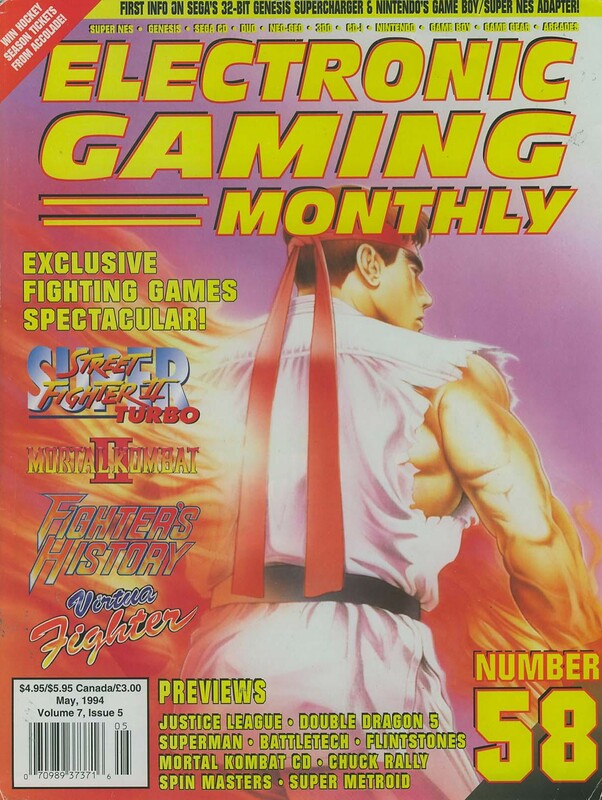 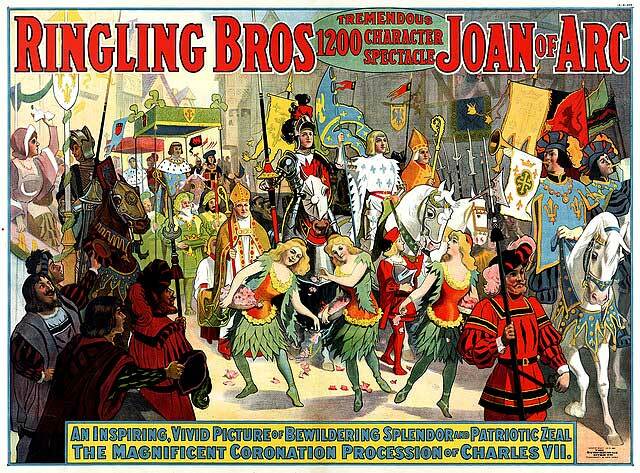 Every month there was page after page of coverage. 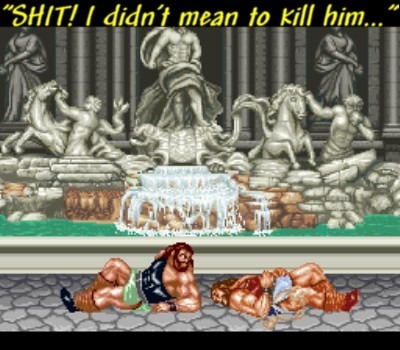 Overkill? 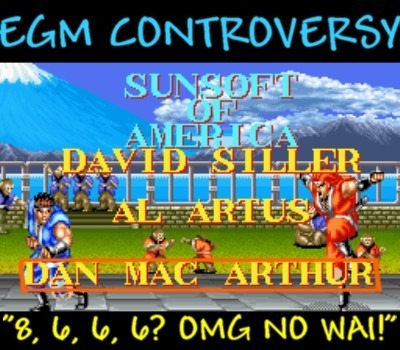 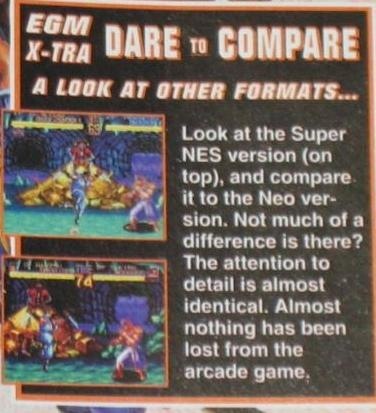 Quite possibly, but as EGM once wrote in an editorial, you go with what sells. 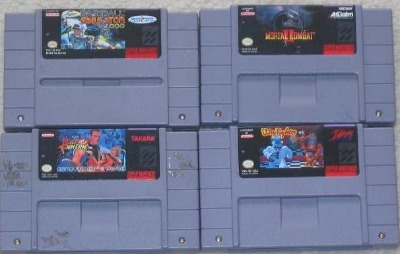 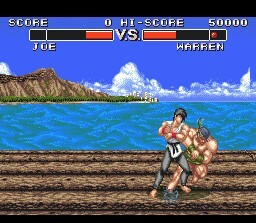 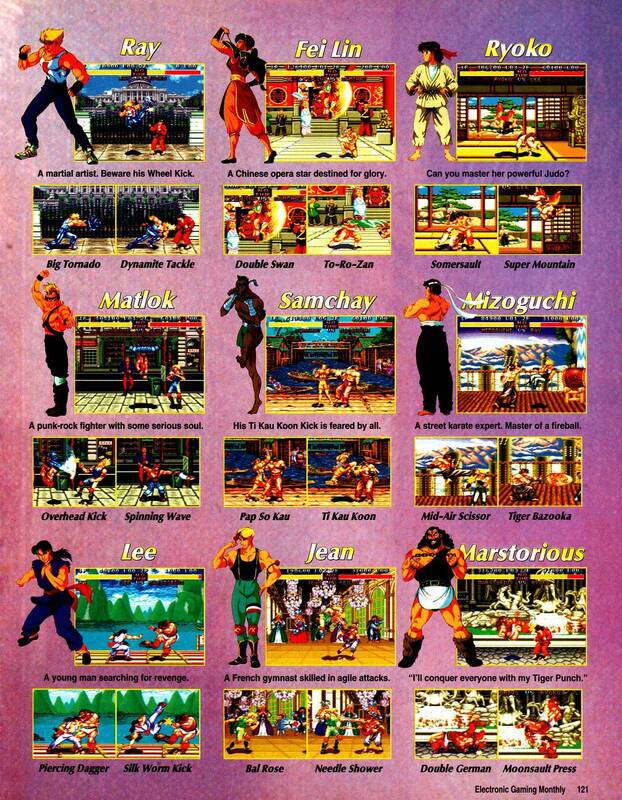 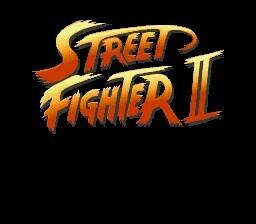 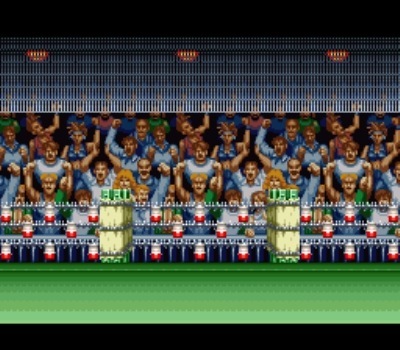 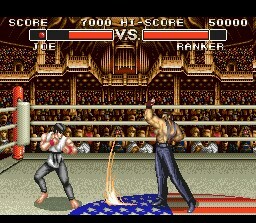 And did Street Fighter II on the SNES sell or what! 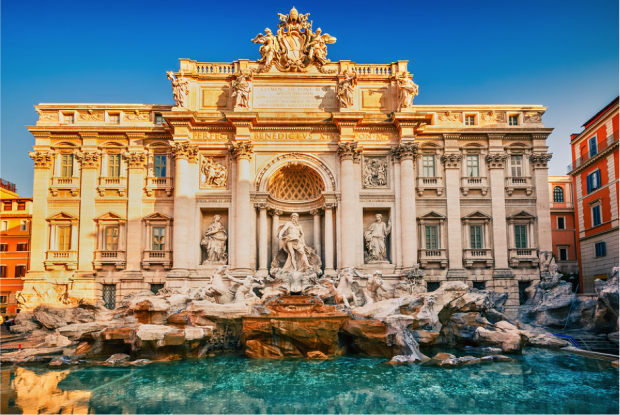 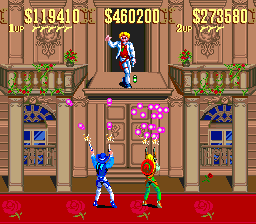 Sales for the first week set new records. 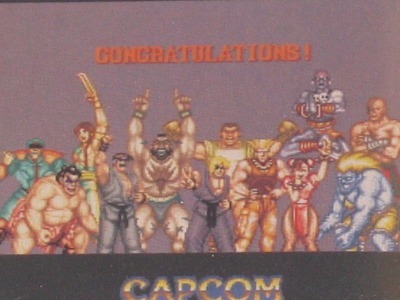 Nearly everyone and their brother were drunk with Street Fighter II fever. 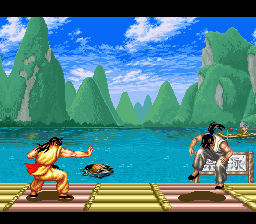 Soon thereafter came the clones. 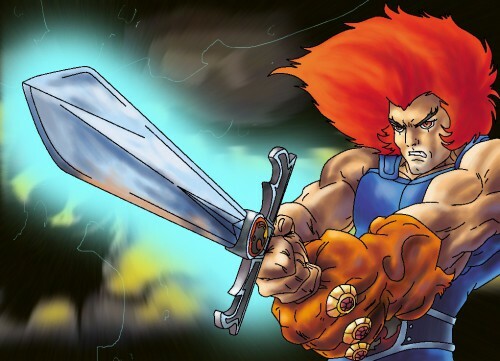 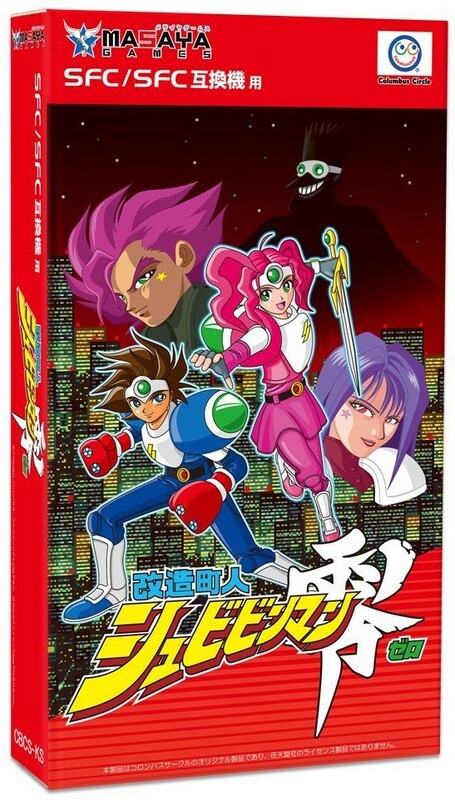 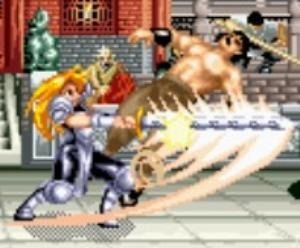 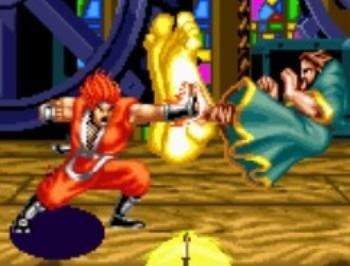 Many other companies started putting out their own fighting games in hopes of capturing lightning in a bottle and get their own slice of the pie. 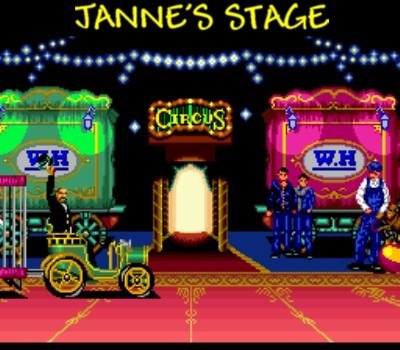 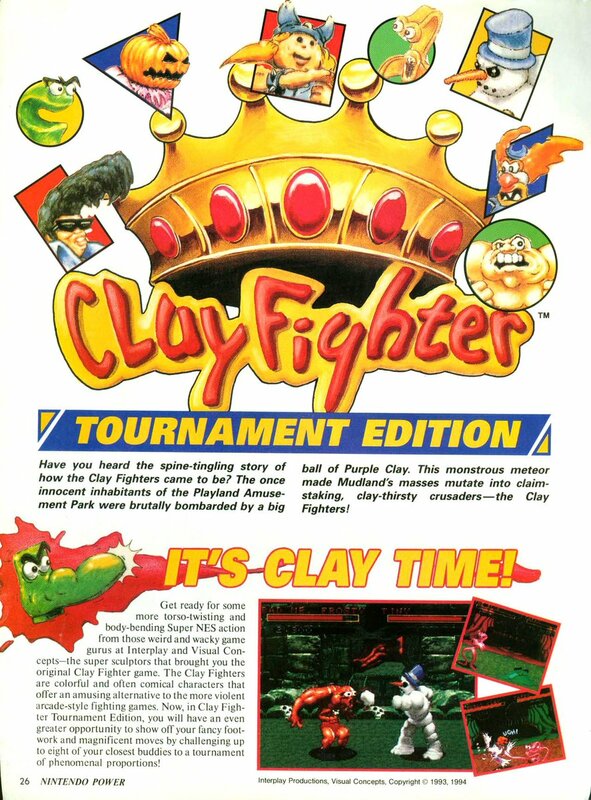 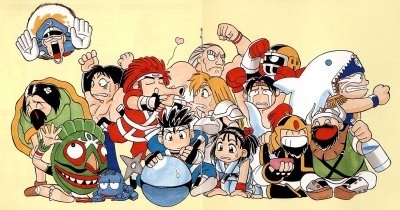 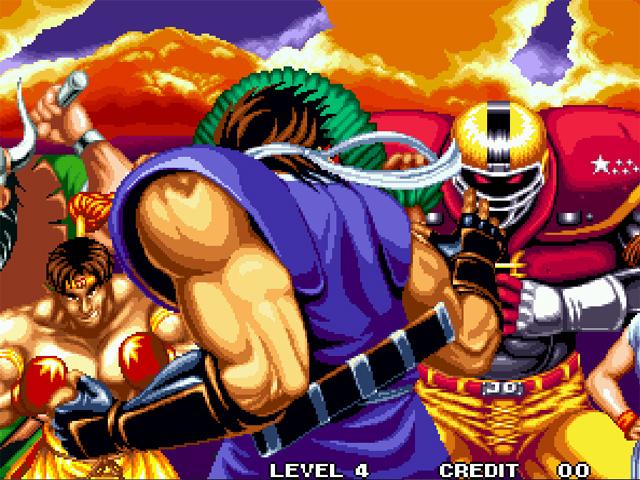 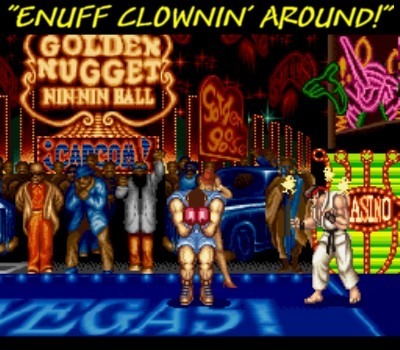 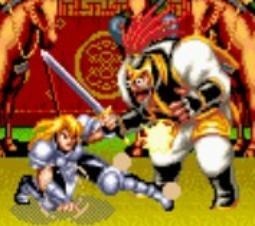 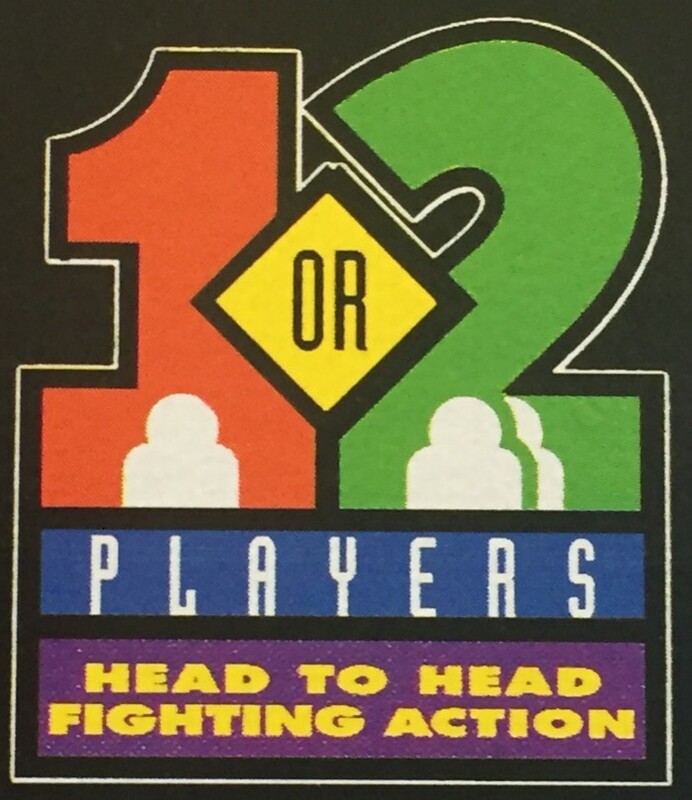 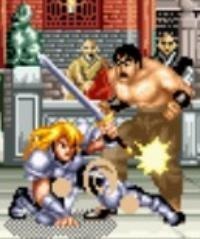 The years 1992-1994 were absolutely inundated by fighting games, and it was considered the “fighting game golden age.” I remember fondly a time where each time you visited the arcades, it felt like there was a new fighting game that popped up overnight like a pimple on prom night. 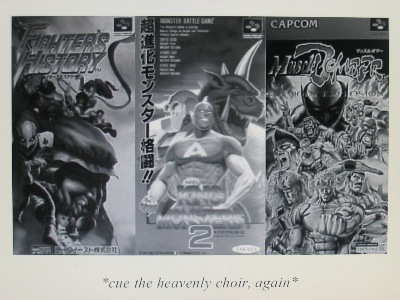 It was an exciting and wild time if you loved fighting games as much as I did. 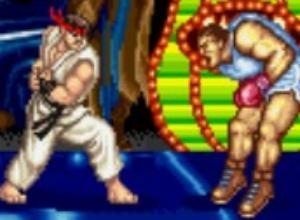 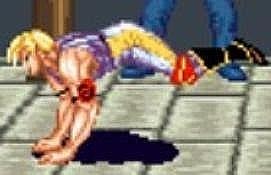 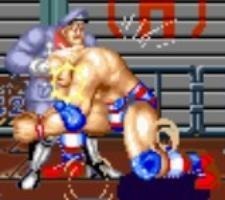 But of course, very few came close to even sniffing the jock strap of Street Fighter II. 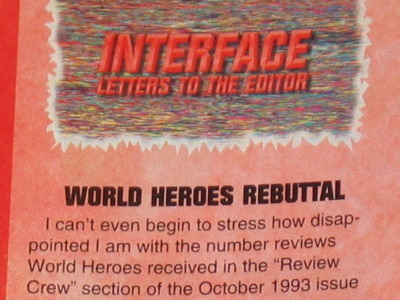 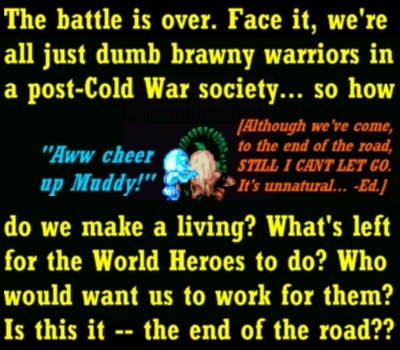 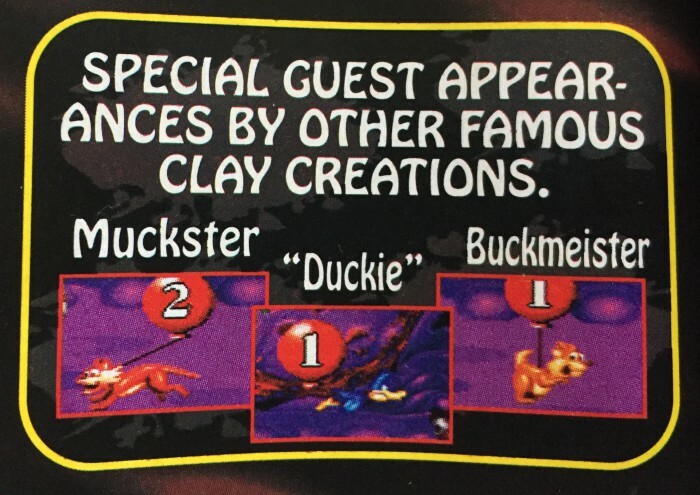 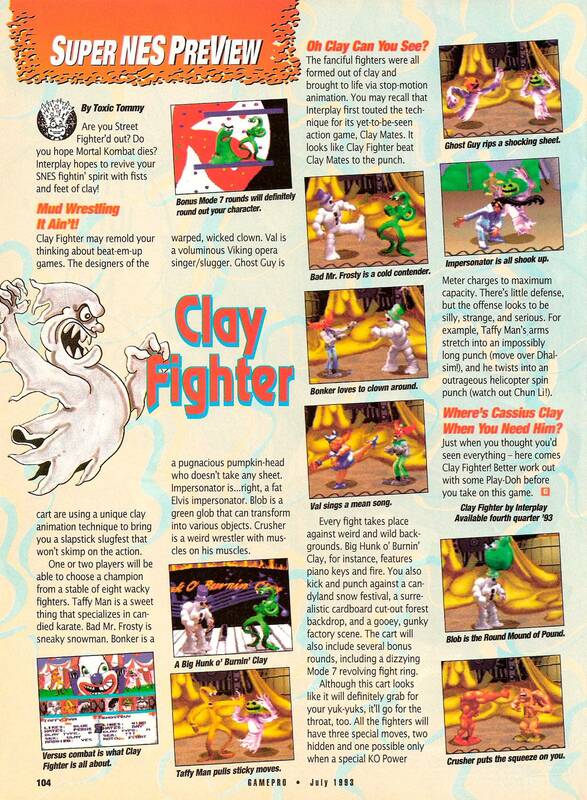 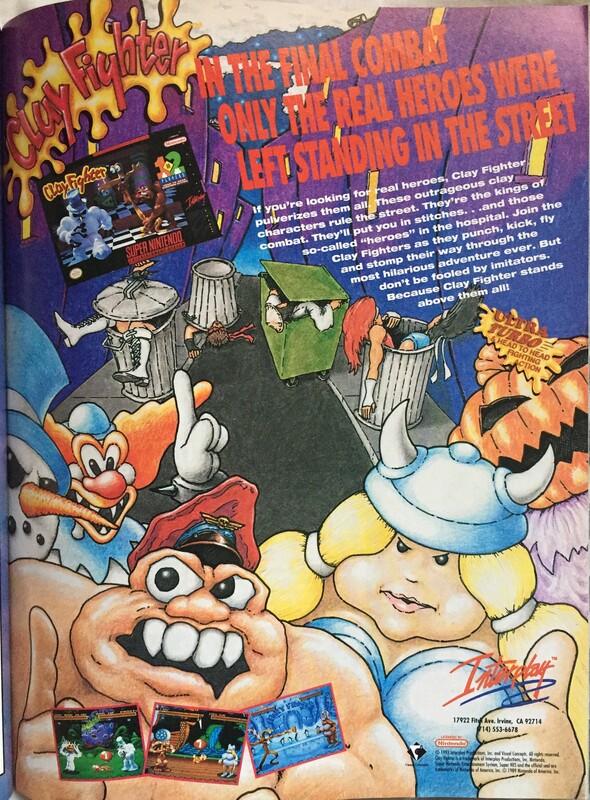 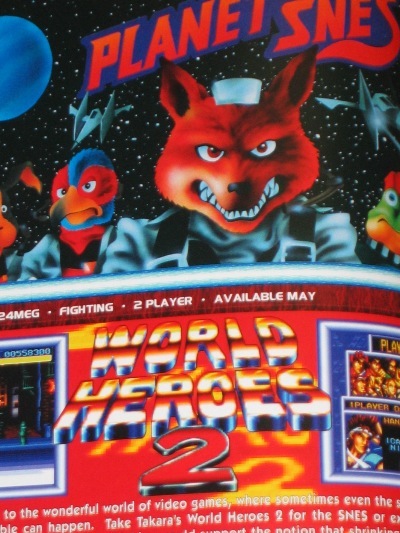 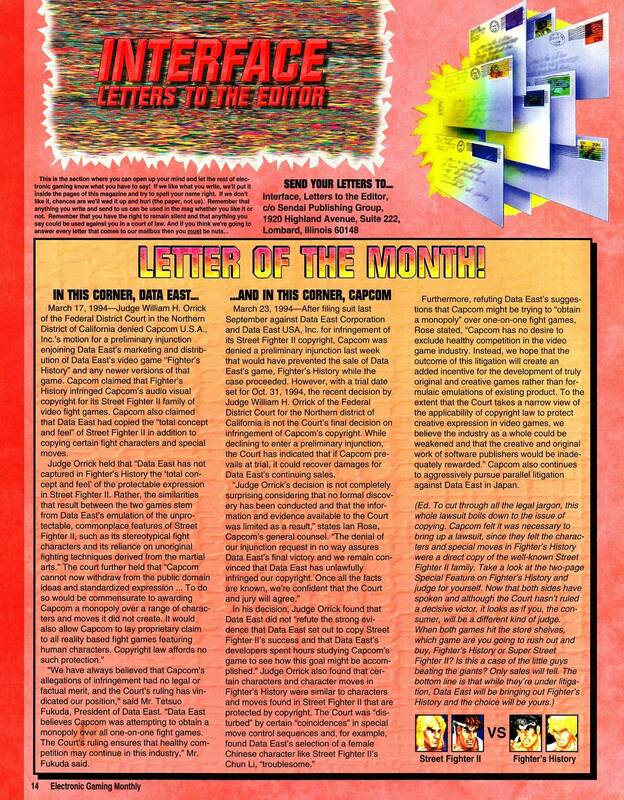 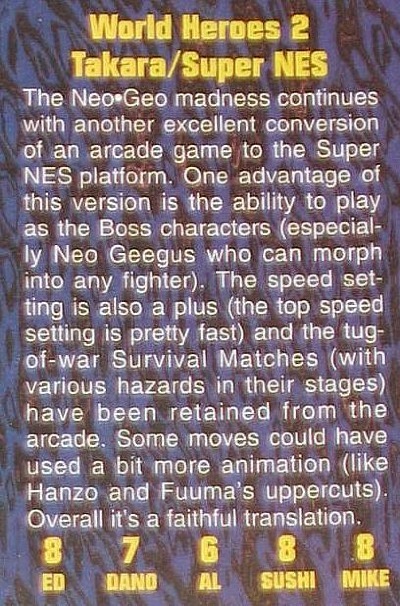 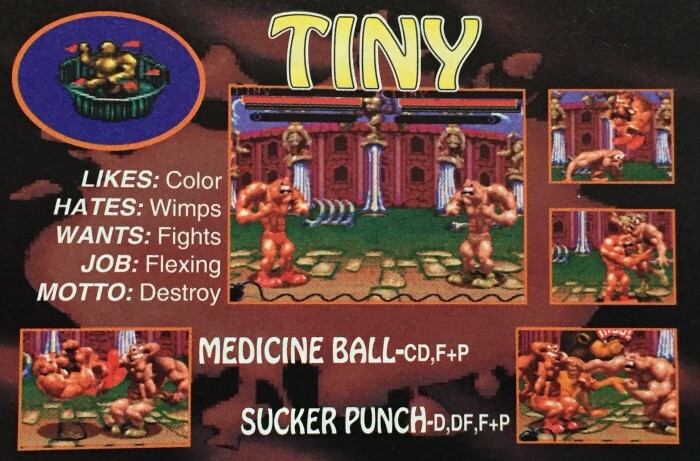 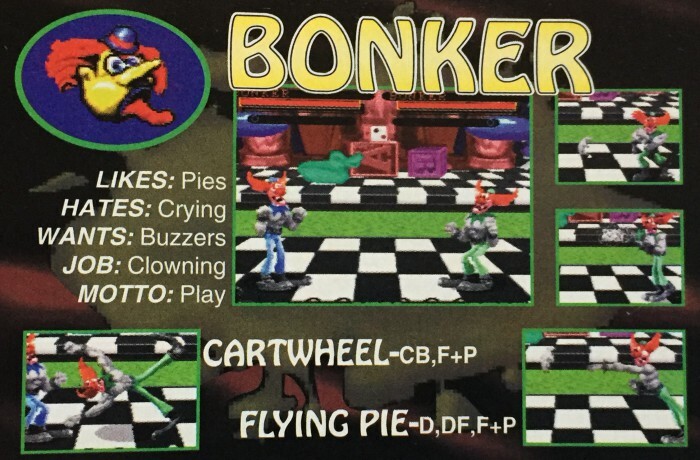 Here’s an excerpt from EGM’s September 1992 Insert Coin that captures that time frame in a nutshell quite well. 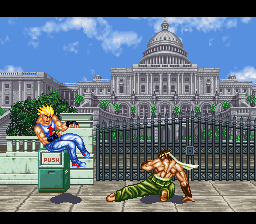 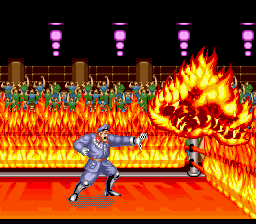 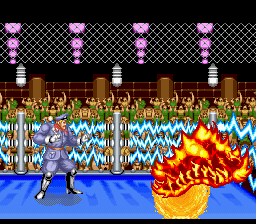 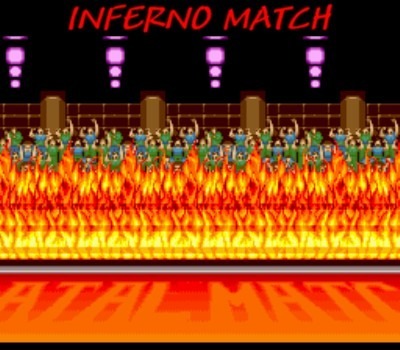 OK, by now virtually everybody in the country has the mega-hot Street Fighter II. 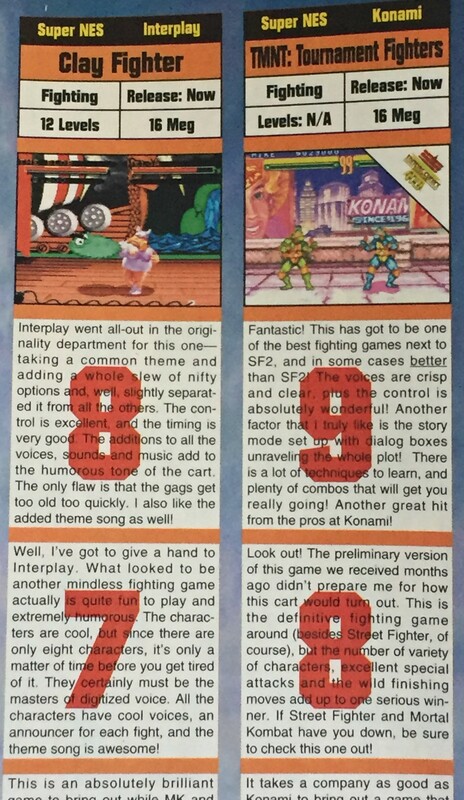 Judging by the hundreds of letters we have already received, player satisfaction with this prime cart is at an all-time high. 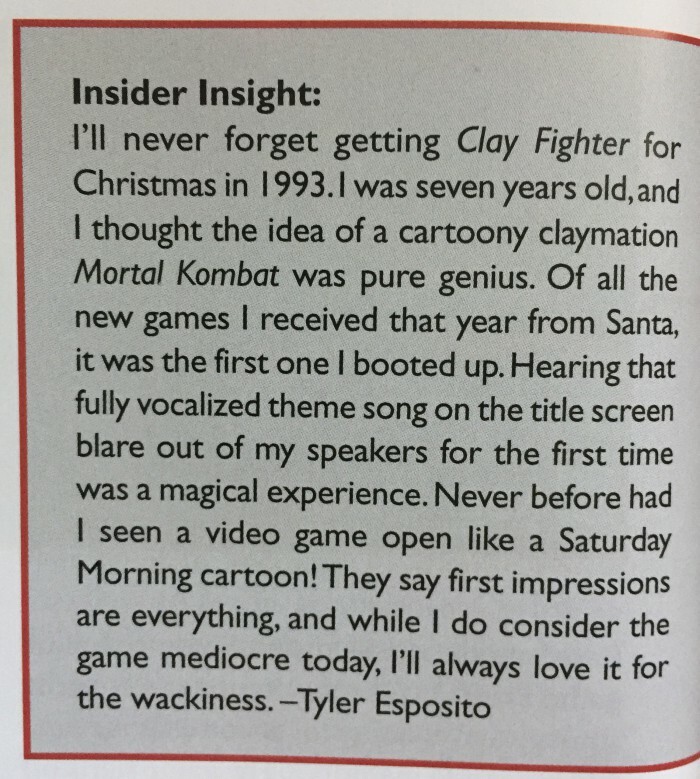 The impact of this game goes beyond just the software sales. 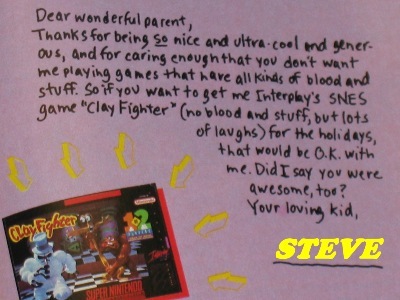 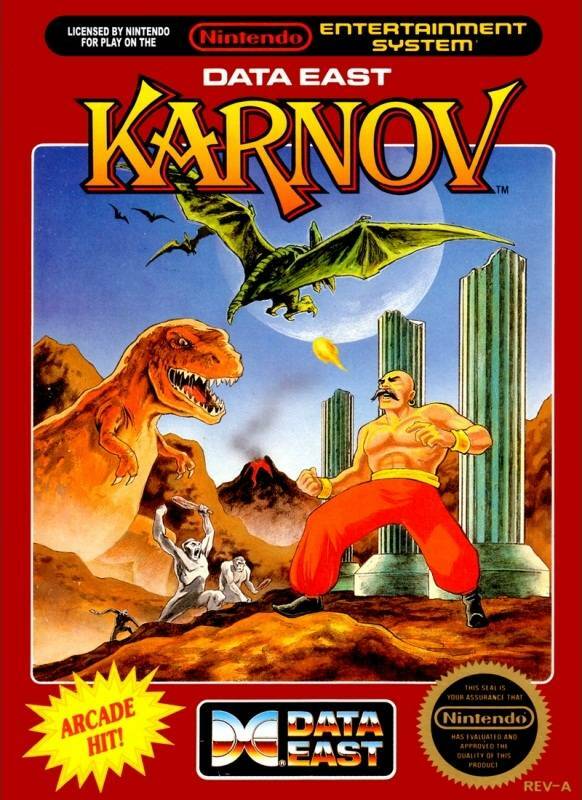 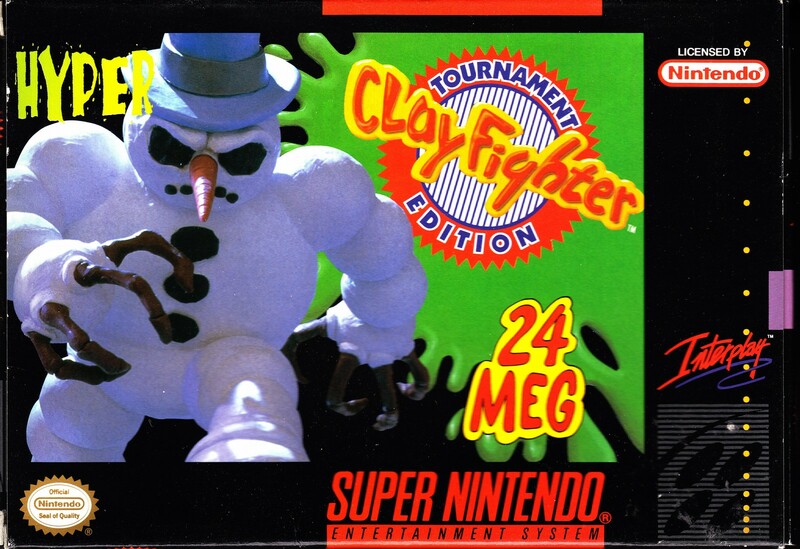 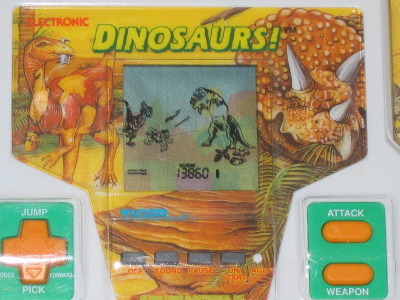 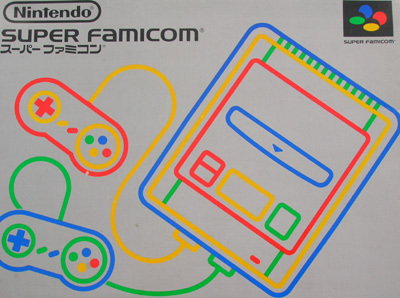 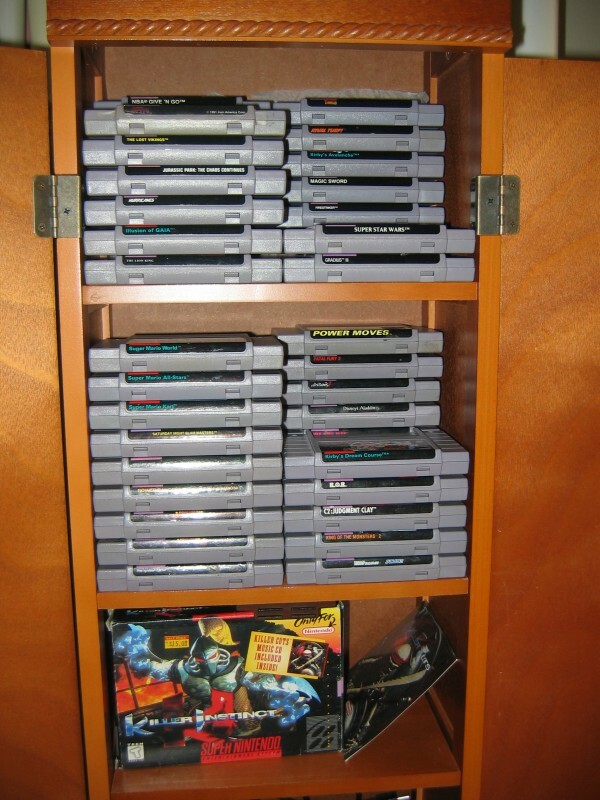 Based on the letters we have received, literally thousands have bought Super Nintendos just to play this. 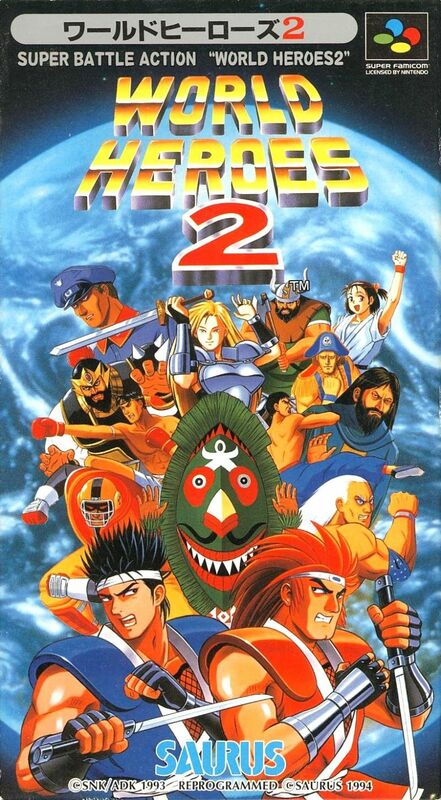 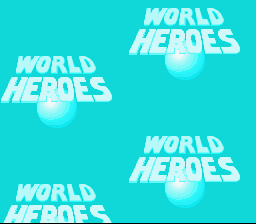 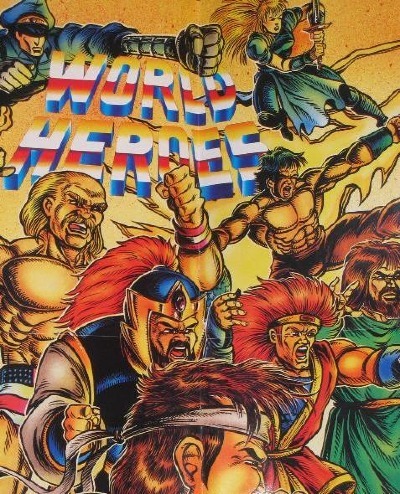 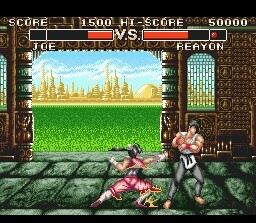 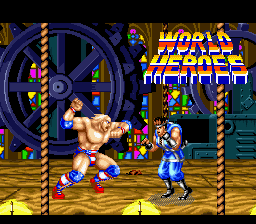 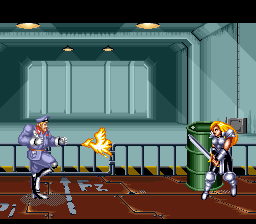 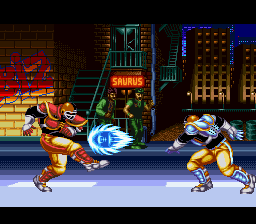 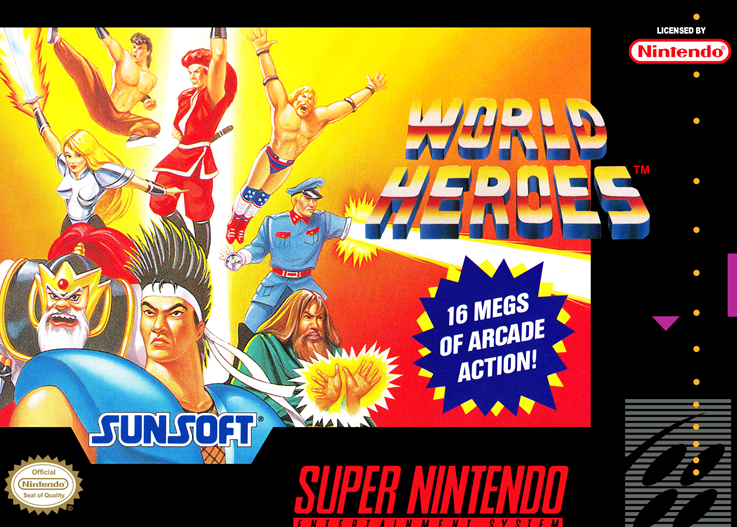 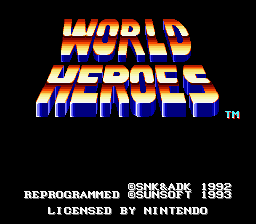 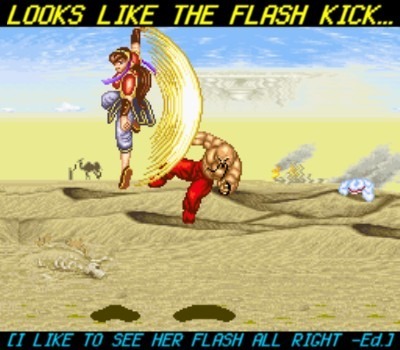 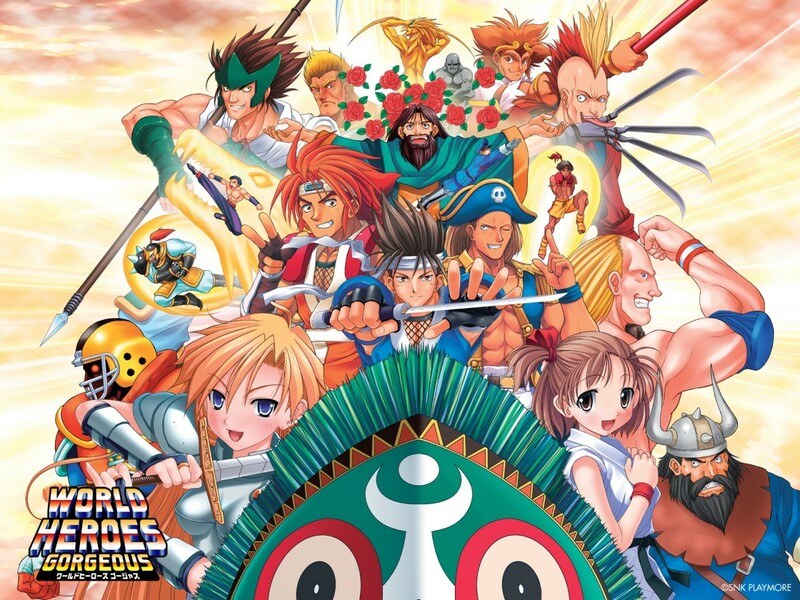 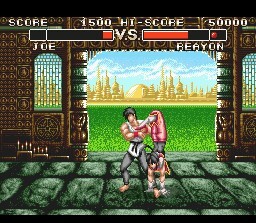 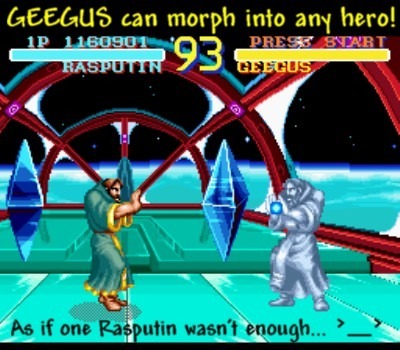 SNK has just brought out a huge 87 meg fighting game called World Heroes, and we see no end in sight. 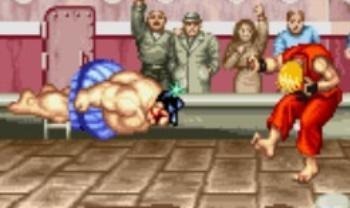 How long will Street Fighter II stay popular? 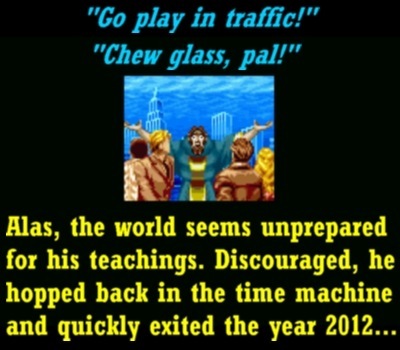 Most likely through the holidays. 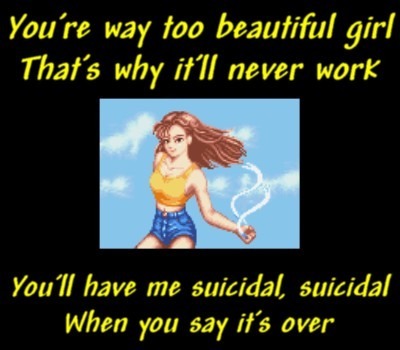 Or maybe forever. 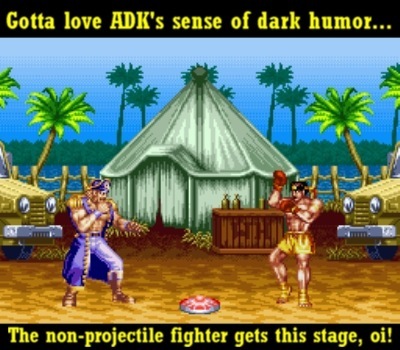 All in all, a big tip of the hat has to go to Capcom for all of the work they did in creating this phenomenon. 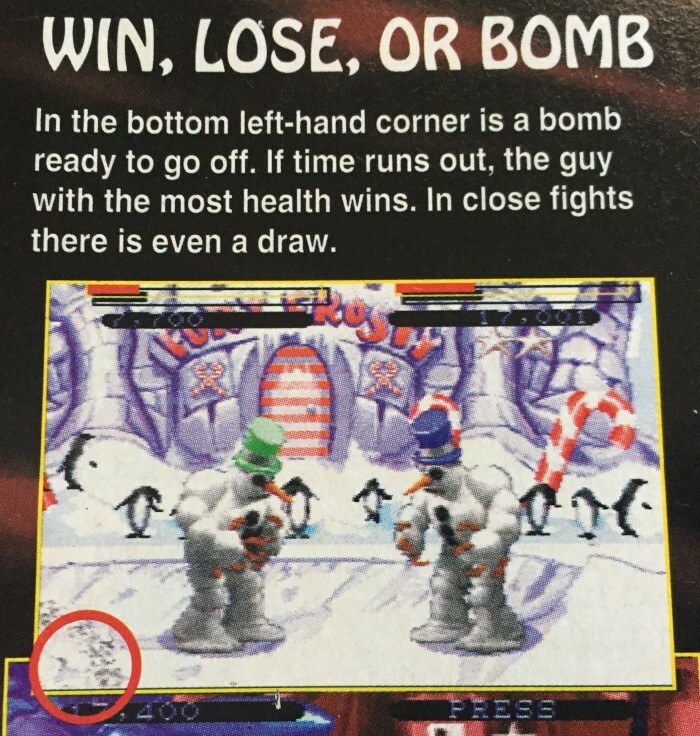 This could be the Game of the Year! 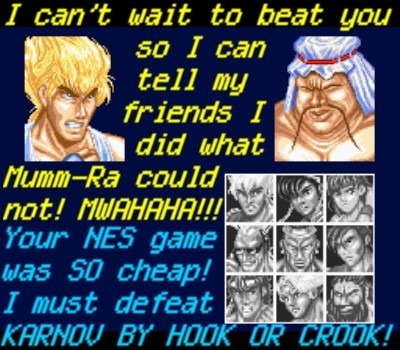 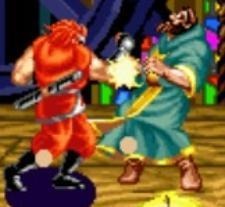 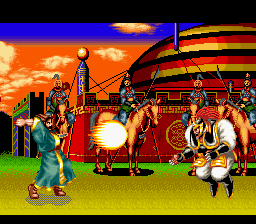 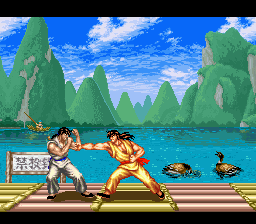 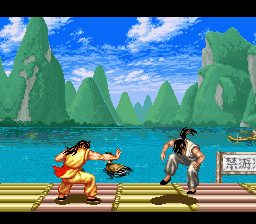 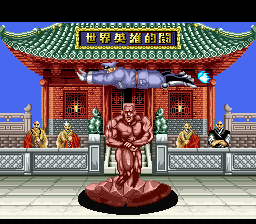 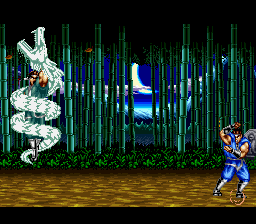 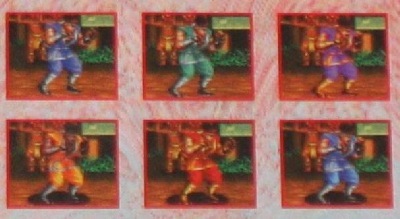 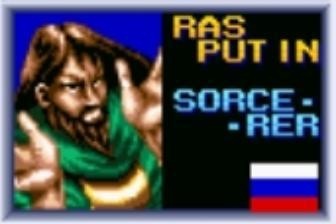 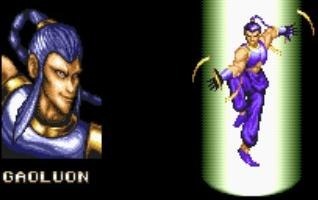 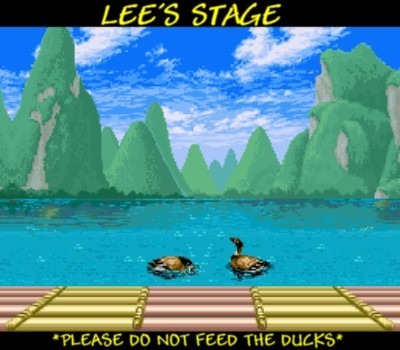 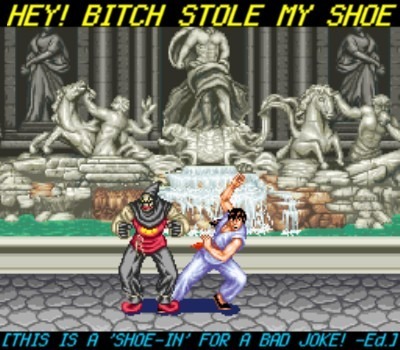 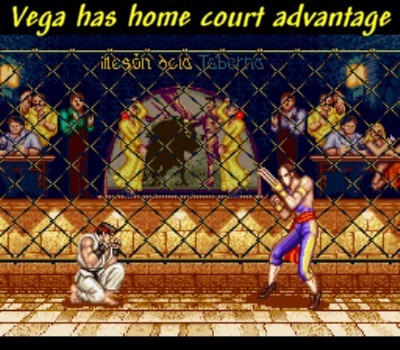 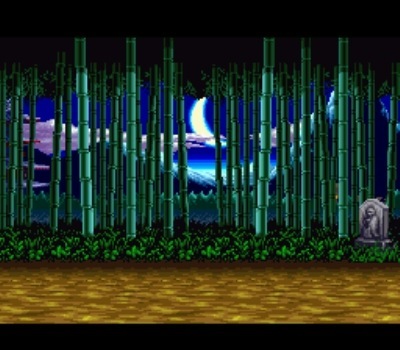 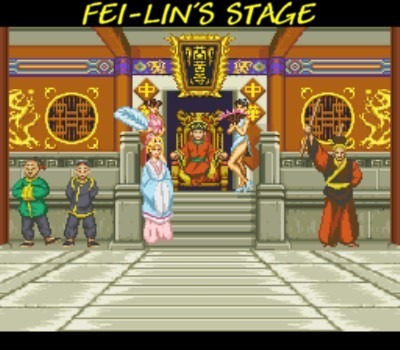 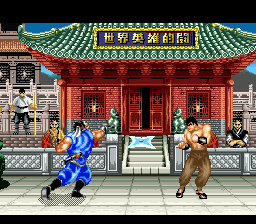 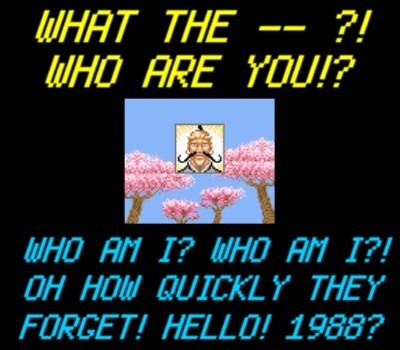 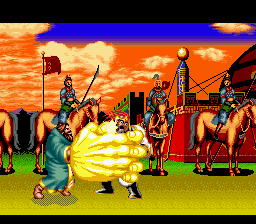 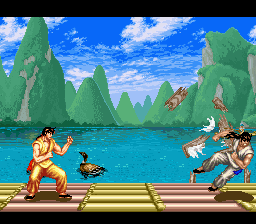 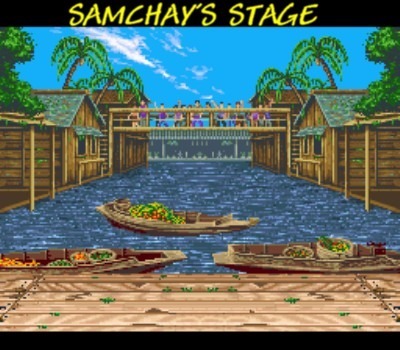 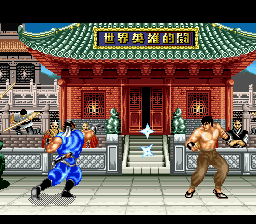 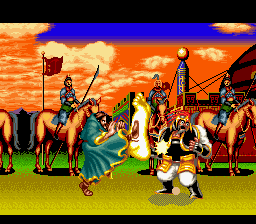 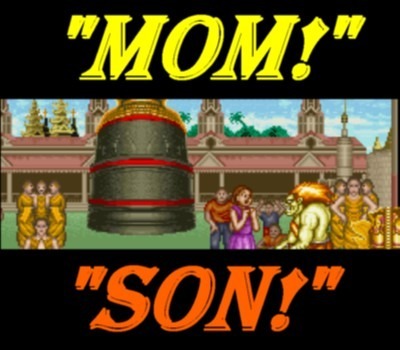 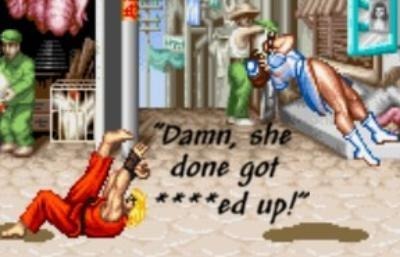 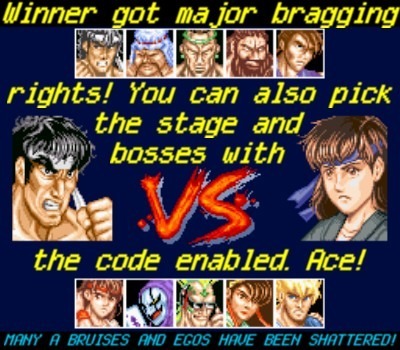 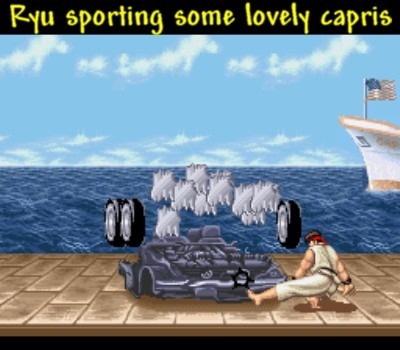 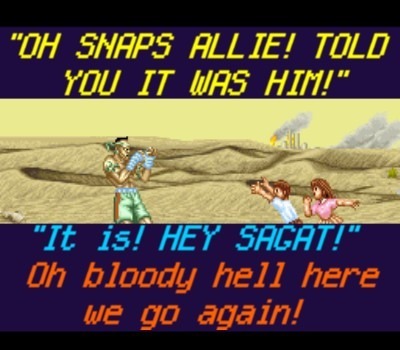 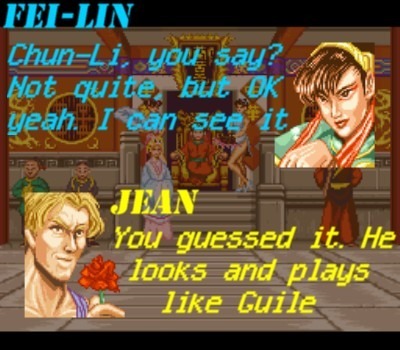 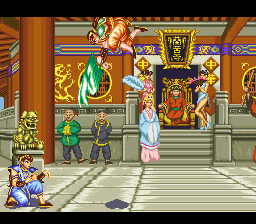 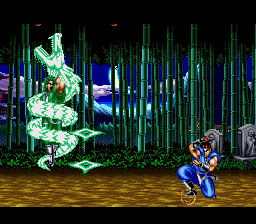 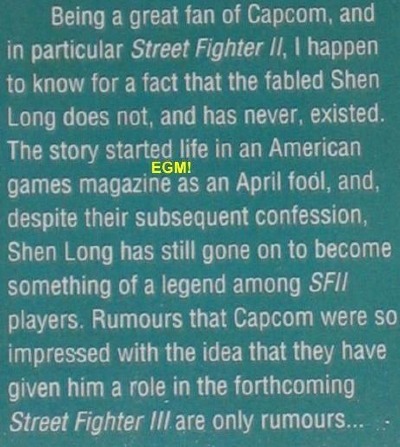 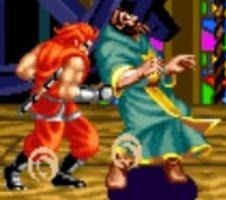 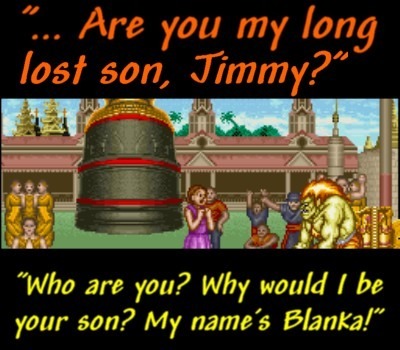 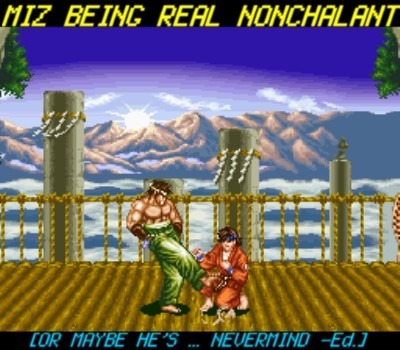 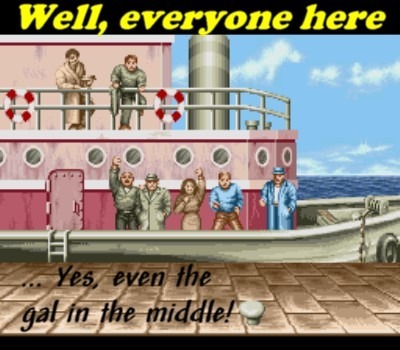 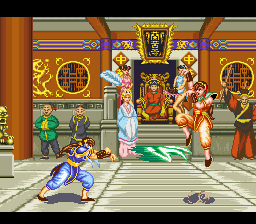 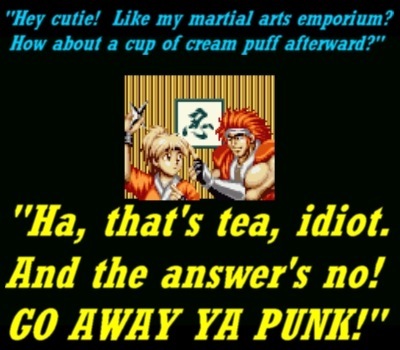 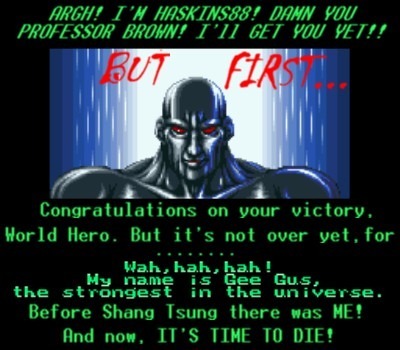 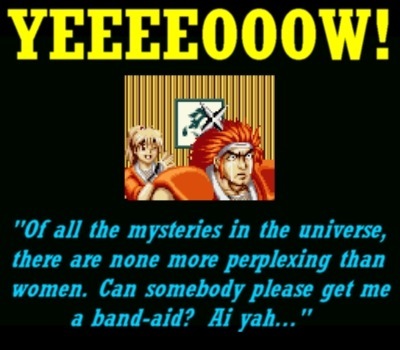 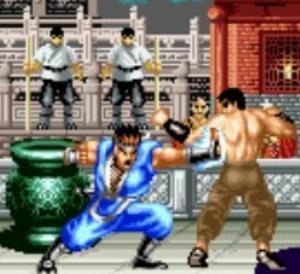 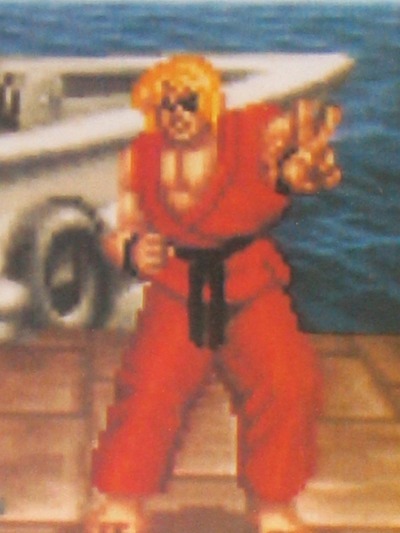 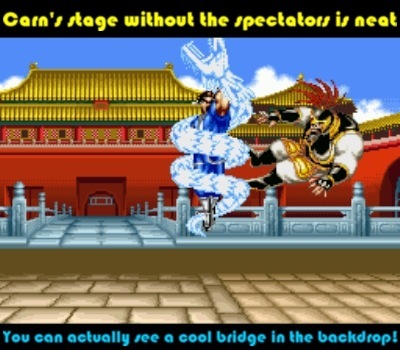 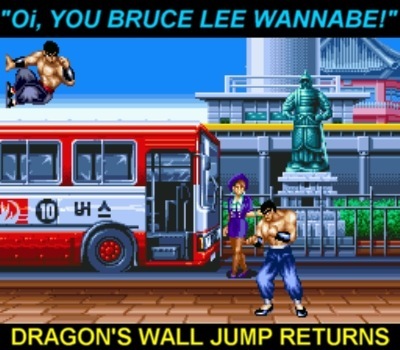 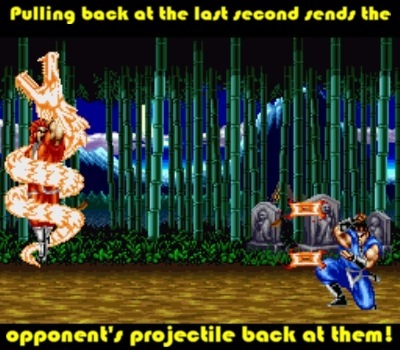 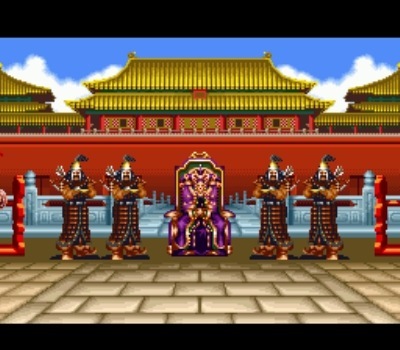 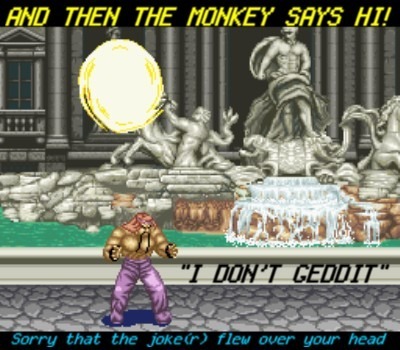 The infamous Sheng Long April Fools joke became something of a legend and even infiltrated its way into Street Fighter II lore. 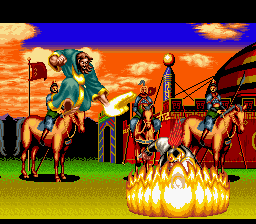 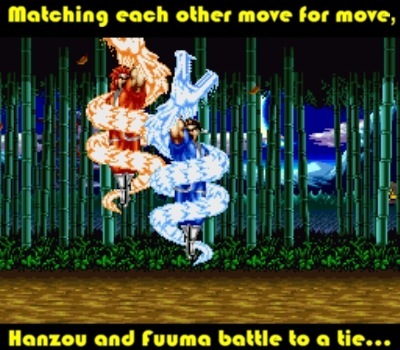 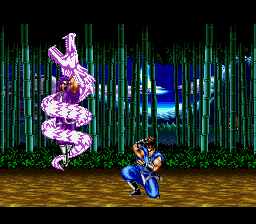 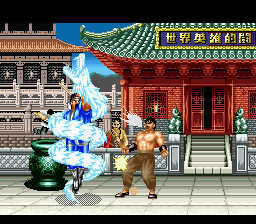 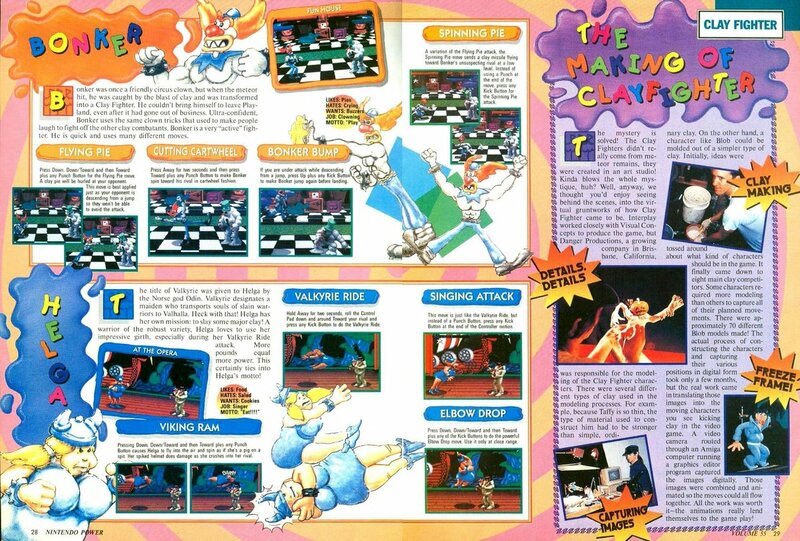 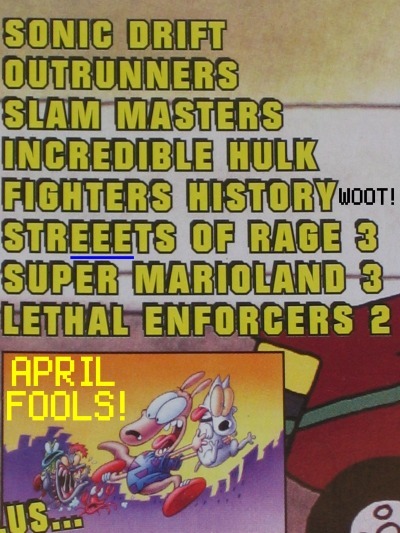 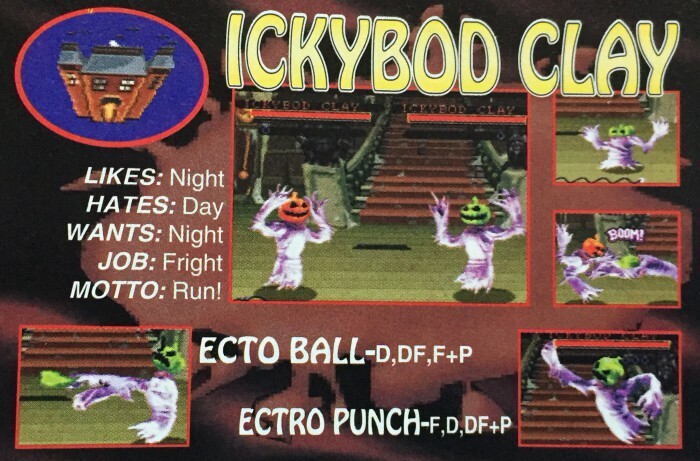 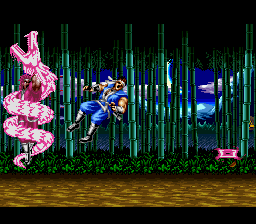 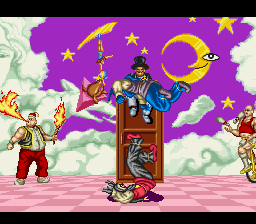 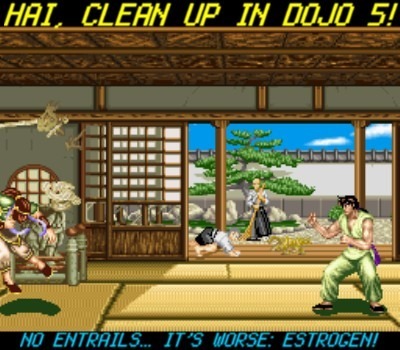 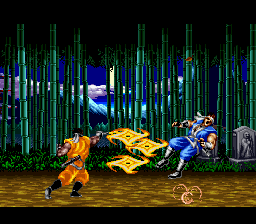 EGM would go on to conduct annual April Fools jokes as a reader contest, but they never could quite recapture the magic like they had with the Sheng Long gag. 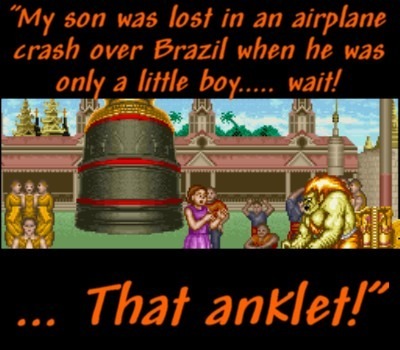 Street Fighter II was a happening. 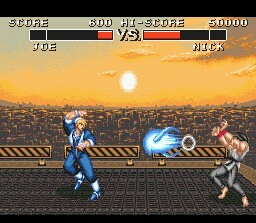 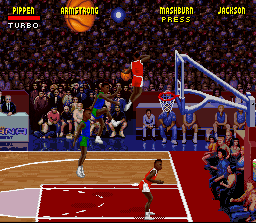 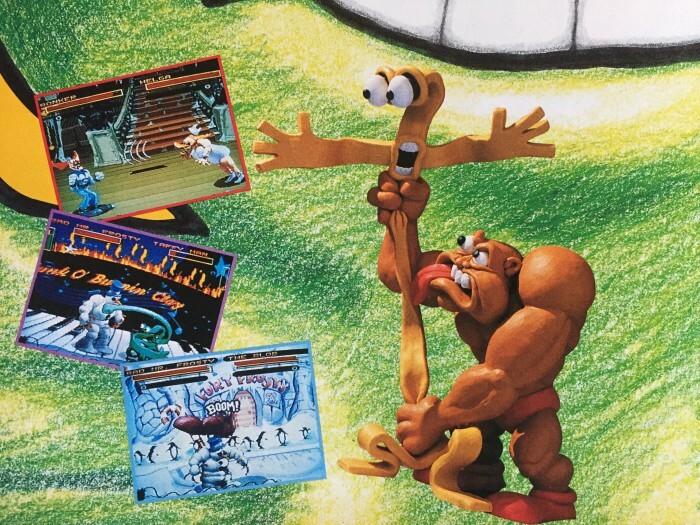 When it hit arcade scenes in early 1991 it changed the way we viewed video games. 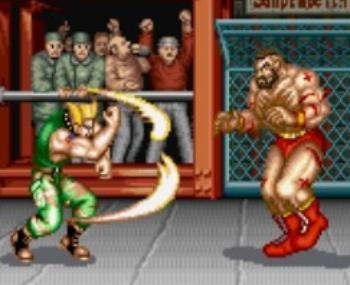 Sure, fighting games had existed before but it wasn’t until Street Fighter II that fighting games became a staple of the video gaming fabric. 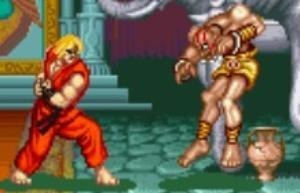 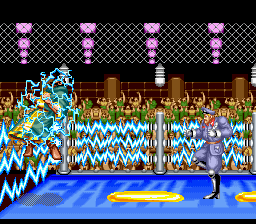 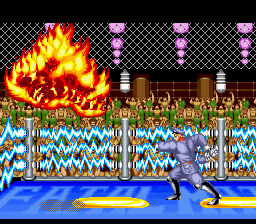 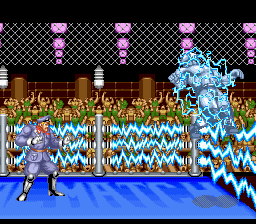 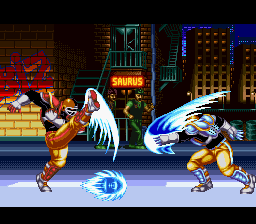 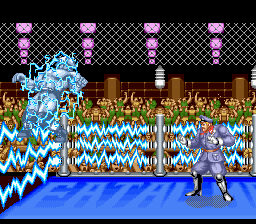 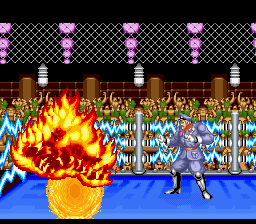 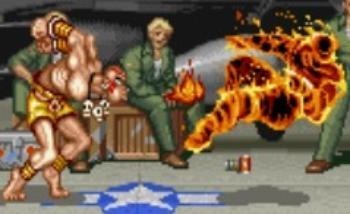 It spawned numerous clones, some of which were forgettable but a few became heavy fan favorites, and it was thanks to Street Fighter II for largely paving the way. 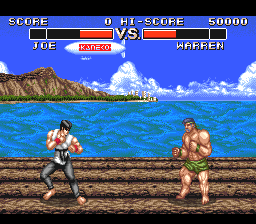 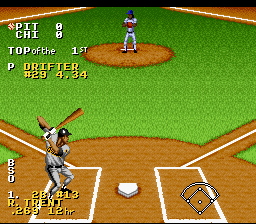 The Super Nintendo port, while far from perfect, sure felt close to perfect back in the summer of ’92 when it originally came out. 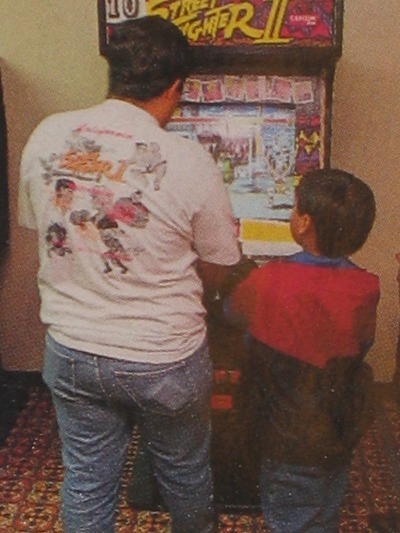 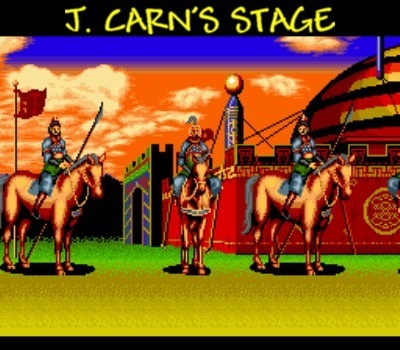 It was the first game that made me feel like we could finally play arcade games at home. 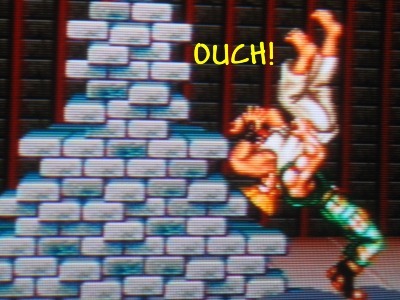 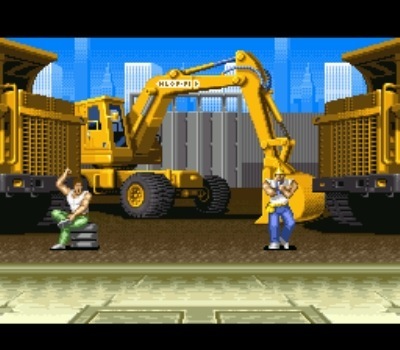 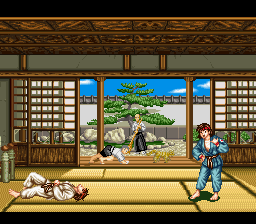 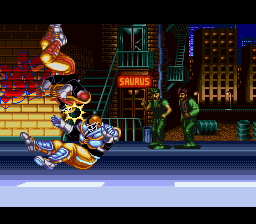 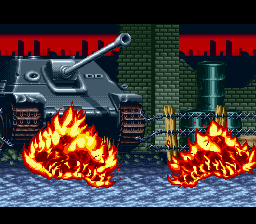 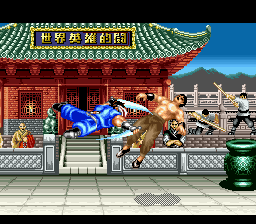 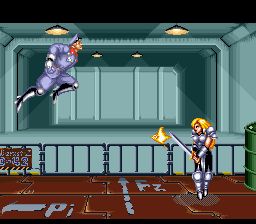 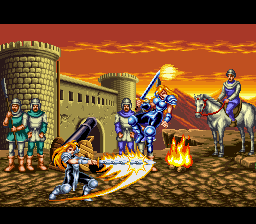 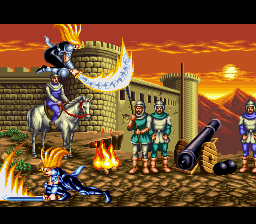 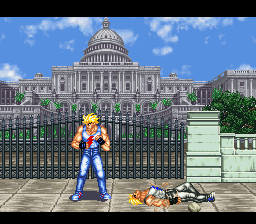 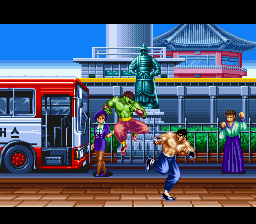 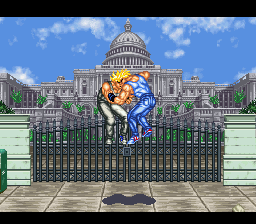 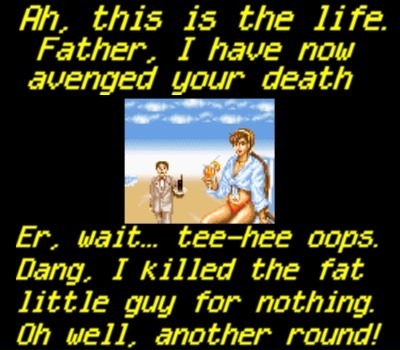 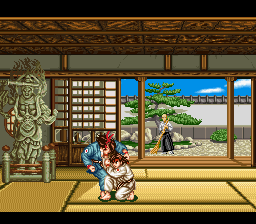 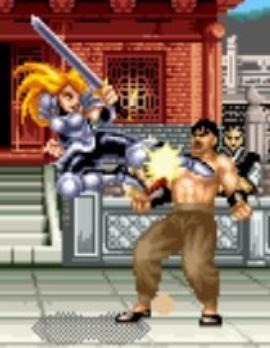 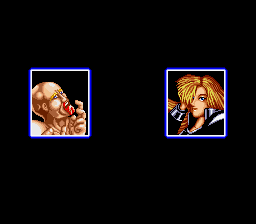 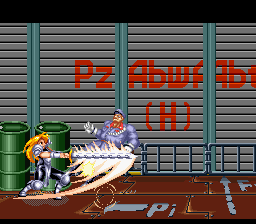 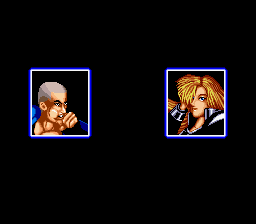 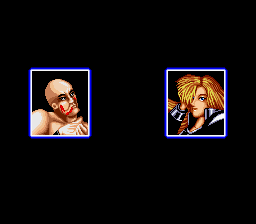 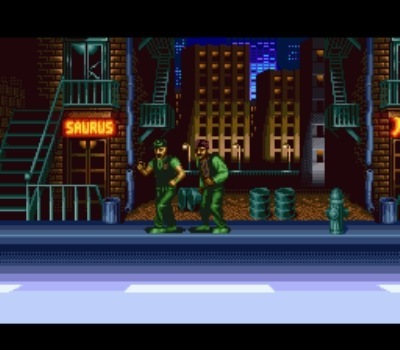 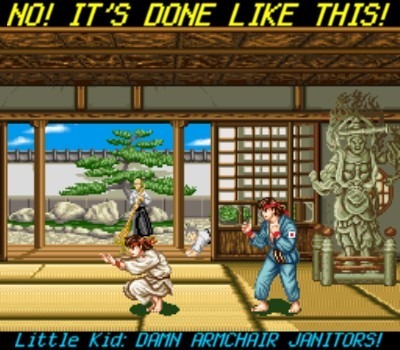 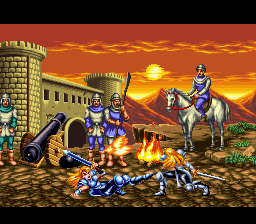 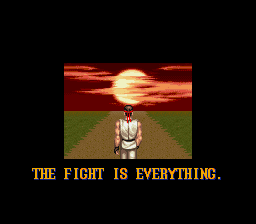 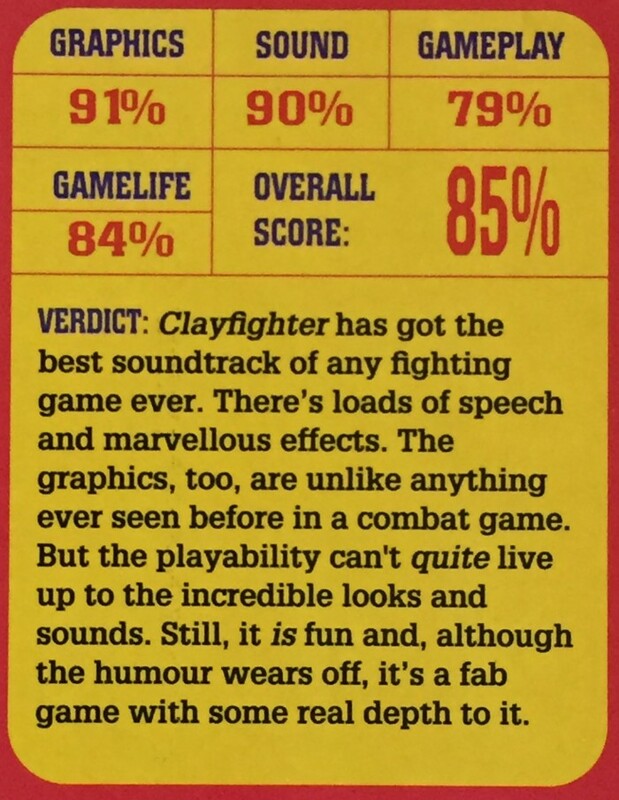 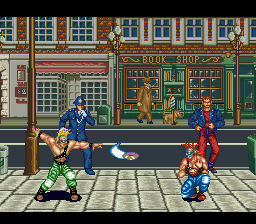 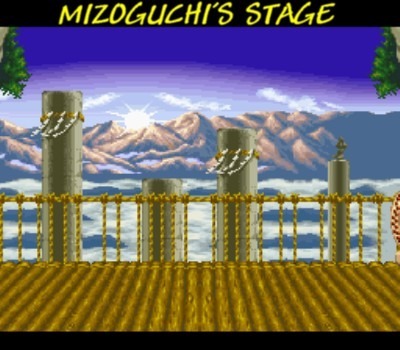 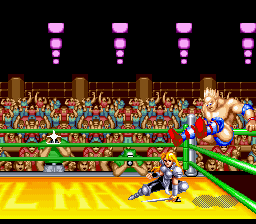 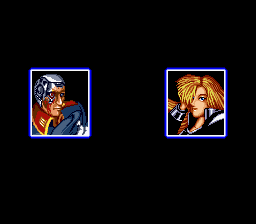 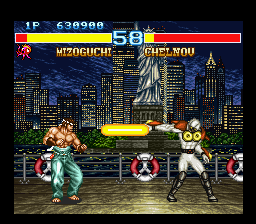 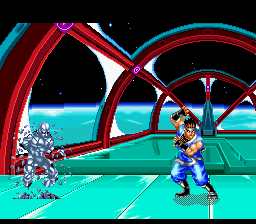 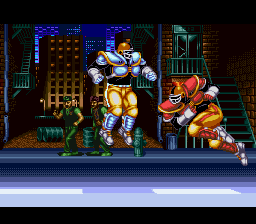 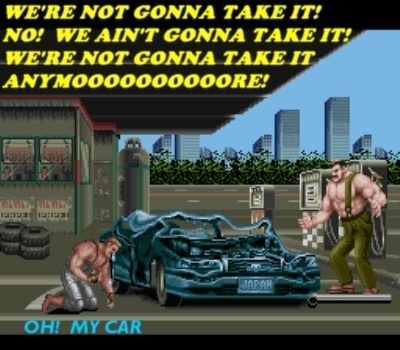 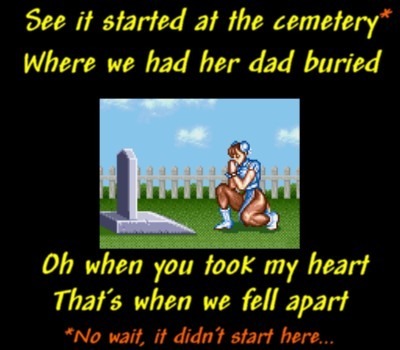 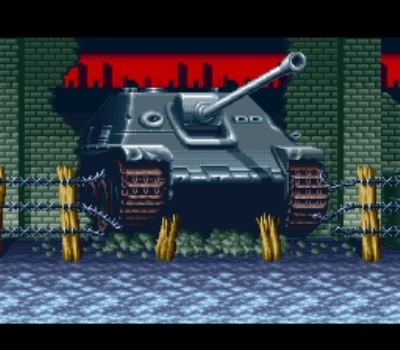 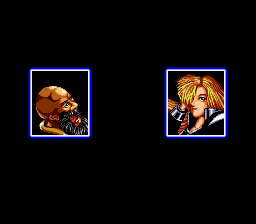 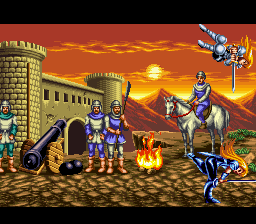 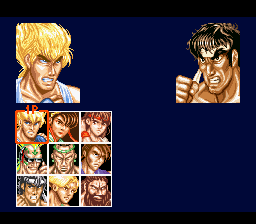 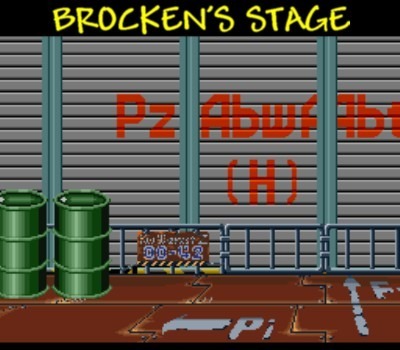 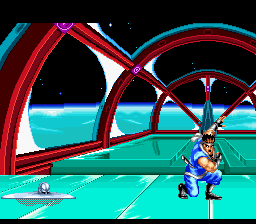 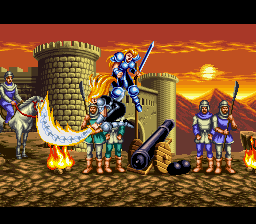 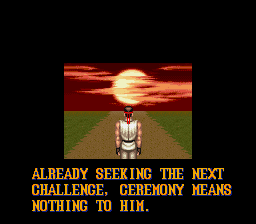 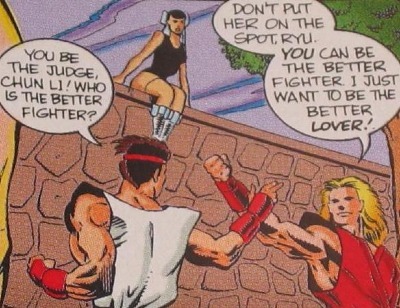 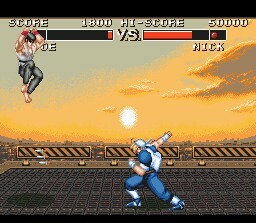 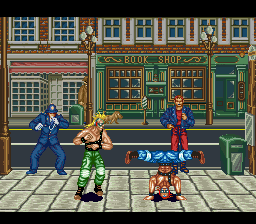 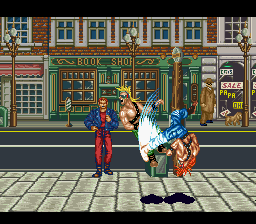 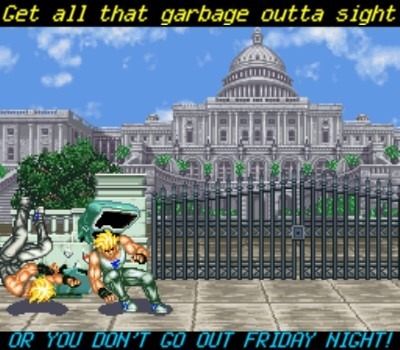 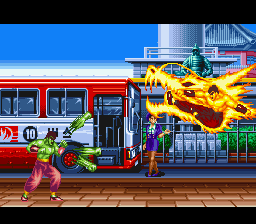 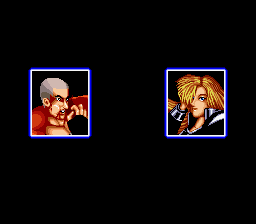 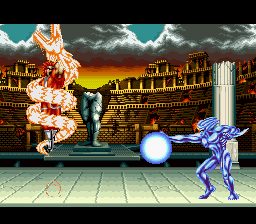 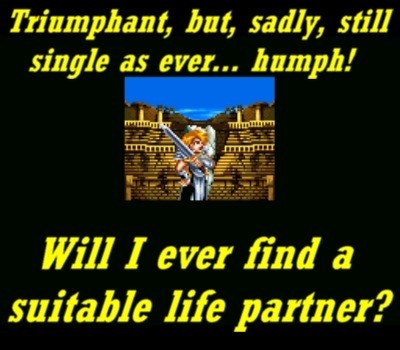 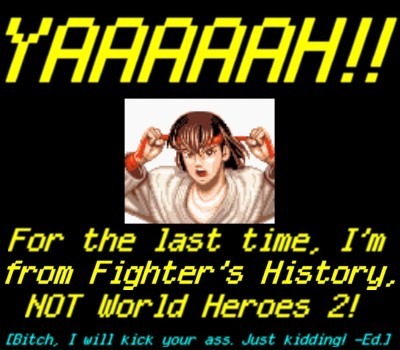 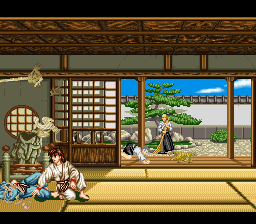 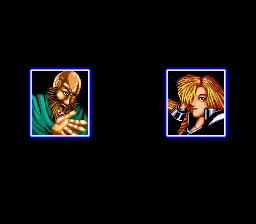 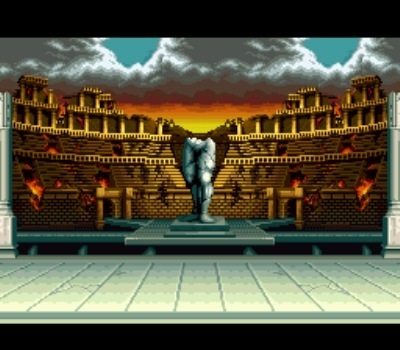 Final Fight did a decent job of that, but there were too many blatant sacrifices. 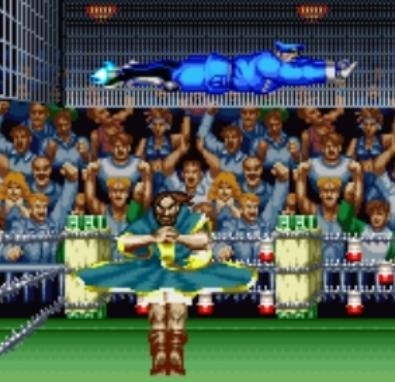 With Street Fighter II, however, it was a glimpse into the future that home systems were now JUST powerful enough to faithfully capture the spirit and essence of an arcade game. 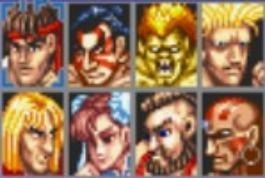 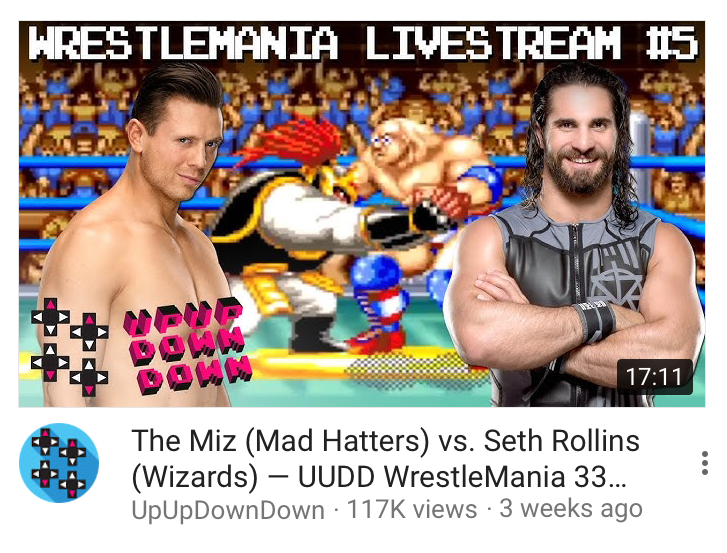 Moreover, I just remember the summer and fall of 1992 being dominated by SNES Street Fighter II, blistered thumbs and bruised egos. 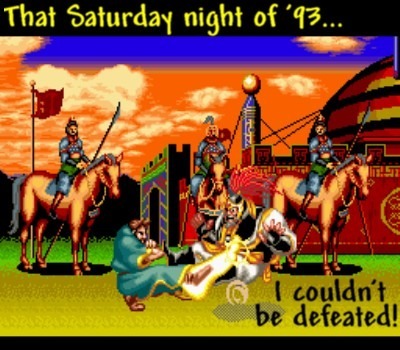 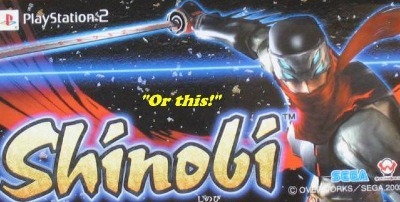 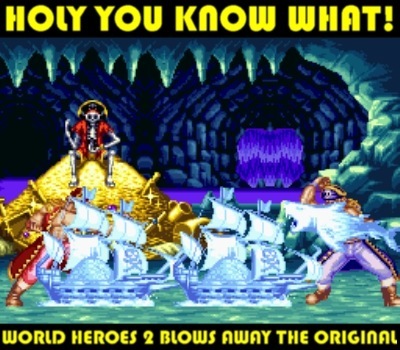 My friends and I played it to death — it was truly THE game to have back in those days. 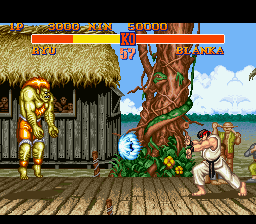 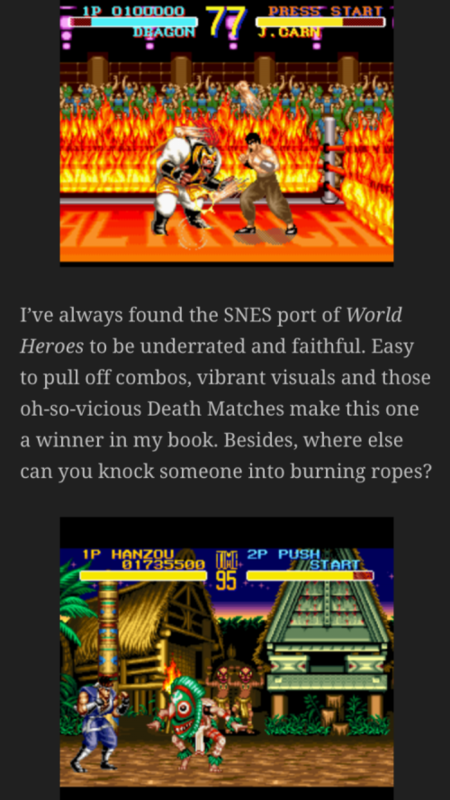 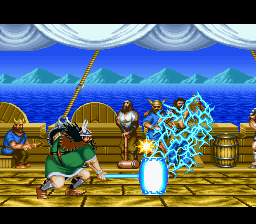 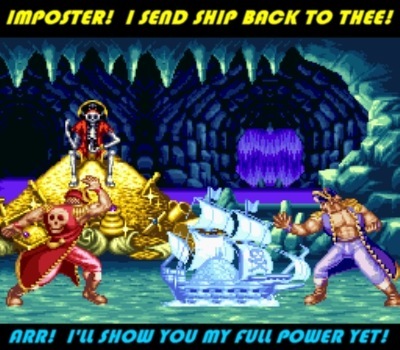 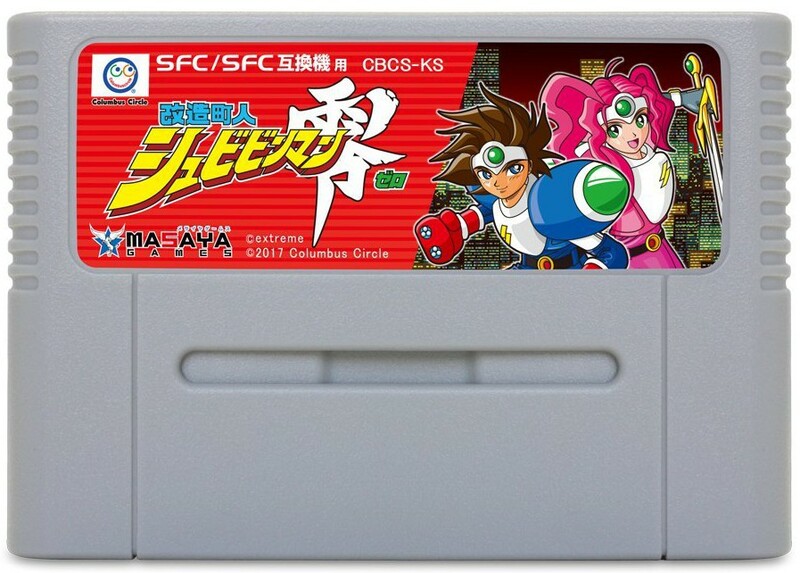 Sure, there are far superior ports of Street Fighter II available today, and many do view the Super Nintendo port as obsolete and nothing but a nostalgic remembrance. 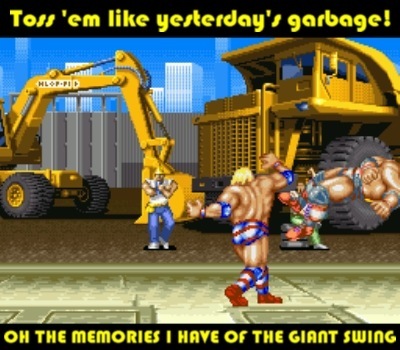 Call me crazy but I still occasionally play this game and I’ll be damned if I don’t still love it. 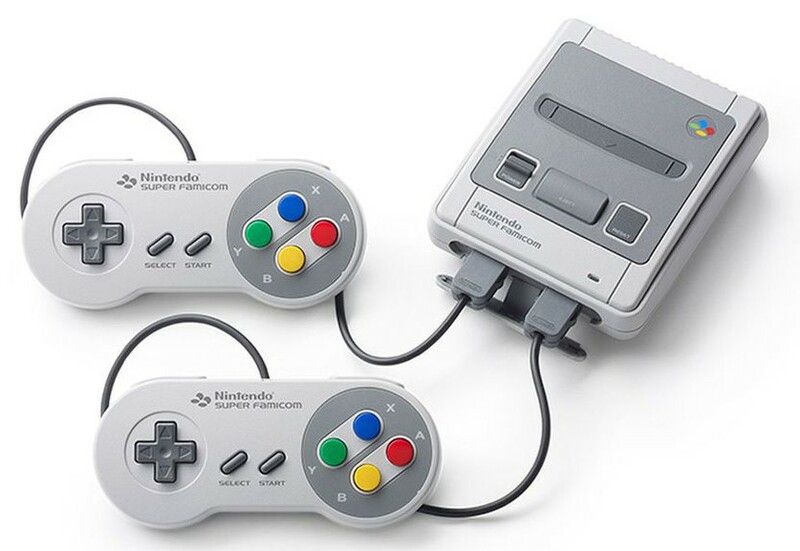 Even to this day, I find myself impressed by the port, knowing what they were able to squeeze into a Super Nintendo cartridge. 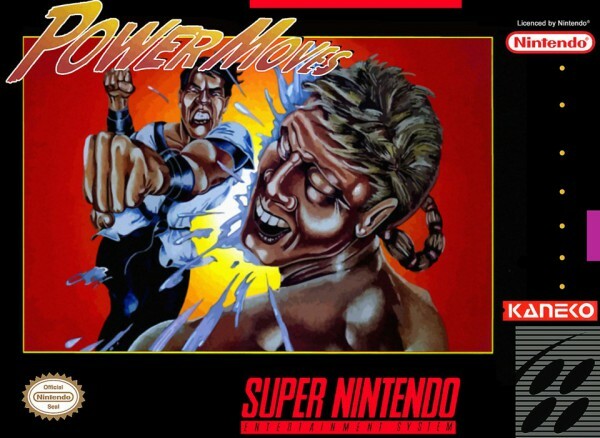 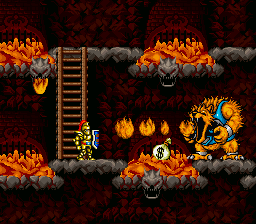 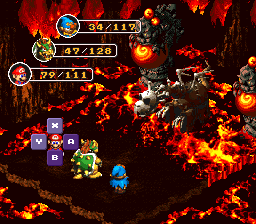 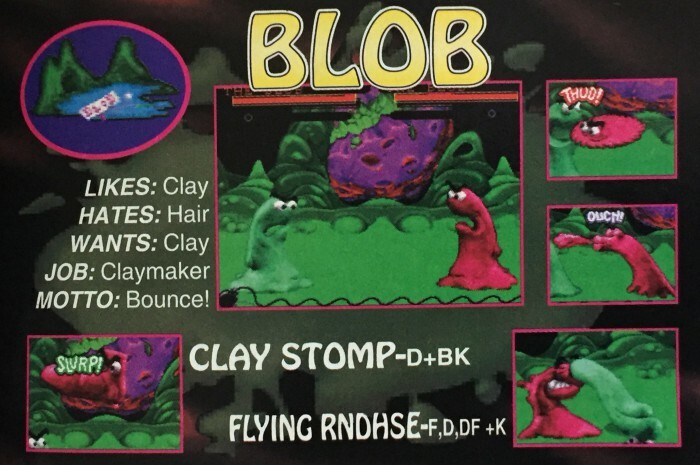 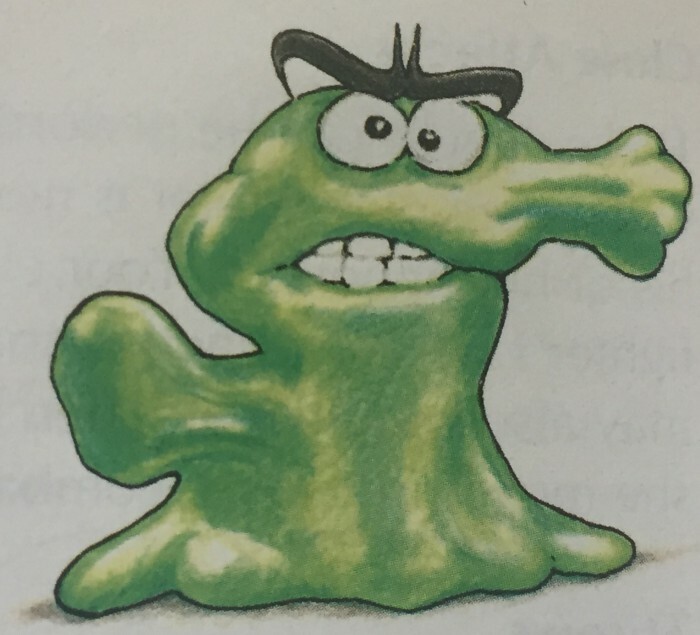 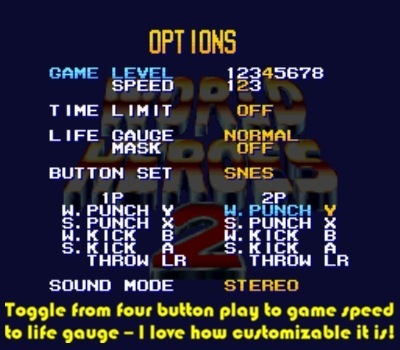 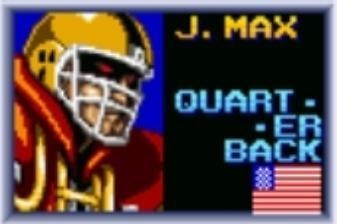 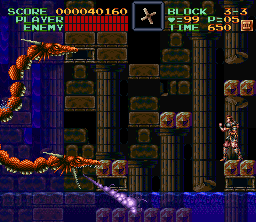 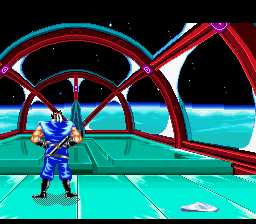 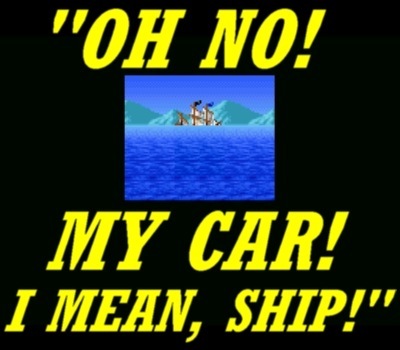 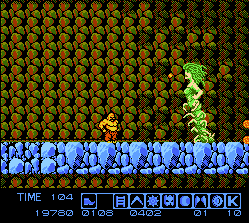 Yeah it has the slow speed of the arcade original, and yeah it’s technically imperfect, but as a Super Nintendo game released in July of 1992, it was nothing short of a beast. 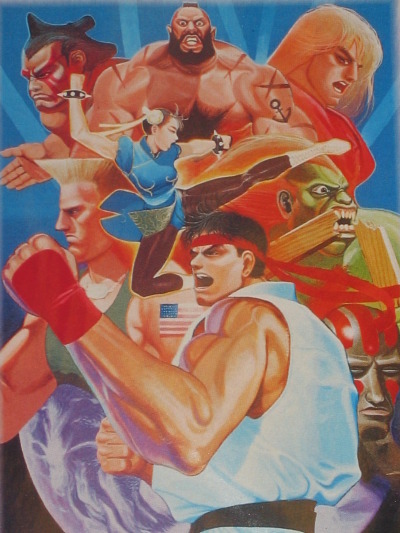 I feel very lucky that when the Street Fighter craze went down I was young enough to be awestruck yet just old enough to appreciate the magnitude of the event. 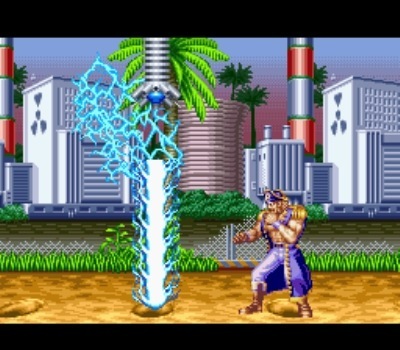 Capcom hit lightning in a bottle, sparking a cross-cultural phenomenon. 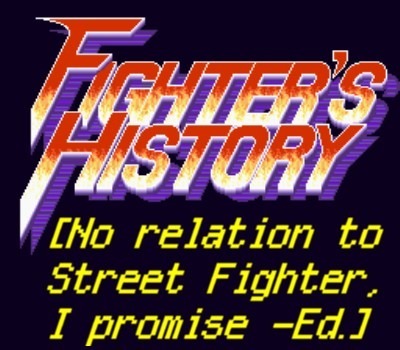 For every Hadoken shot around the world, every Dragon Punch, and for every Flash Kick, the Street Fighter legacy rocks on. 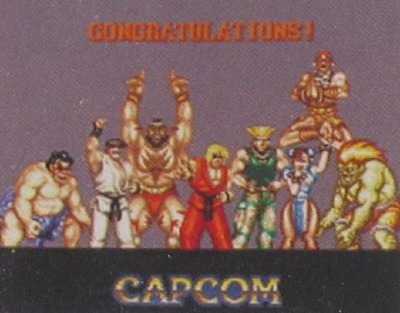 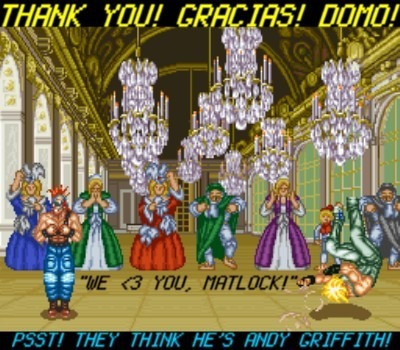 Hats off to you, Capcom. 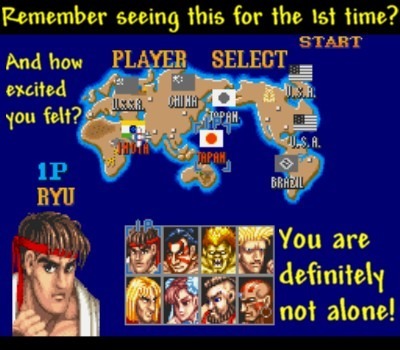 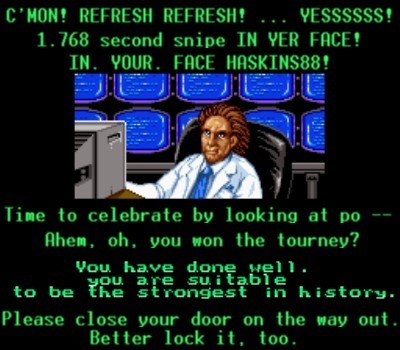 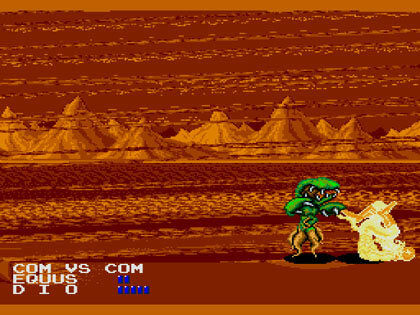 We’ll never forget the memories of that special time in video gaming when fighting games were all the rage. 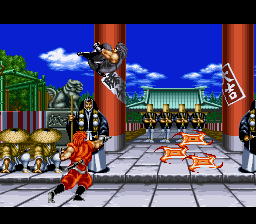 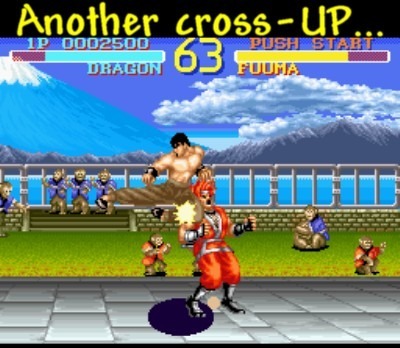 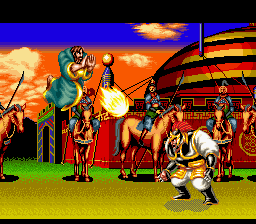 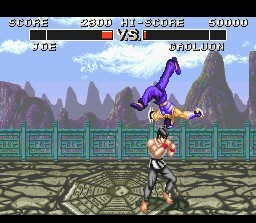 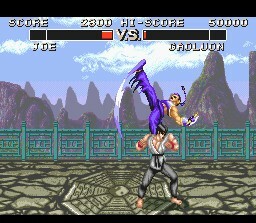 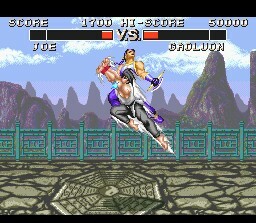 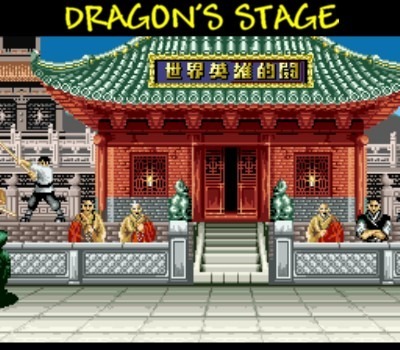 A time when going to the arcades was the highlight of your week and everyone, truly, was kung fu fighting. 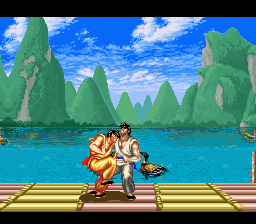 No matter how old we shall grow, we’ll always remember those halcyon times and cherish those good old days forever.